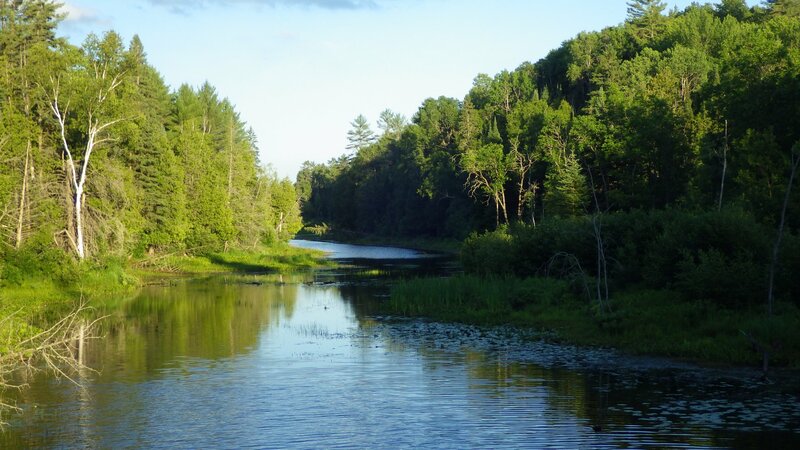 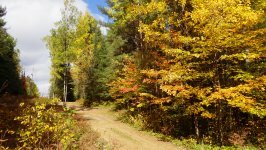 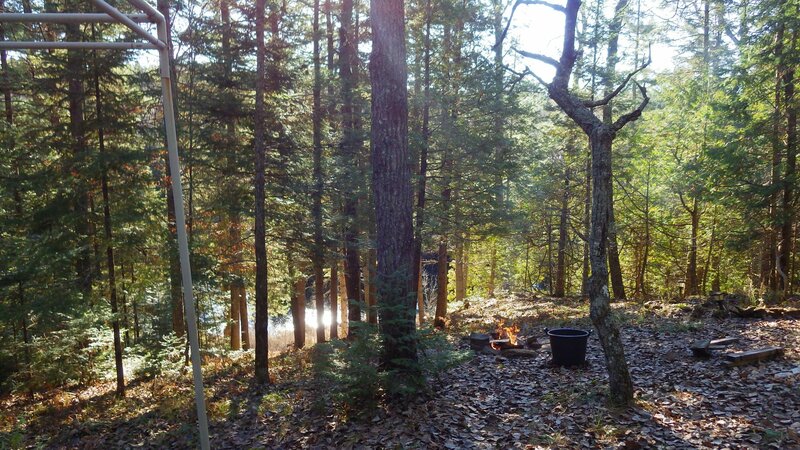 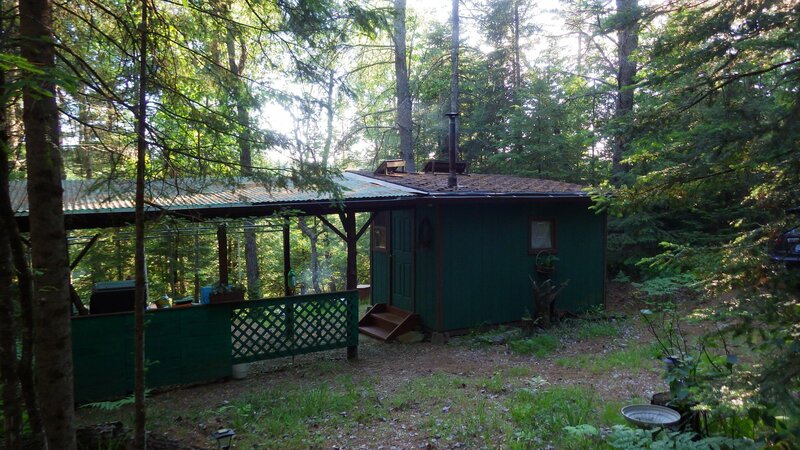 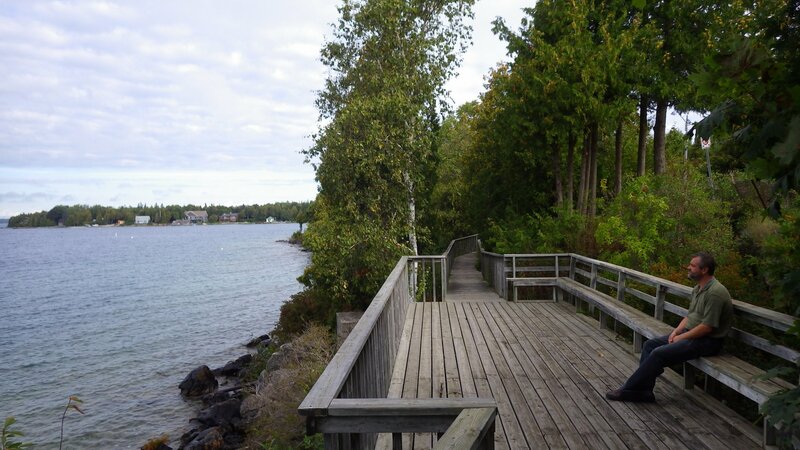 He have spent summer and fall at home in Canada, where we took few road trips, met with friends, stayed at our cabin in the woods "up north", and just lived "normal" live on the land. 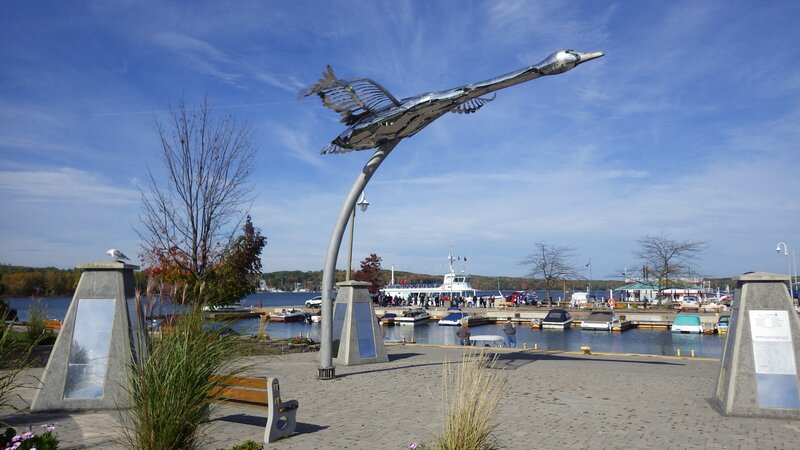 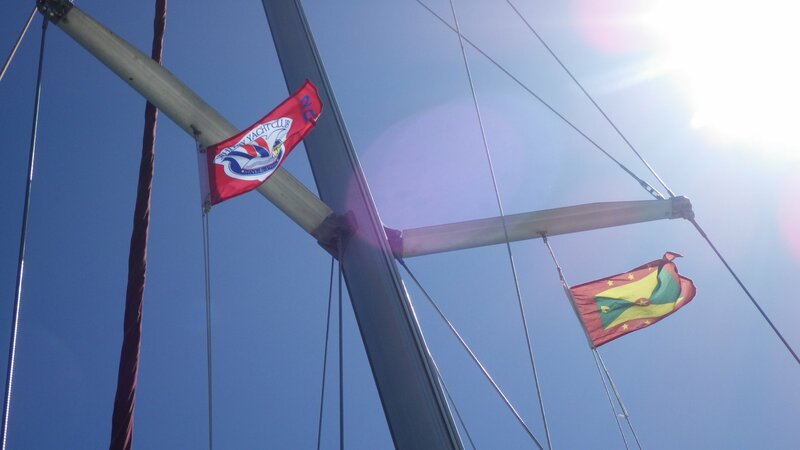 Sailed regattas at the Whitby Yacht Club. 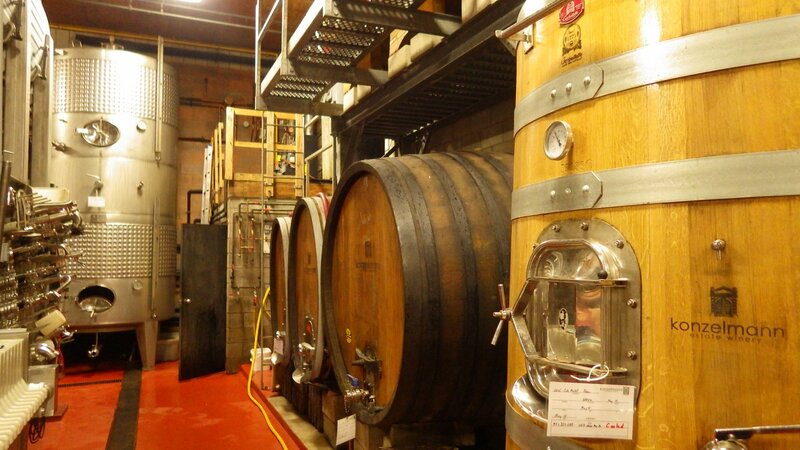 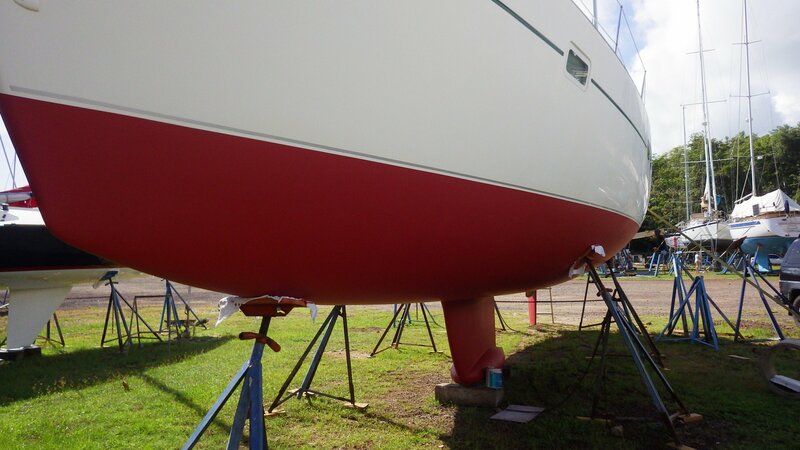 I also had worked on a contract a little and had a chance to catch up on some of my projects. 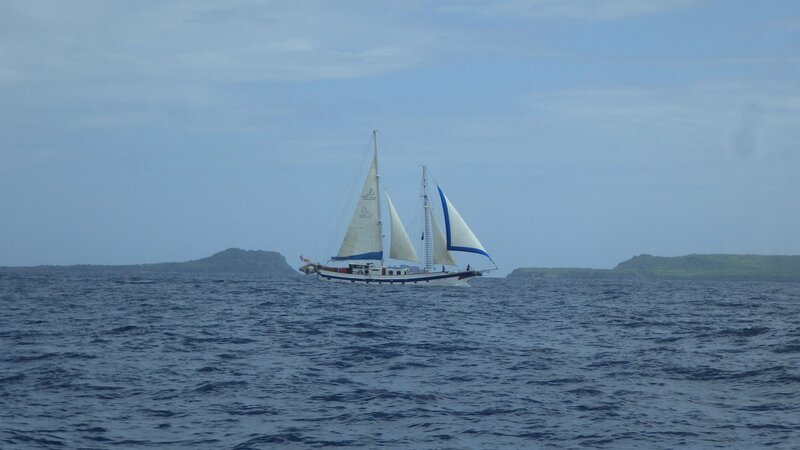 After a several months break, we are resuming our cruising adventures. 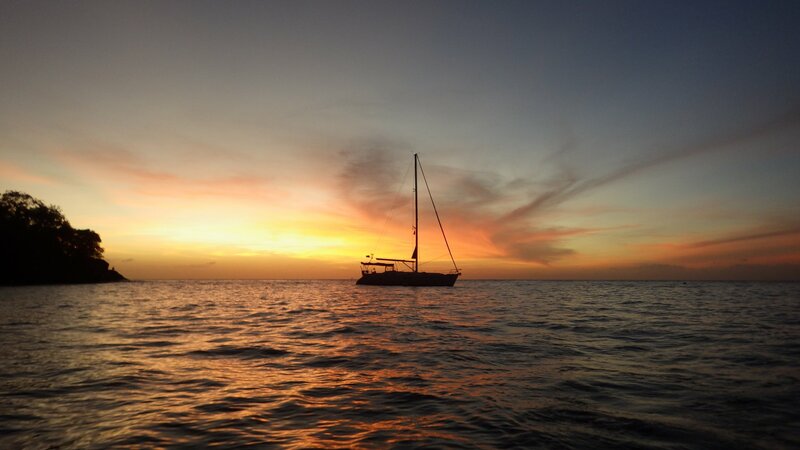 This would be our third season of sailing the tropics. 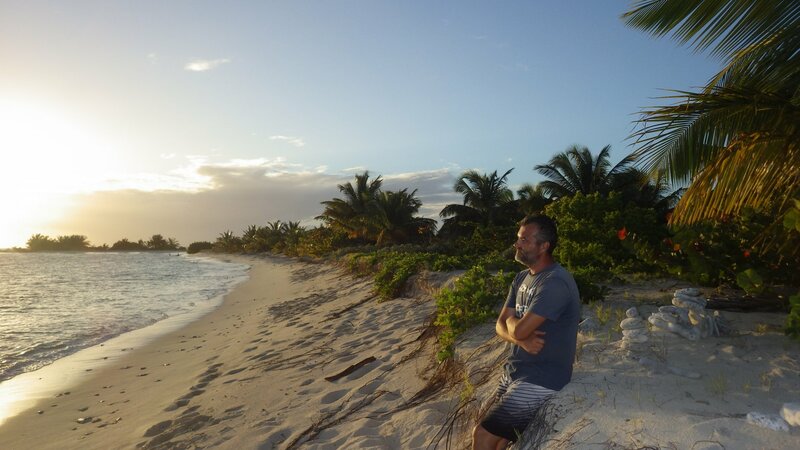 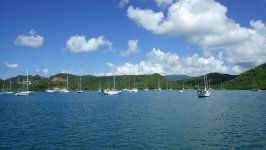 The plan is to cruise Northbound along the Caribbean Islands chain, re-visiting places we liked and taking different routes to new places we have missed during our Southbound trip. 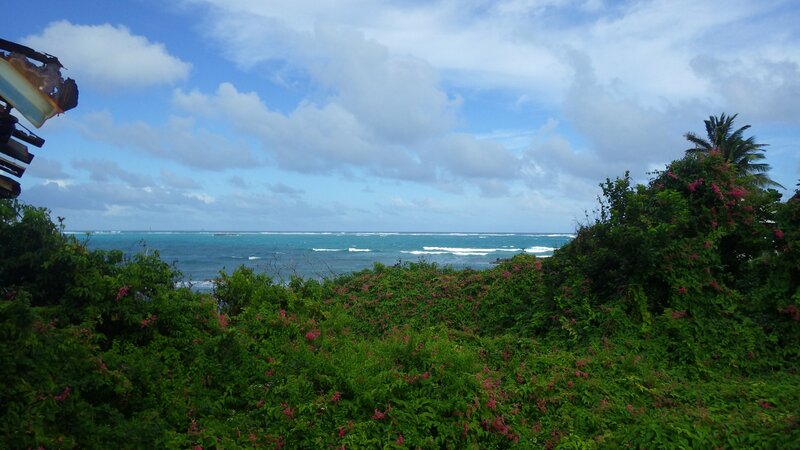 I will post somewhat less to avoid repeats. 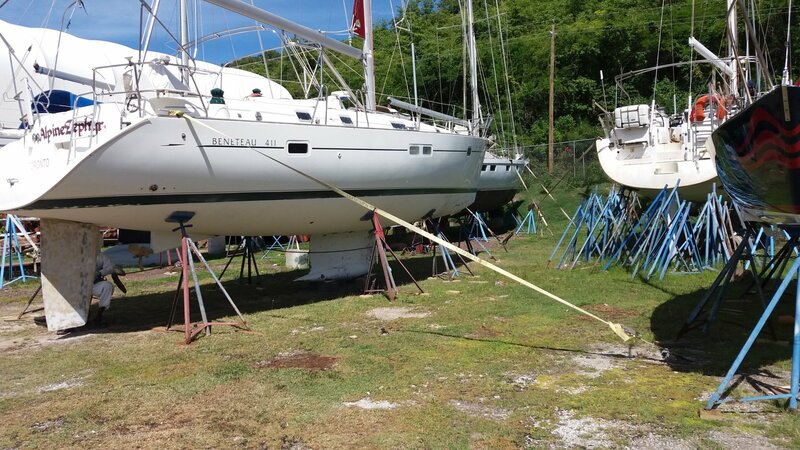 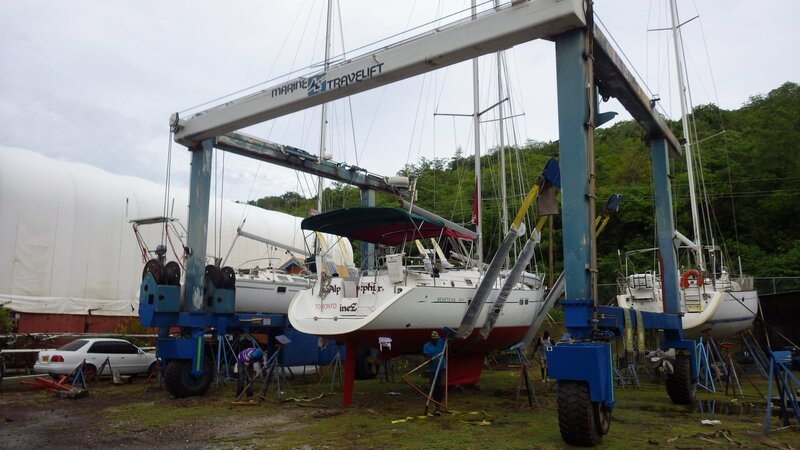 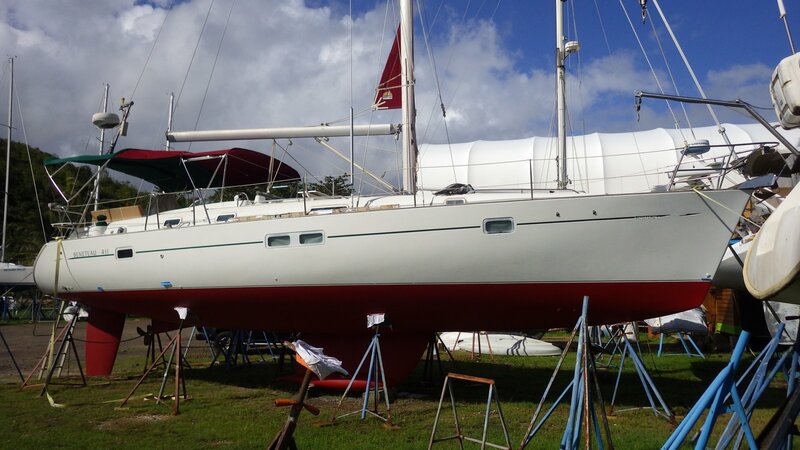 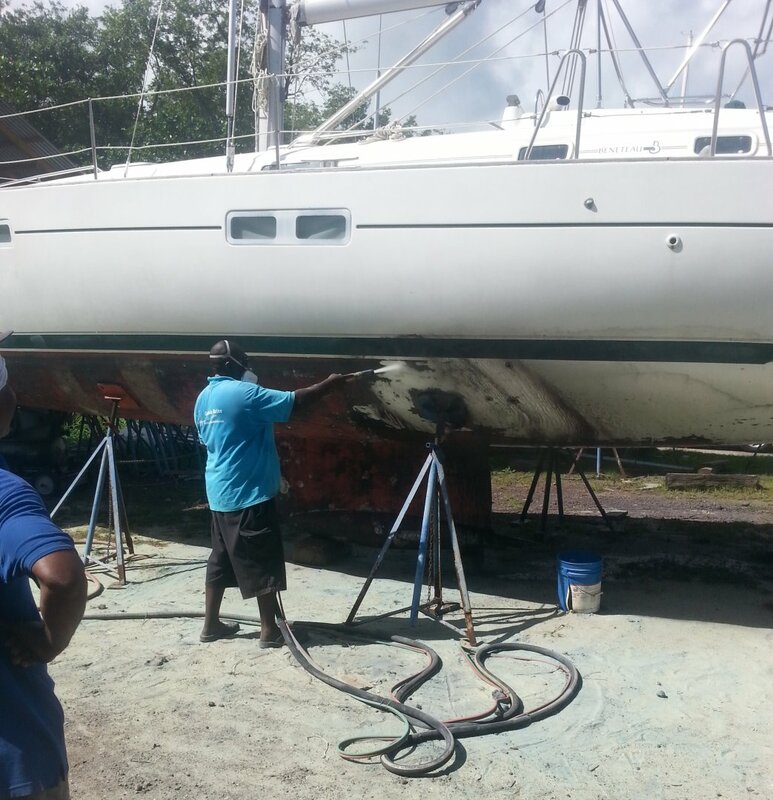 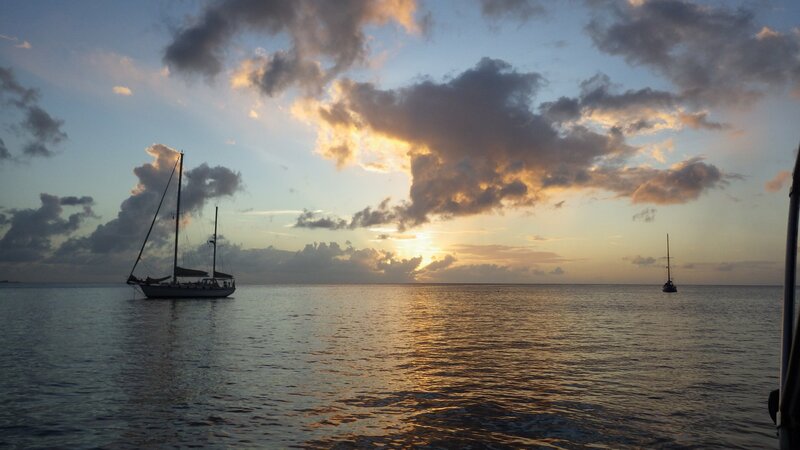 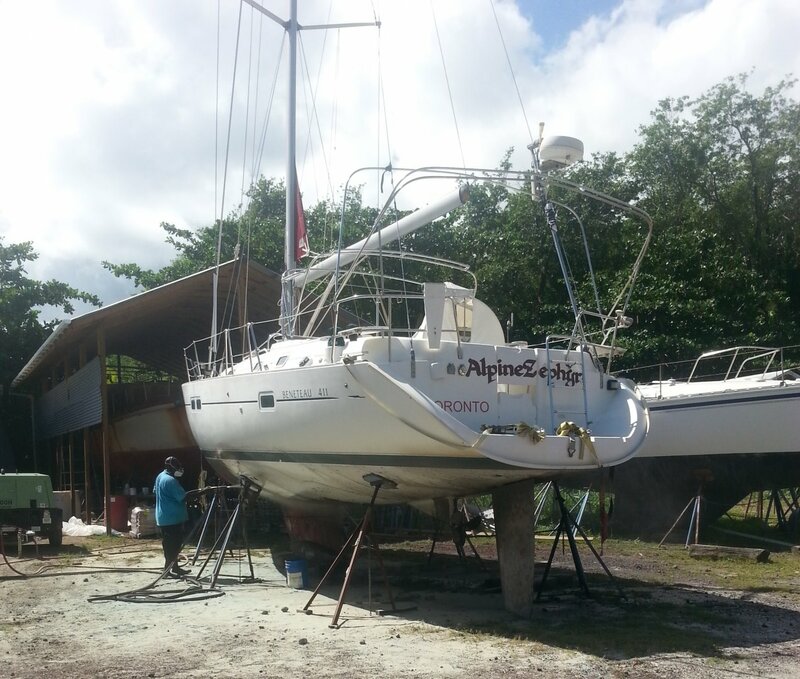 While at the boatyard in Grenada, our yacht has undergone a major hull job - layers of old paint were blasted down, hull was sanded, and a special primer with 2+ layers of new antifouling paint were applied. 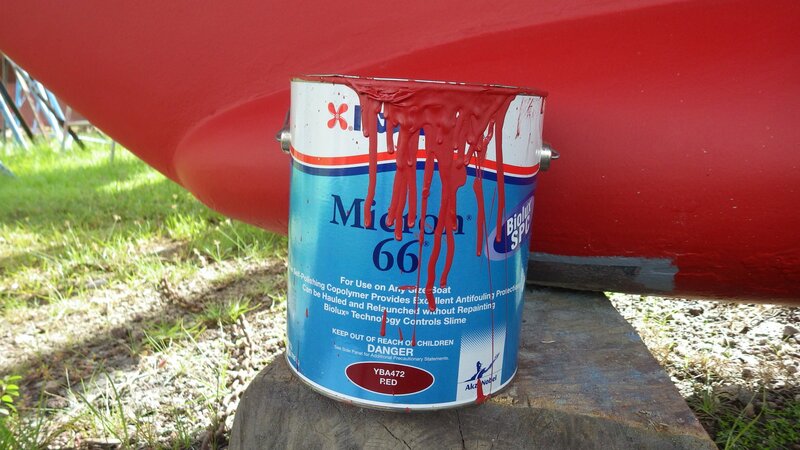 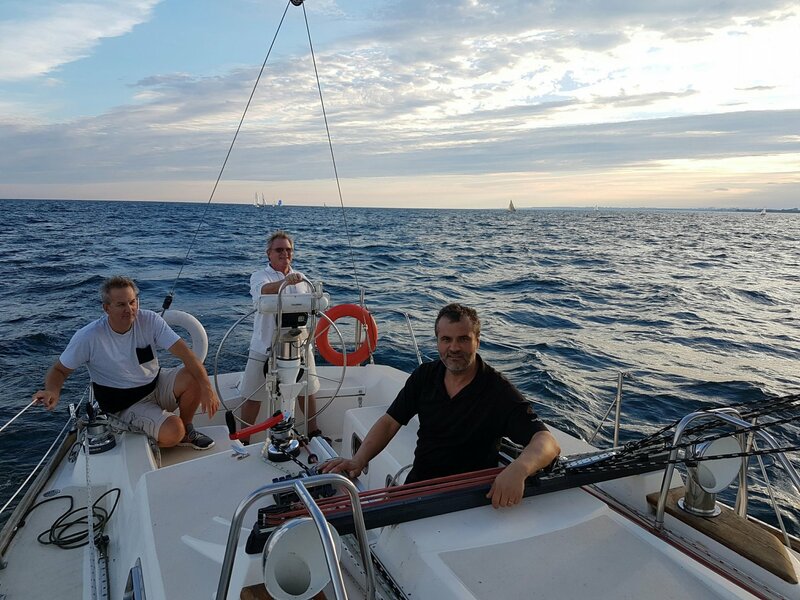 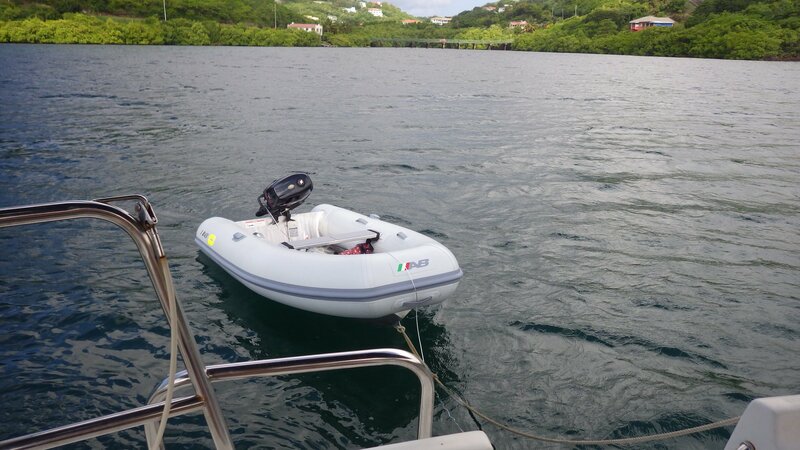 We also purchased a new dinghy, whisker pole and replaced 2 solar panels. 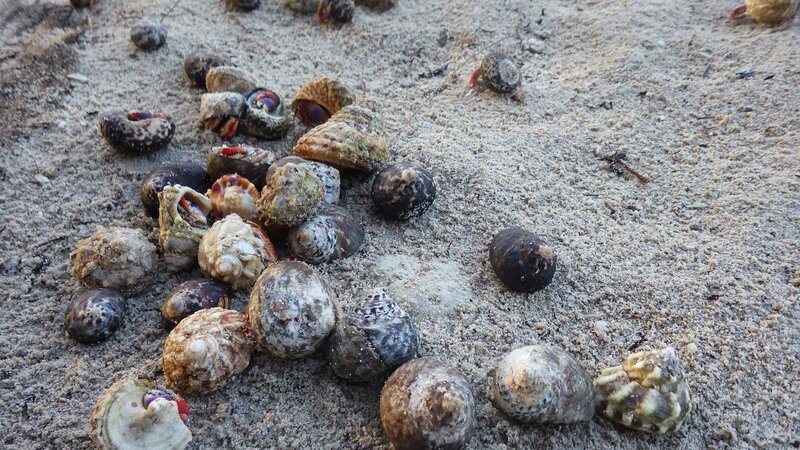 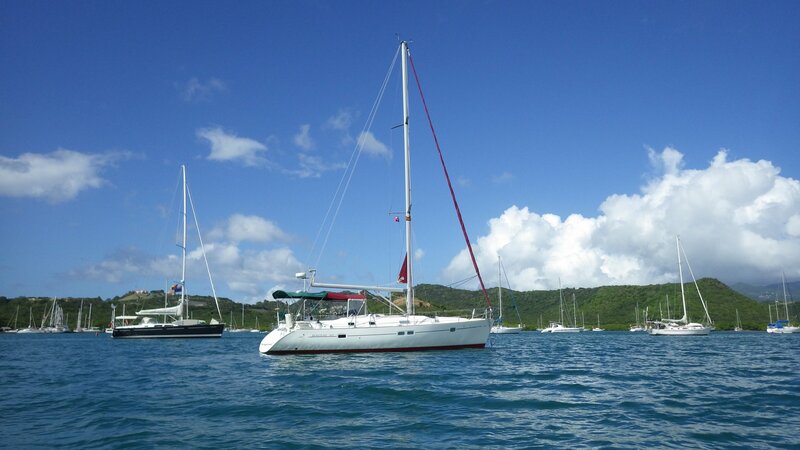 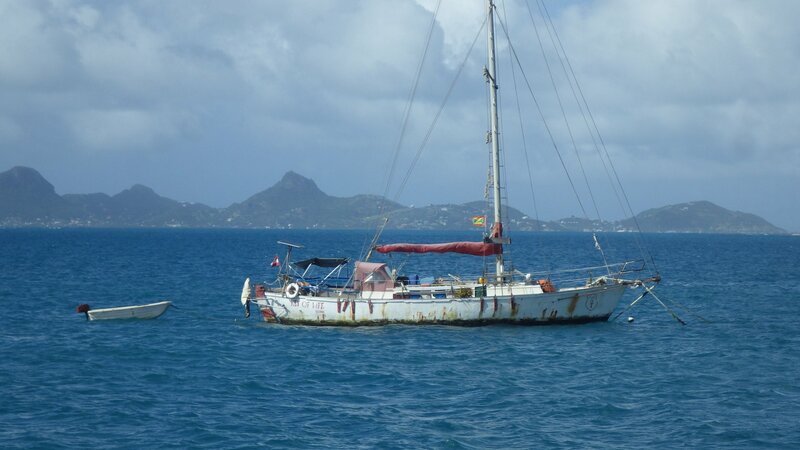 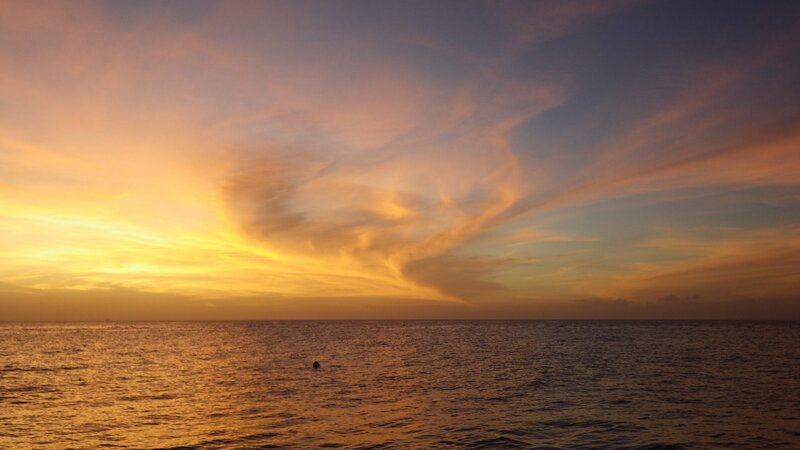 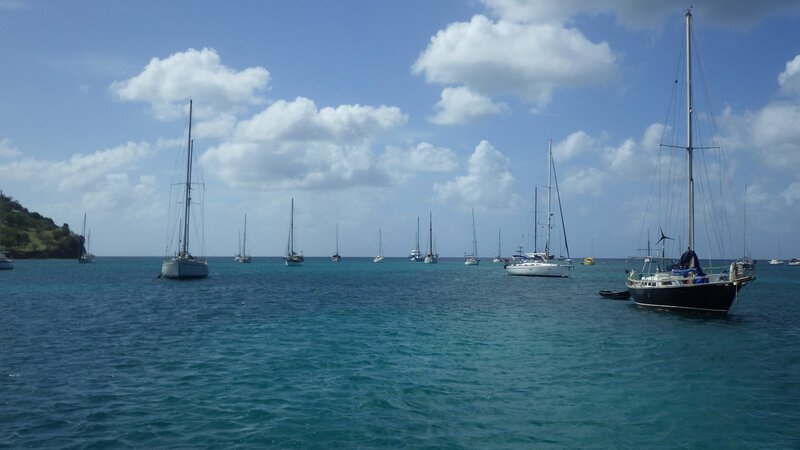 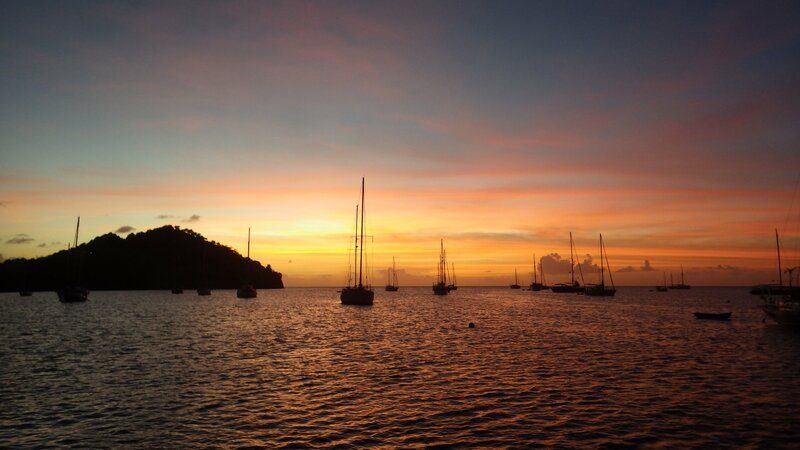 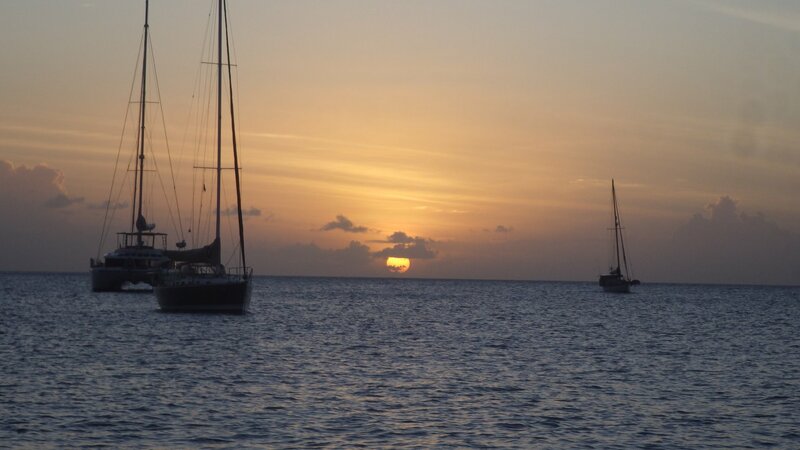 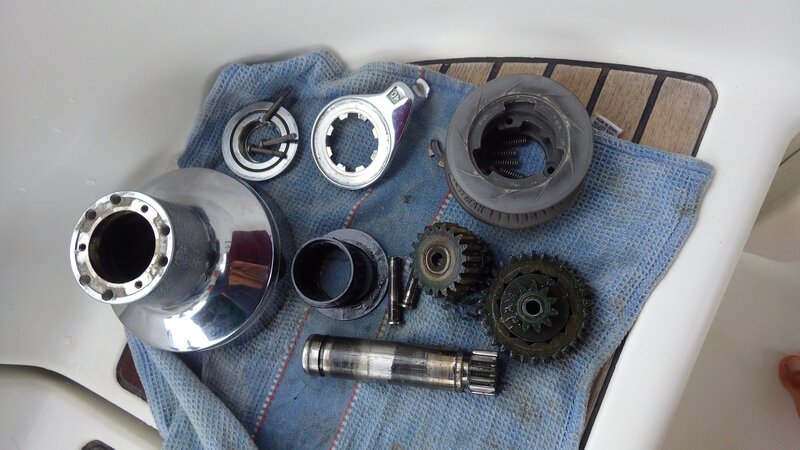 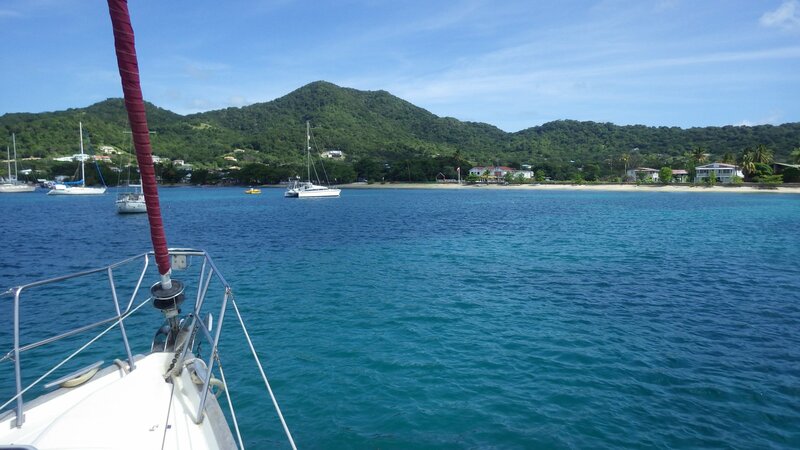 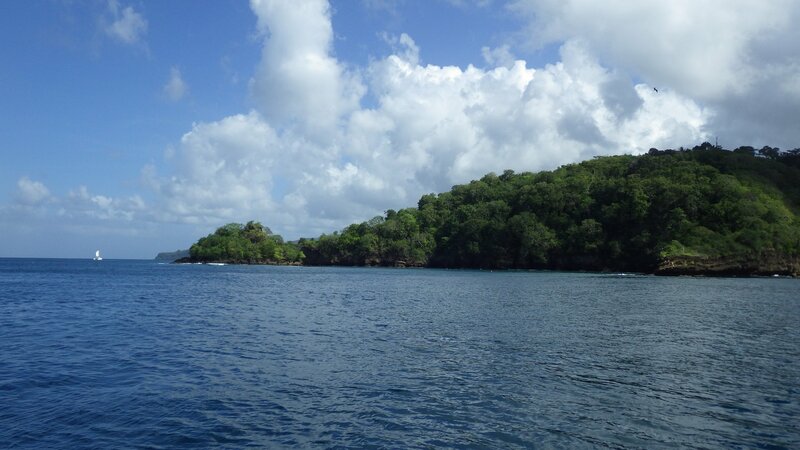 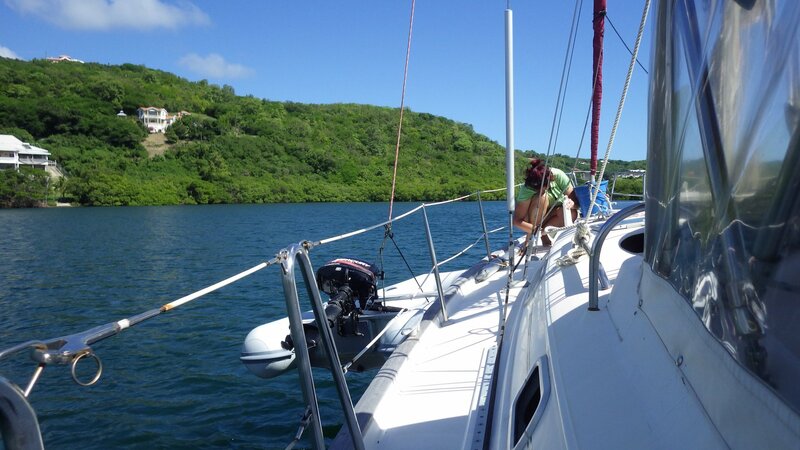 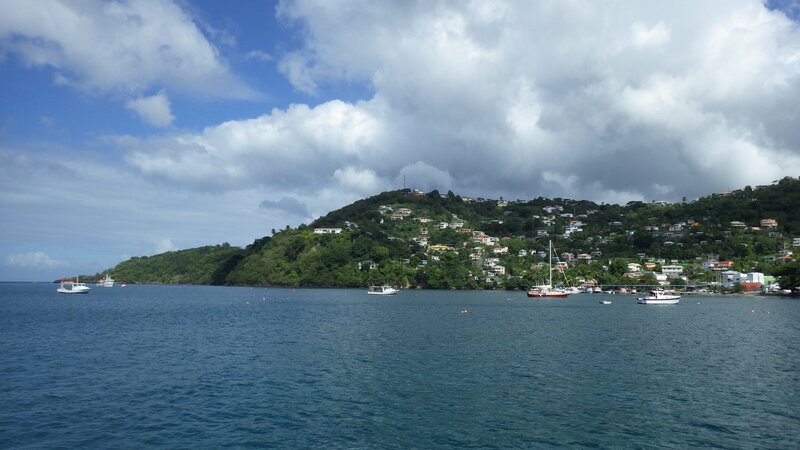 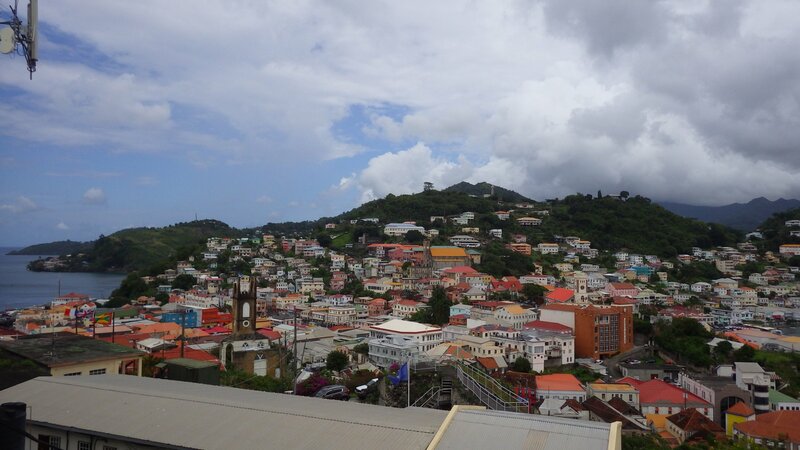 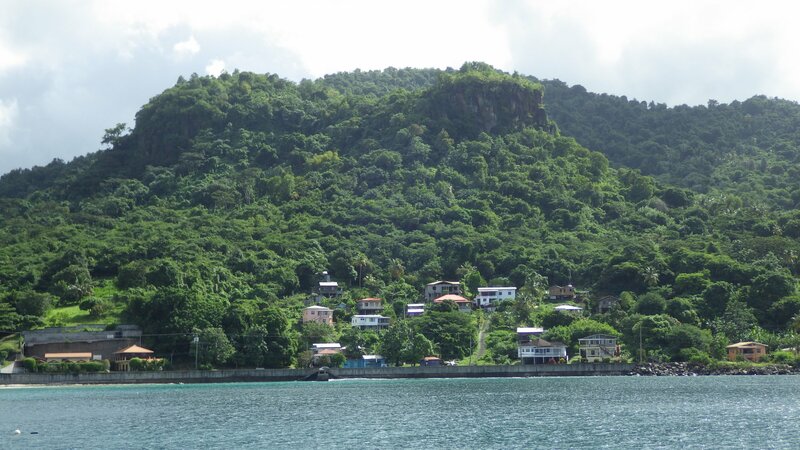 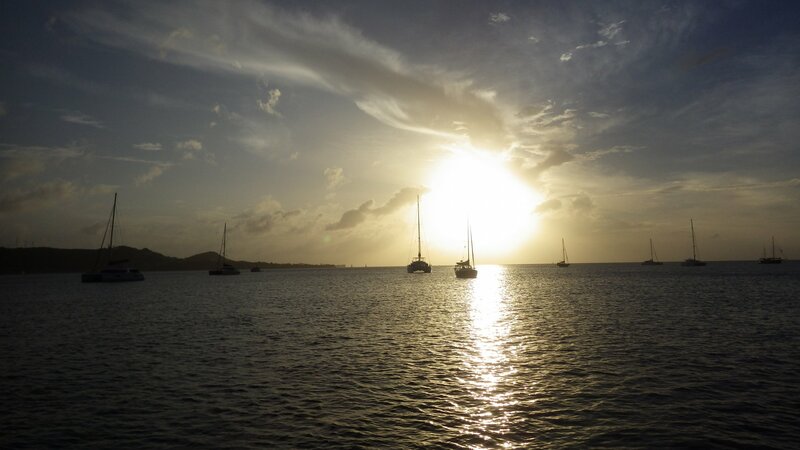 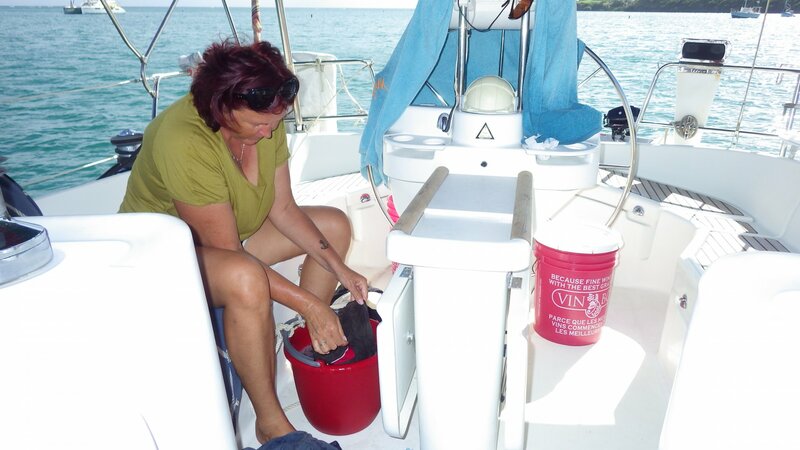 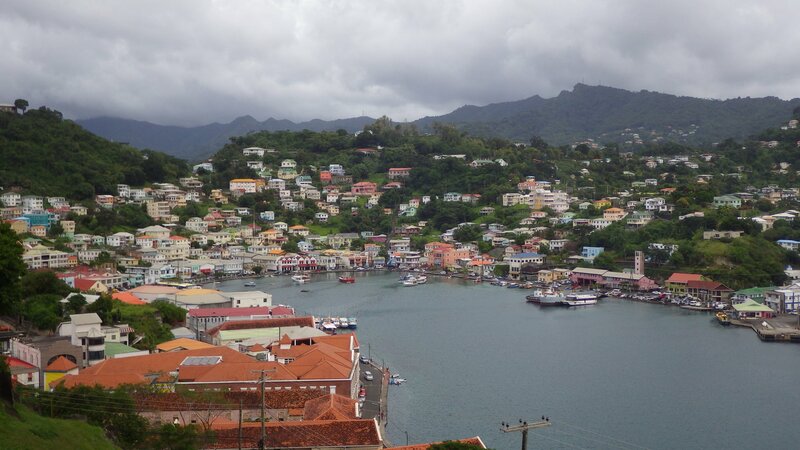 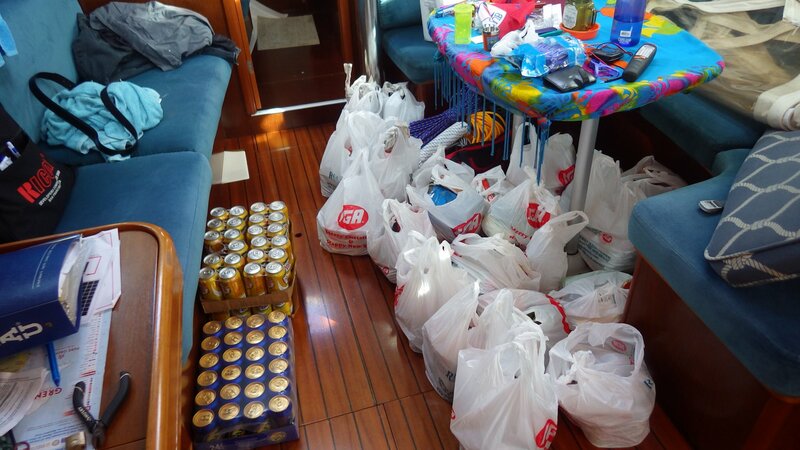 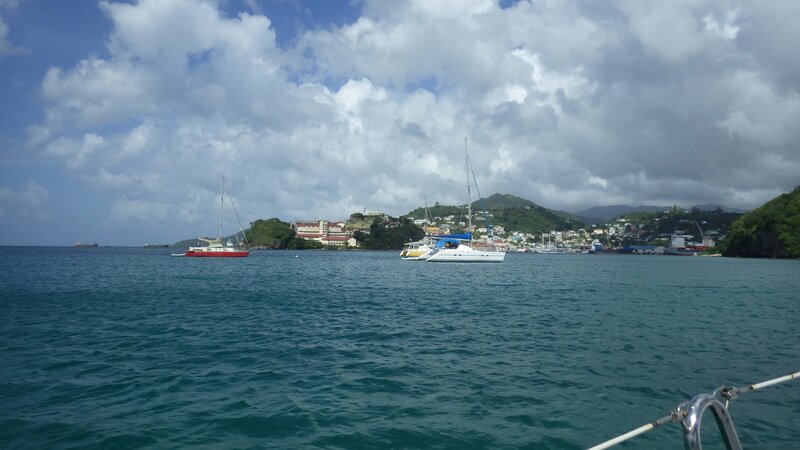 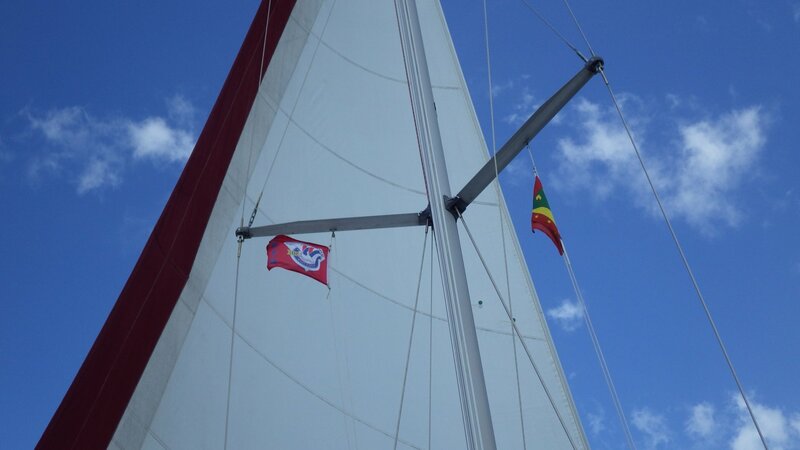 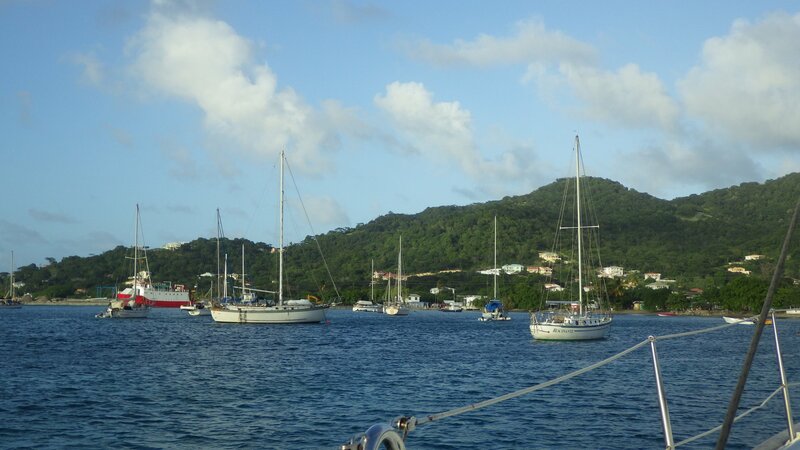 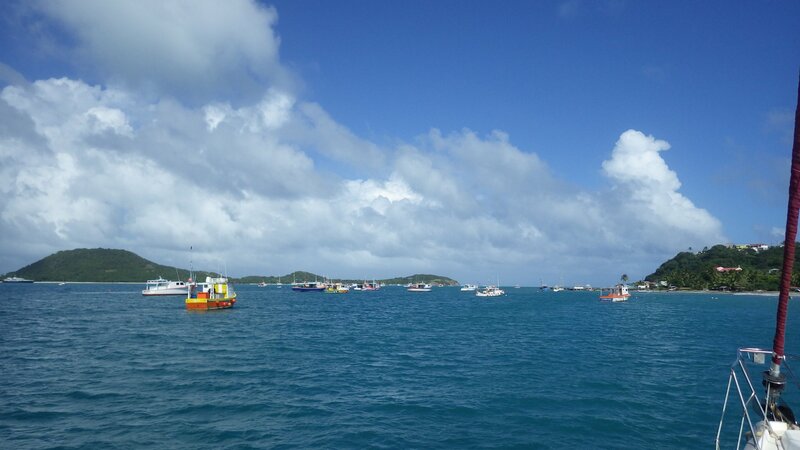 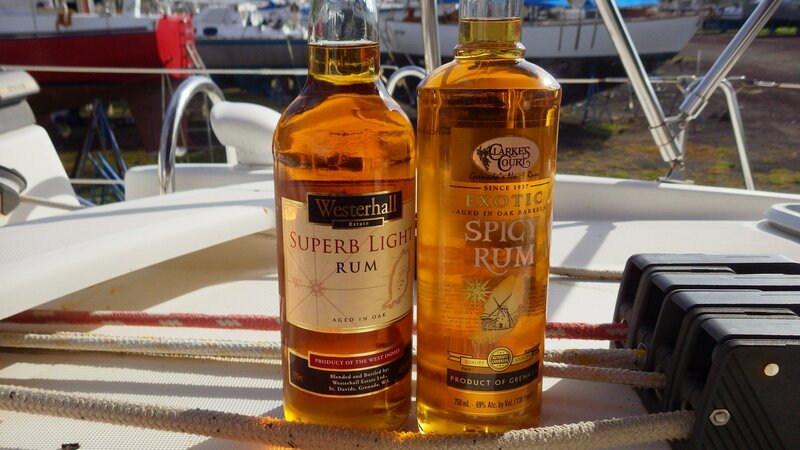 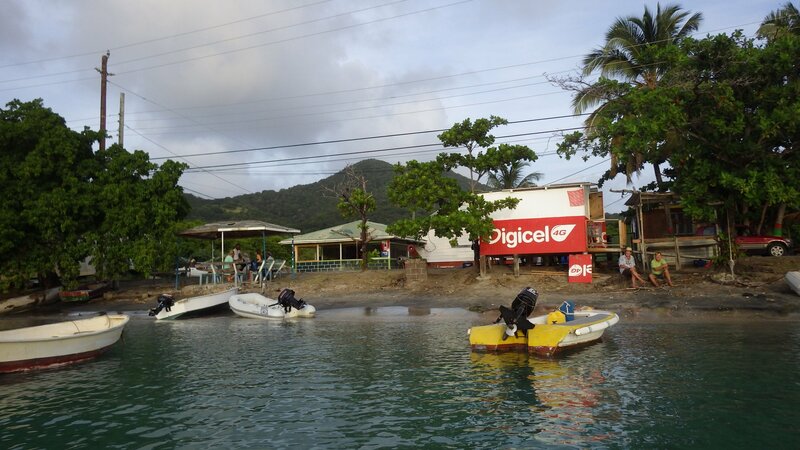 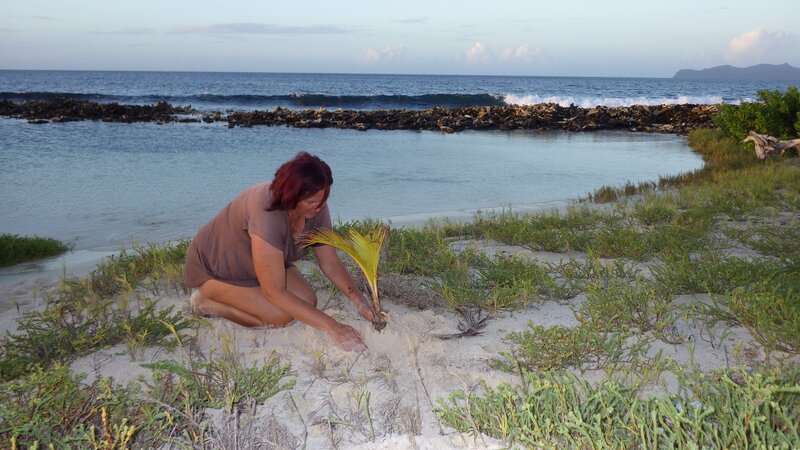 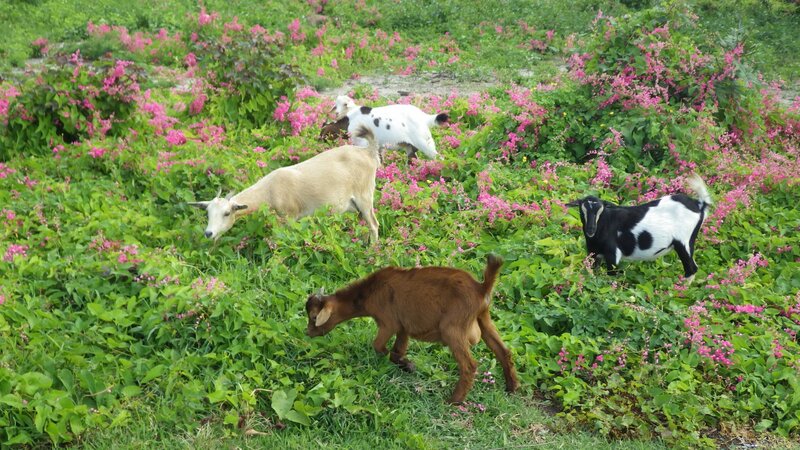 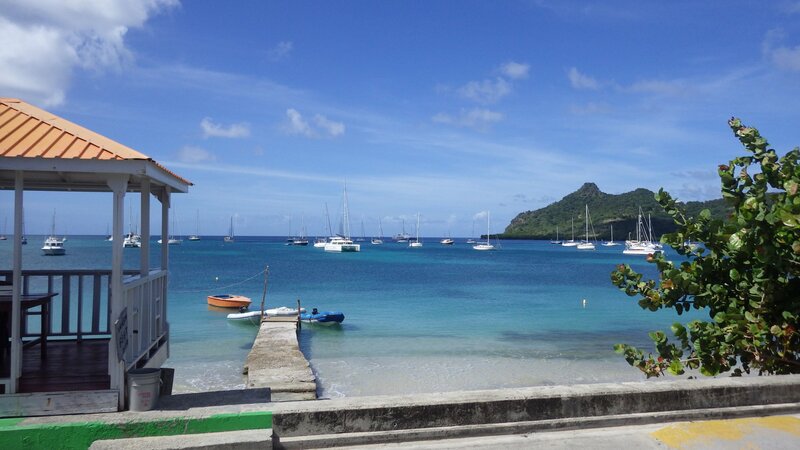 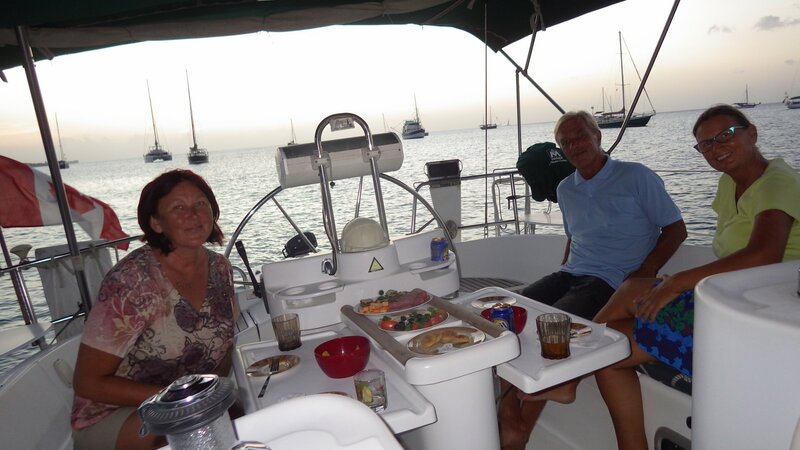 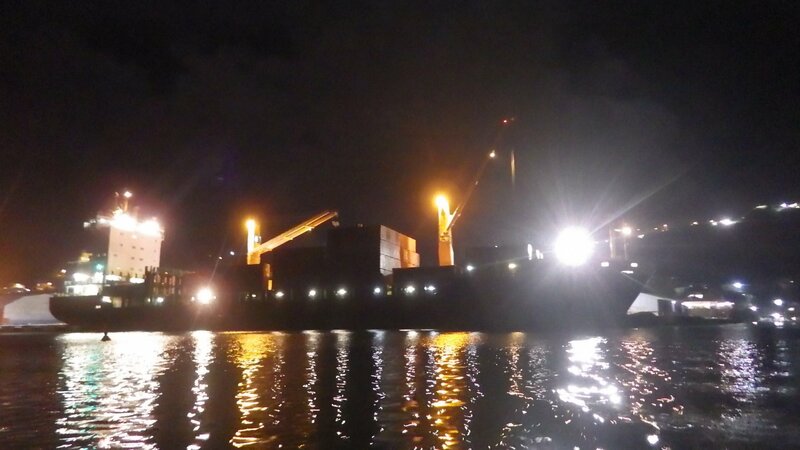 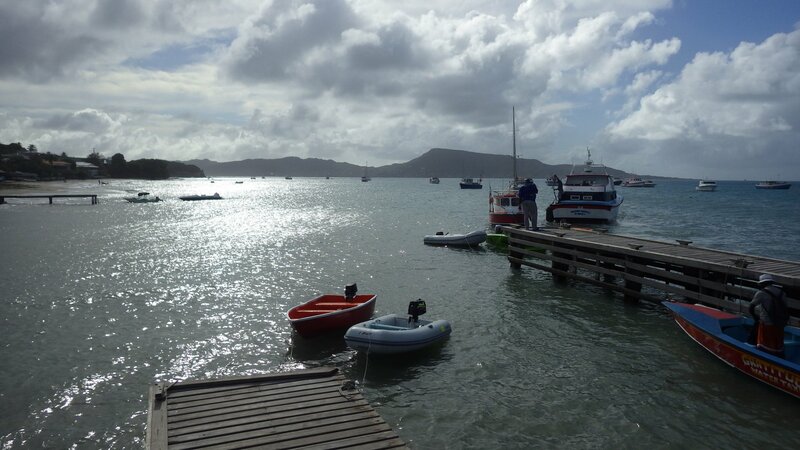 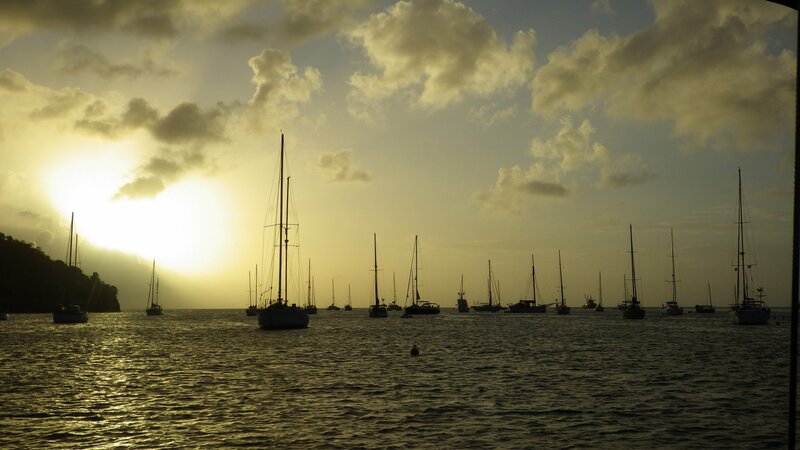 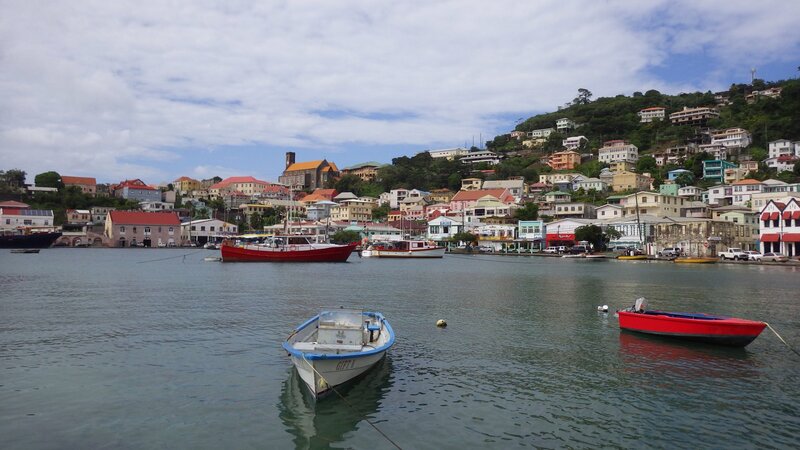 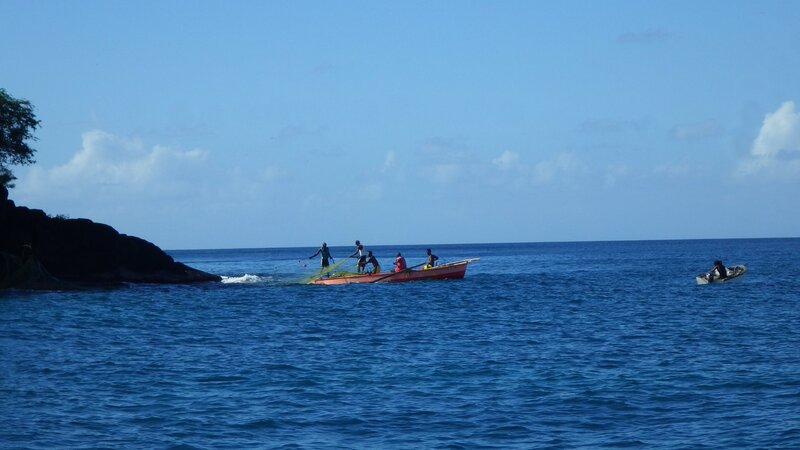 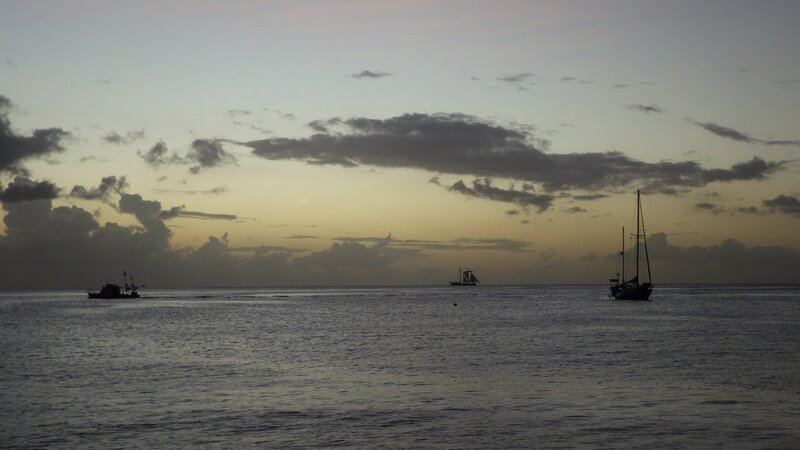 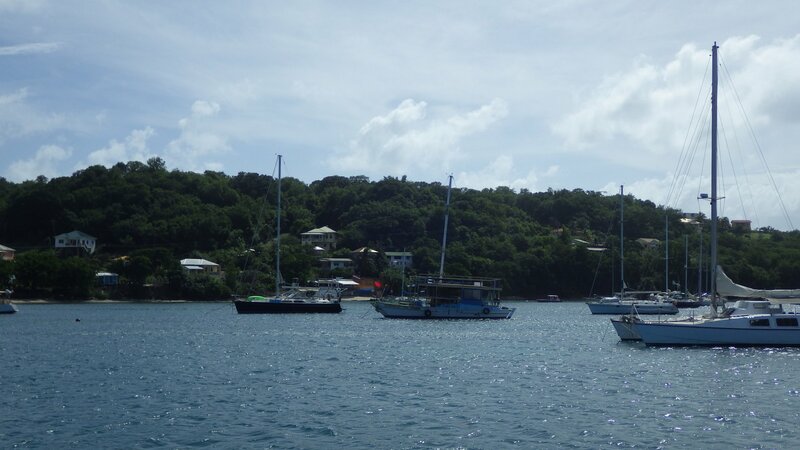 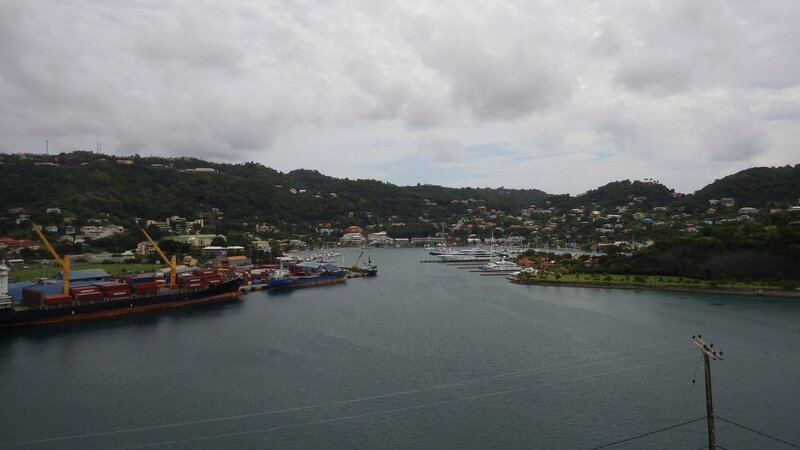 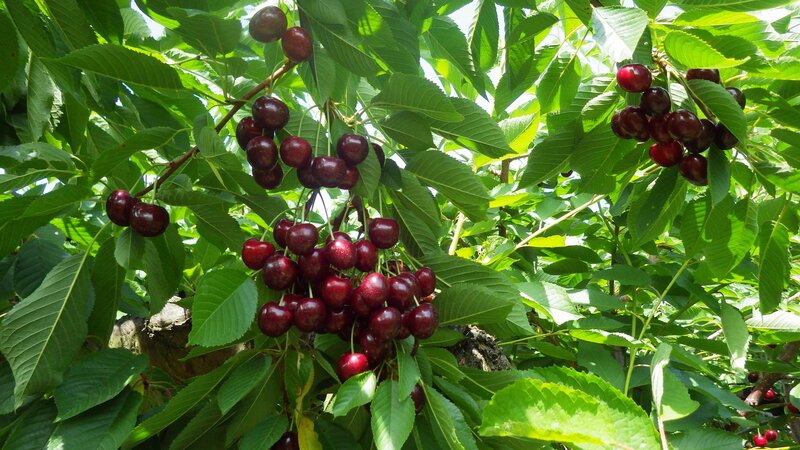 We also did a major provisioning for the cruising season in Grenada. 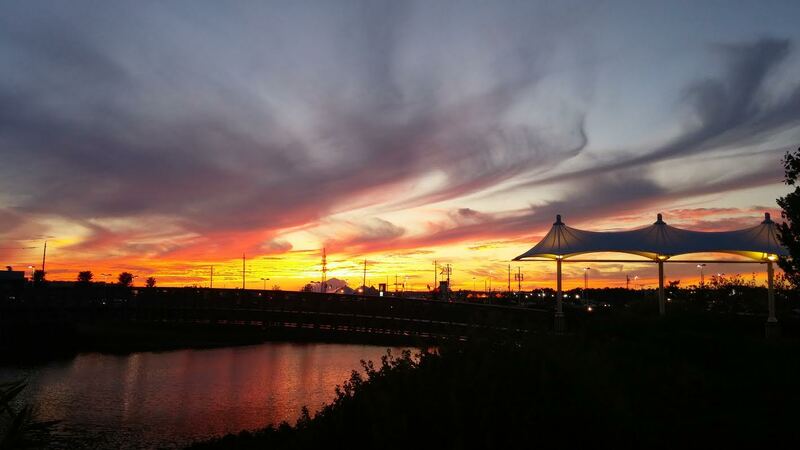 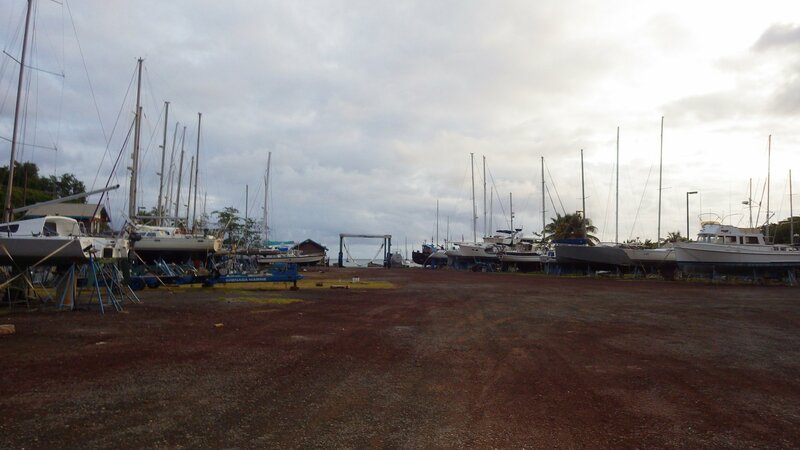 Port Egmont Harbor is becoming one of our favorite places. 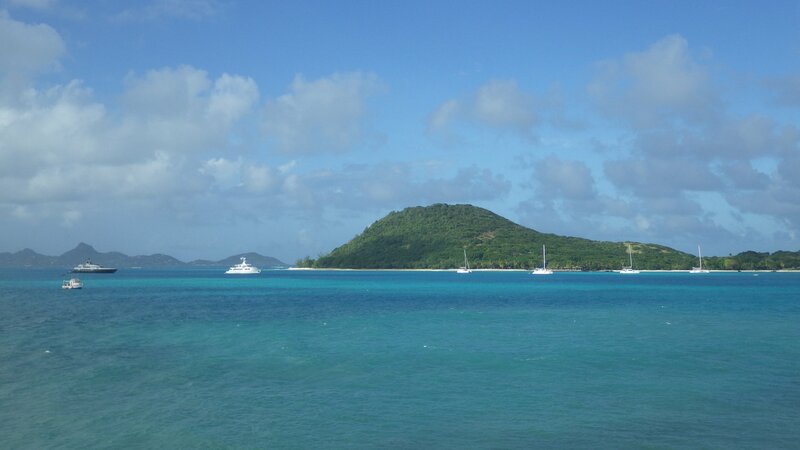 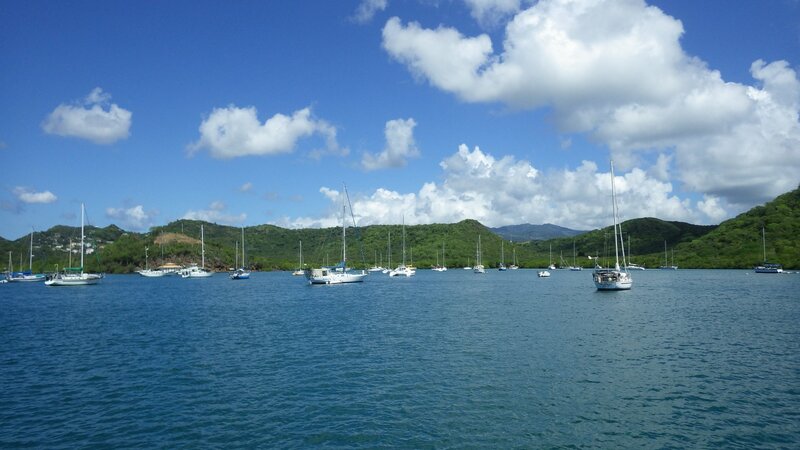 Almost always we are the only yacht in this large, protected and quiet bay. 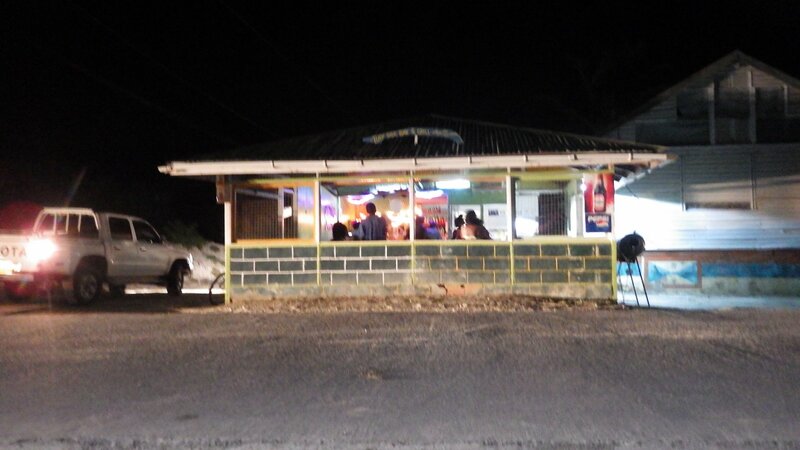 There are only couple of small roadside places to get food and a bus stop to the city up the hill. 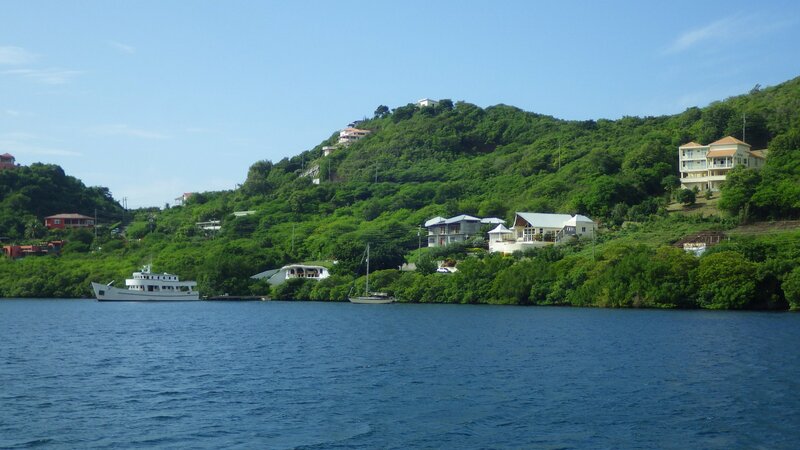 There are no other services, facilities or activities in walking distance - that's probably the reason why cruisers don't stop here. 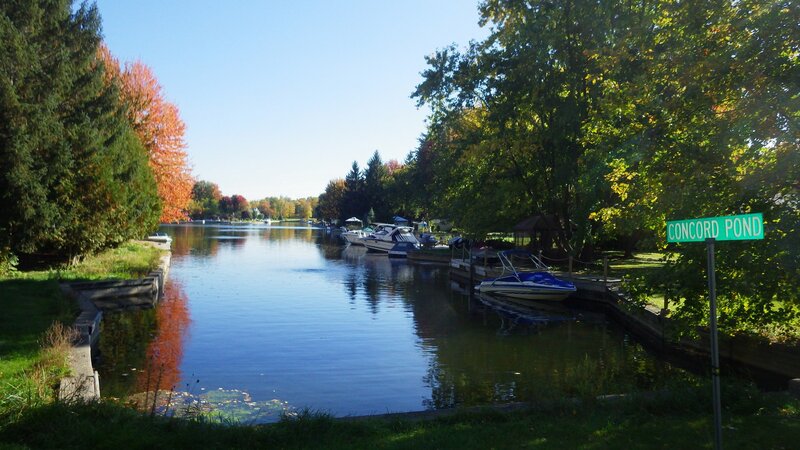 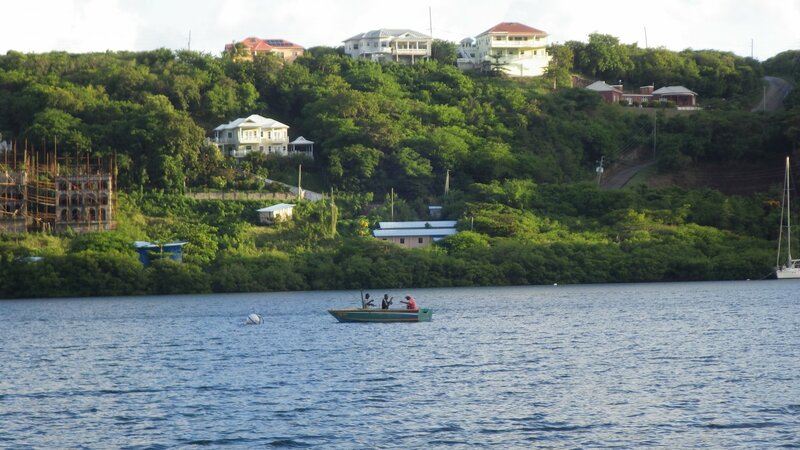 This time we have spend more than a week here - mainly working on the boat, fishing, walking the surrounding hills, taking couple bus trips to the city and relaxing. 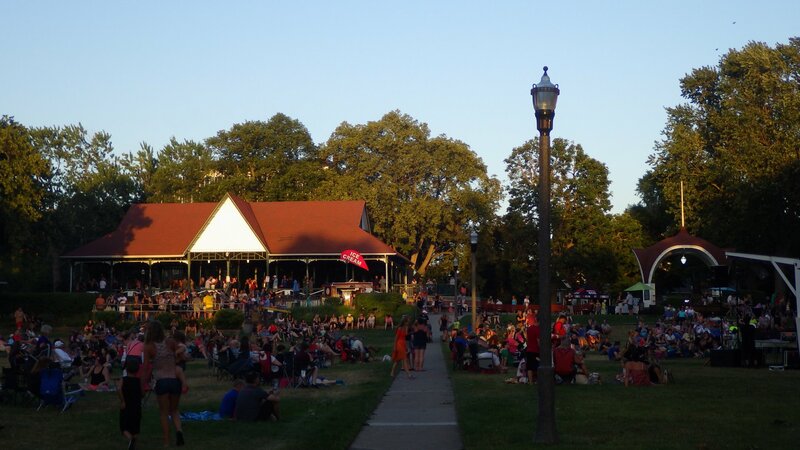 We have missed Mt. 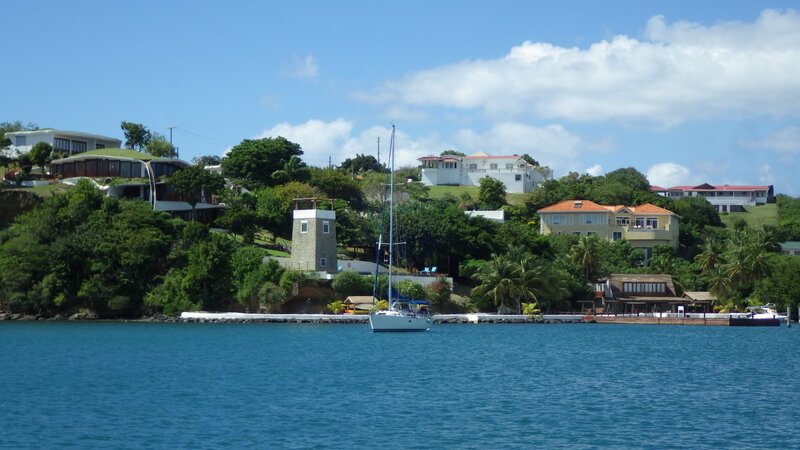 Hartman Bay on during our Southbound Grenada trip, so we decided to stay for few days here. 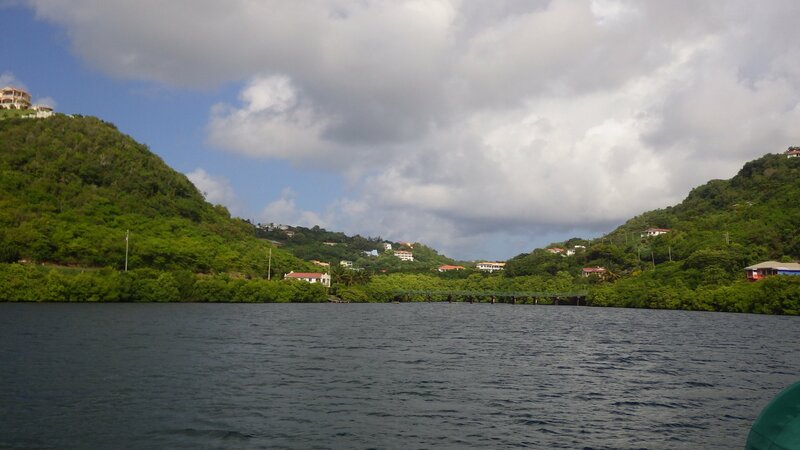 The bay is also known as Secret Harbour, although I can't see any secret thing about it. 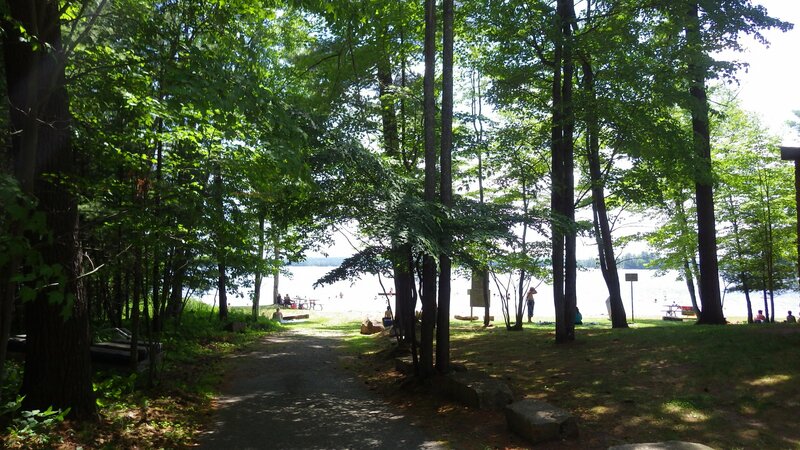 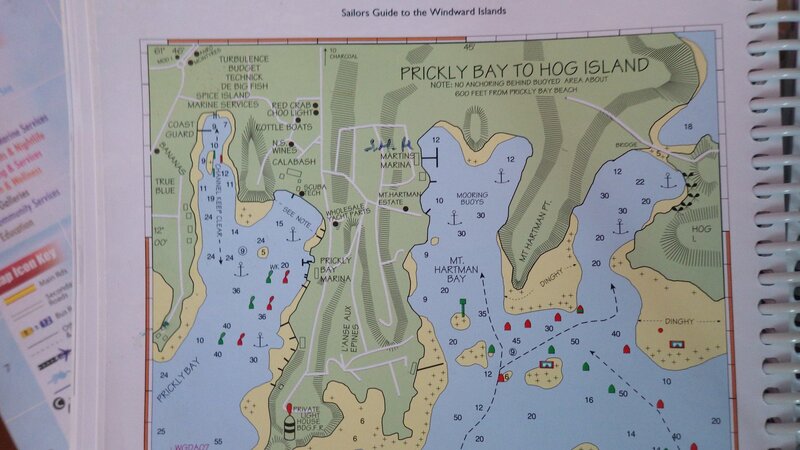 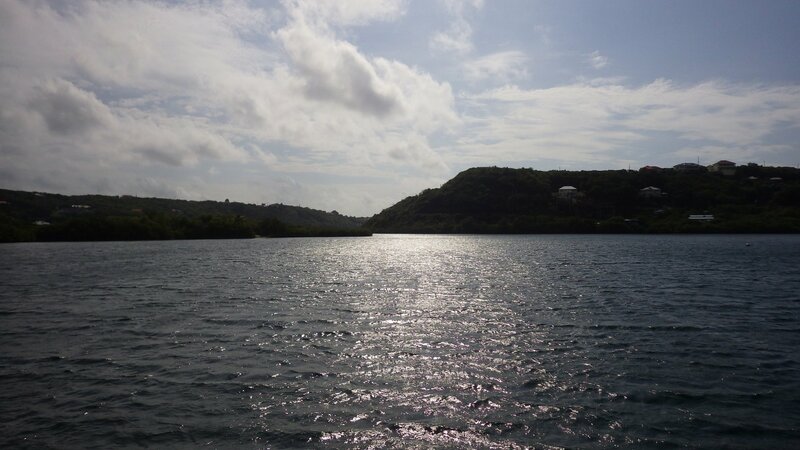 The other nearby bays are reachable by dinghy from here, we visited Hog Island couple times. 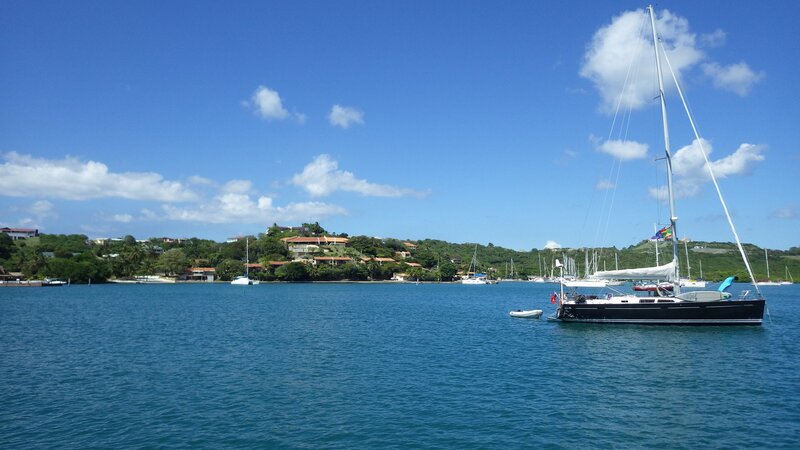 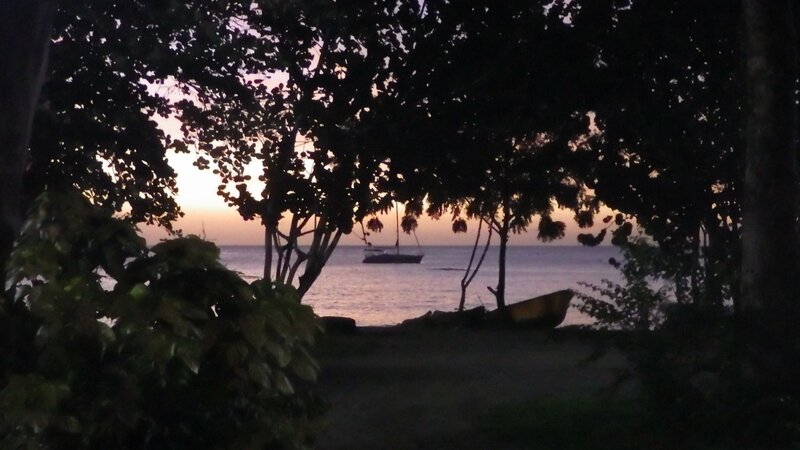 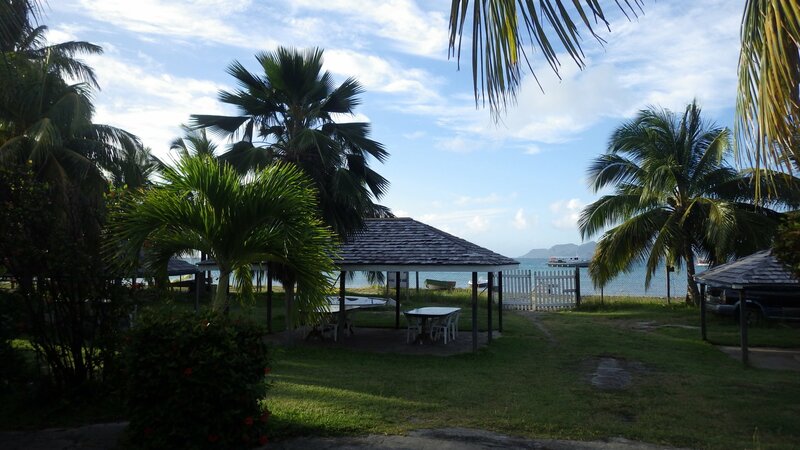 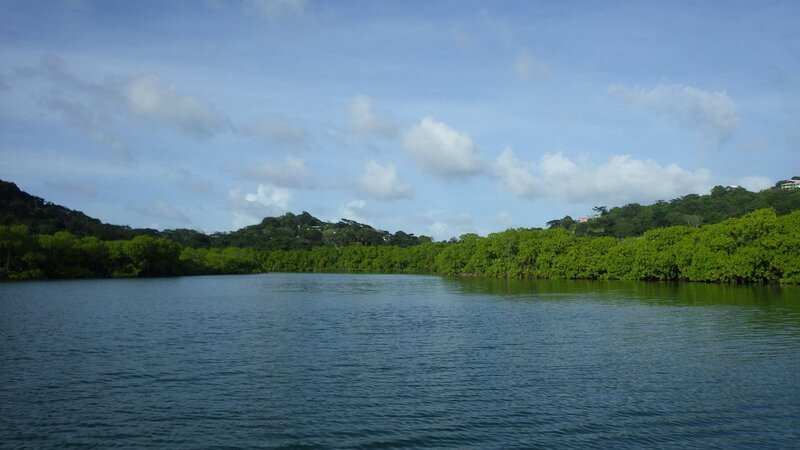 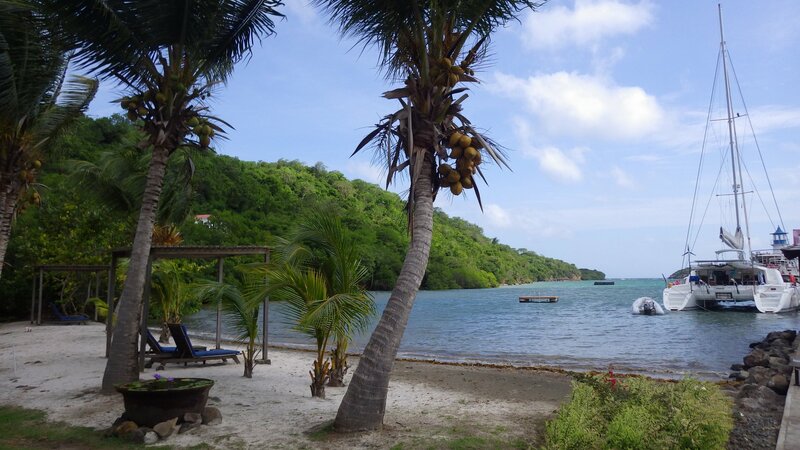 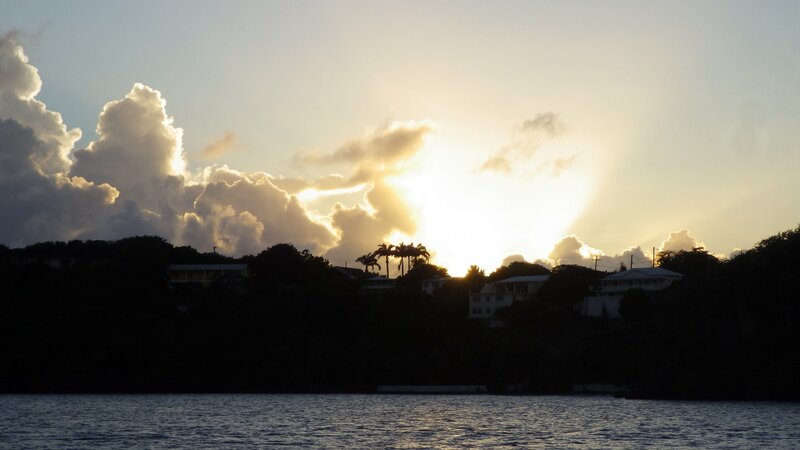 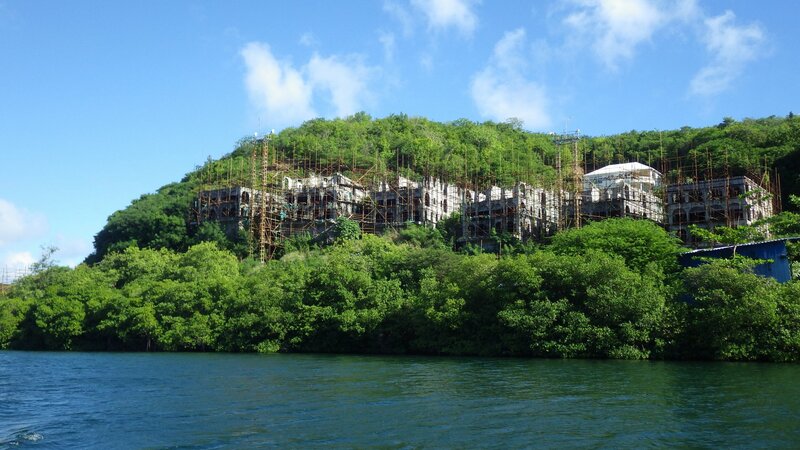 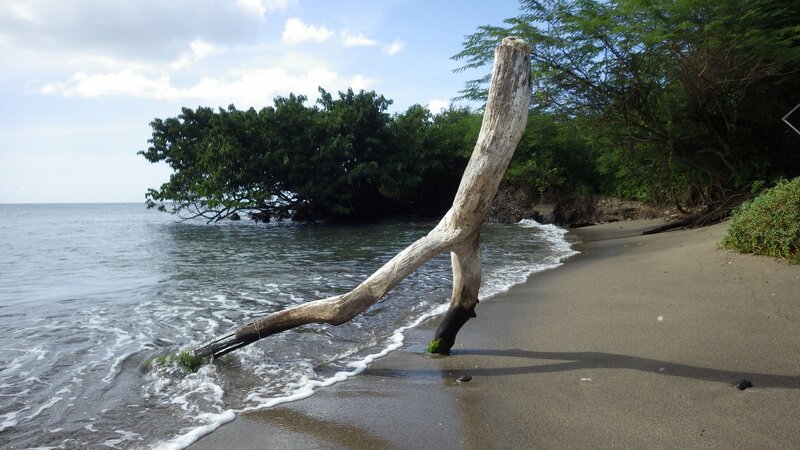 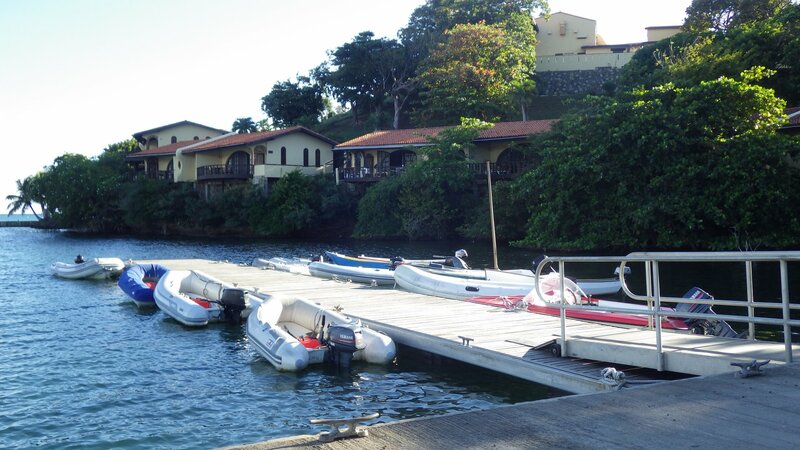 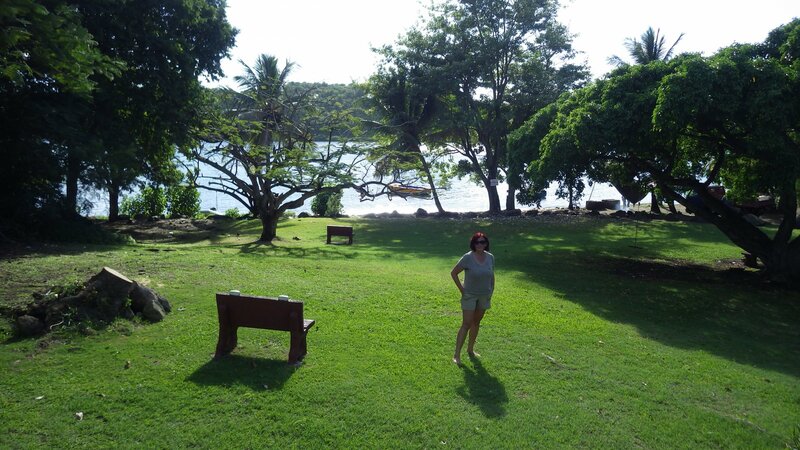 Stayed few nights at the anchorage near Grenada's capital, St. Georges. 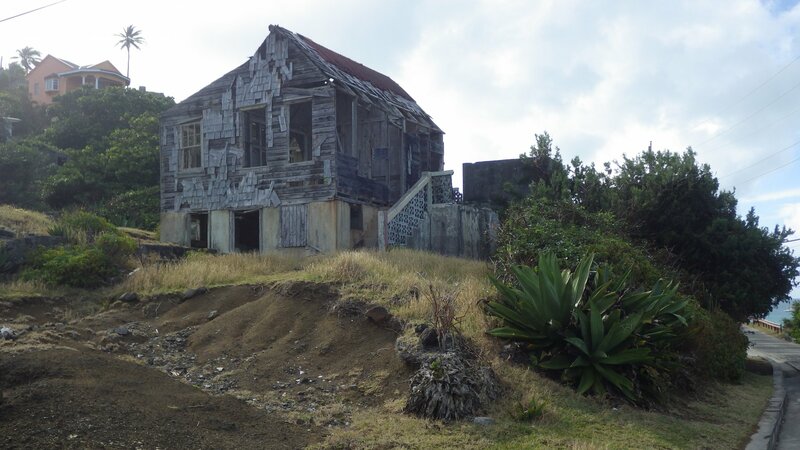 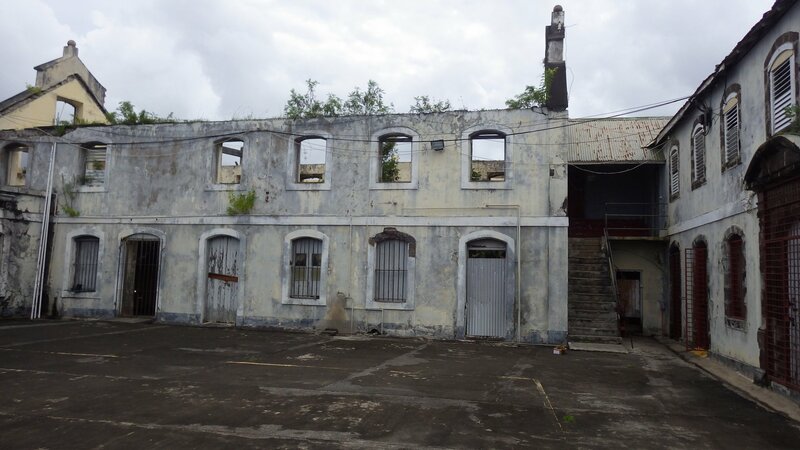 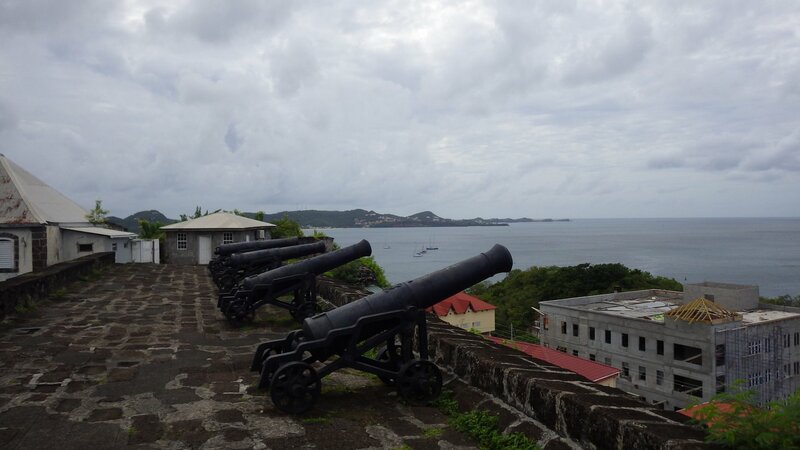 Visited historical Fort George, had an evening at Grenada Yacht Club party where we've met a cruising couple from Germany. 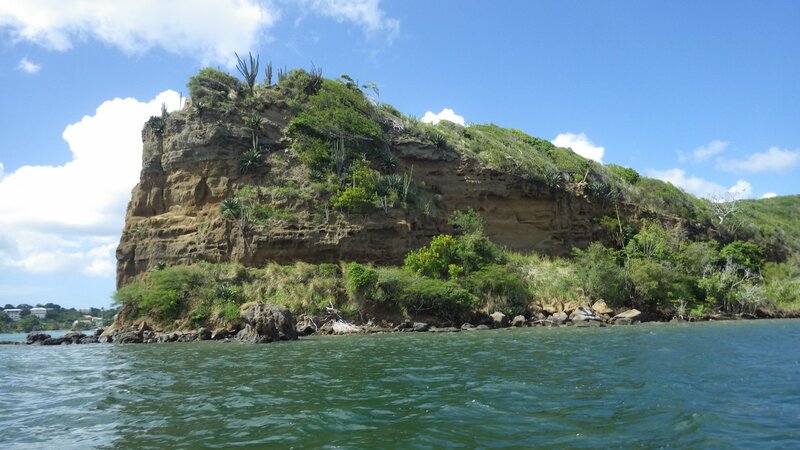 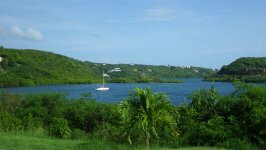 There is an underwater sculpture park on the west shore of Grenada, so we sailed to the Dragon Bay, near Moliniere Point where the park is. 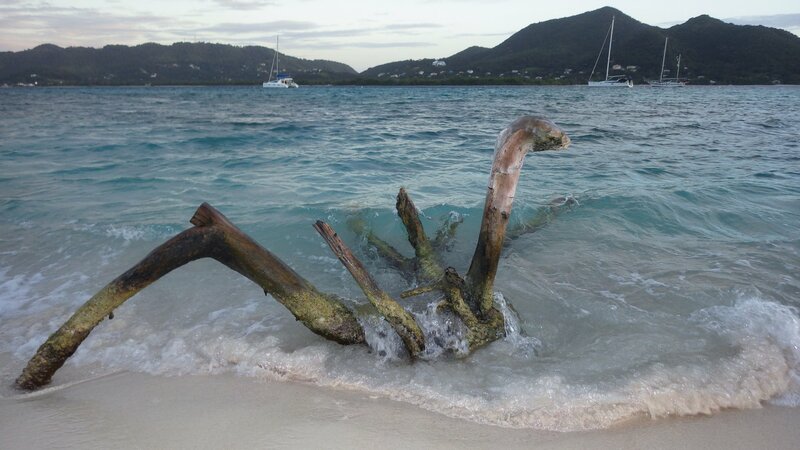 Unfortunately, there is no map with sculptures' locations, so finding them in 15-45 ft of murky water was a challenge. 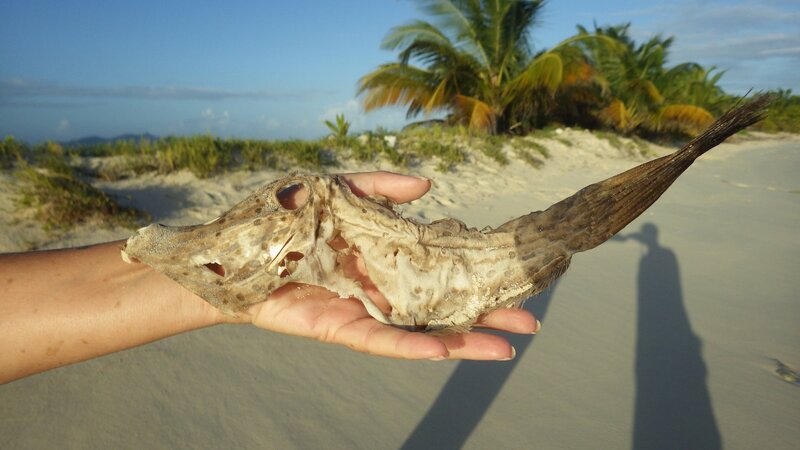 Seen one underwater sculpture, but plenty of lively fish. 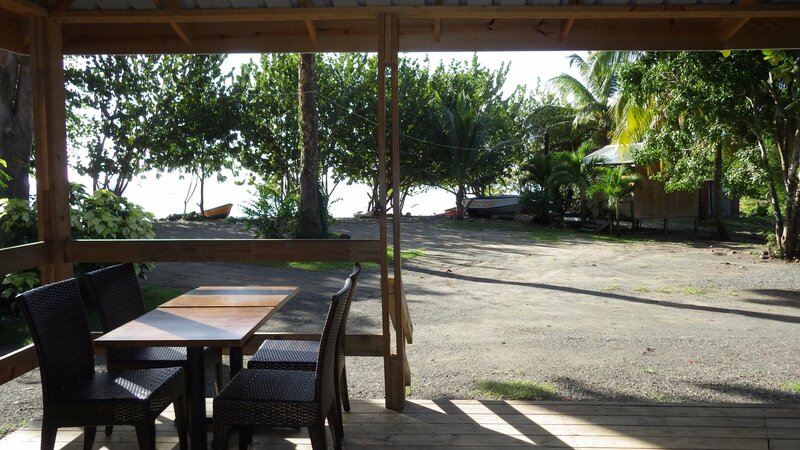 Next night we've moved to the next bay south, Grand Mal. 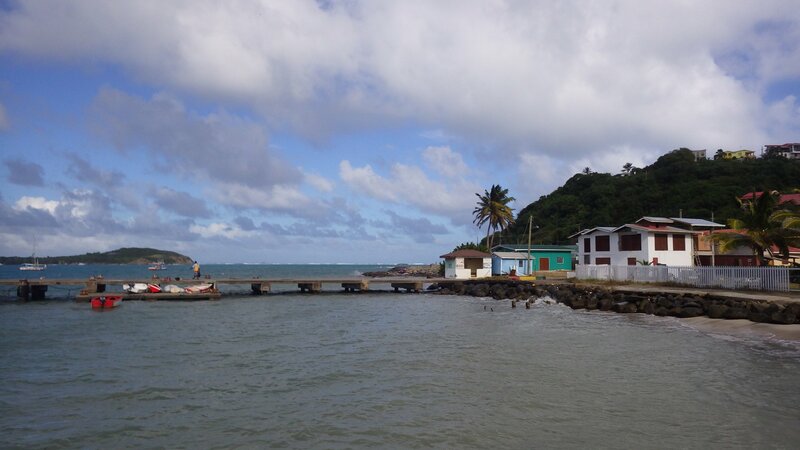 The quiet coastal town there seems to be a base of the fishing fleet. 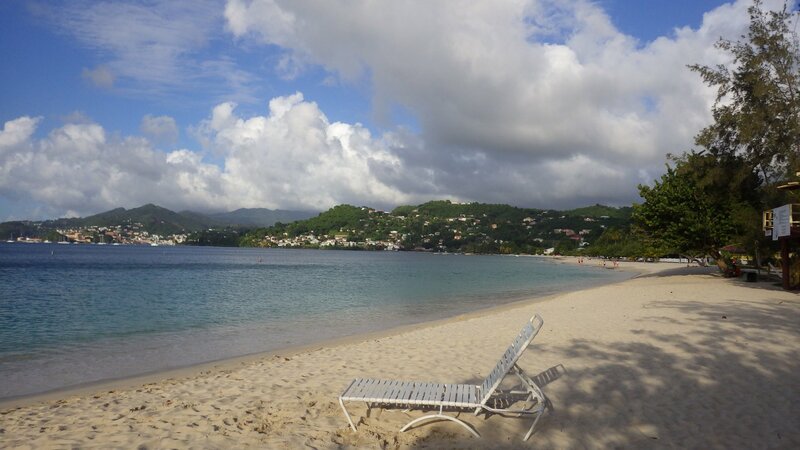 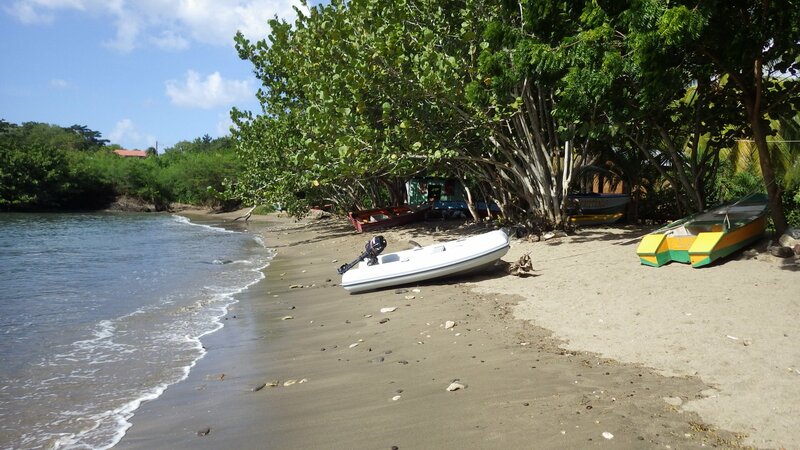 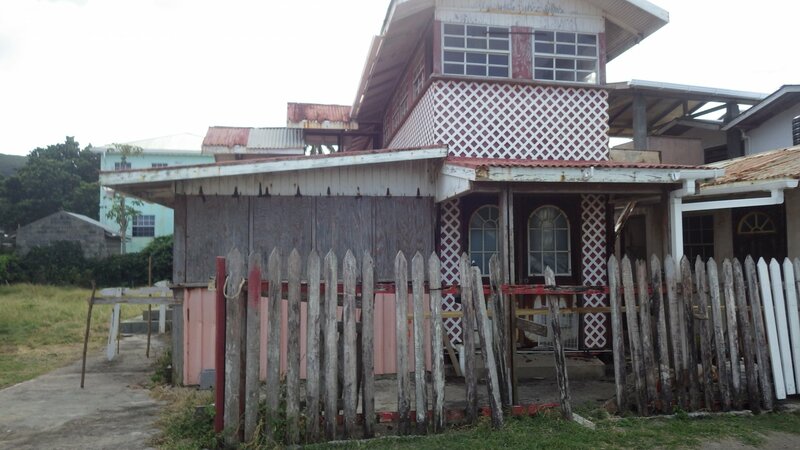 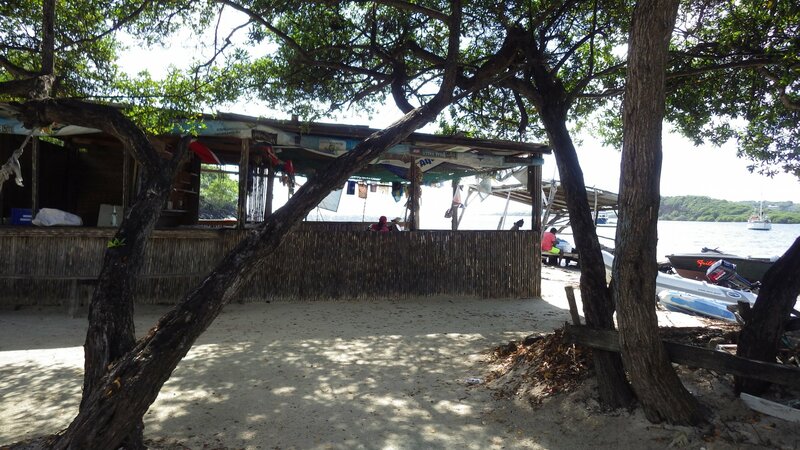 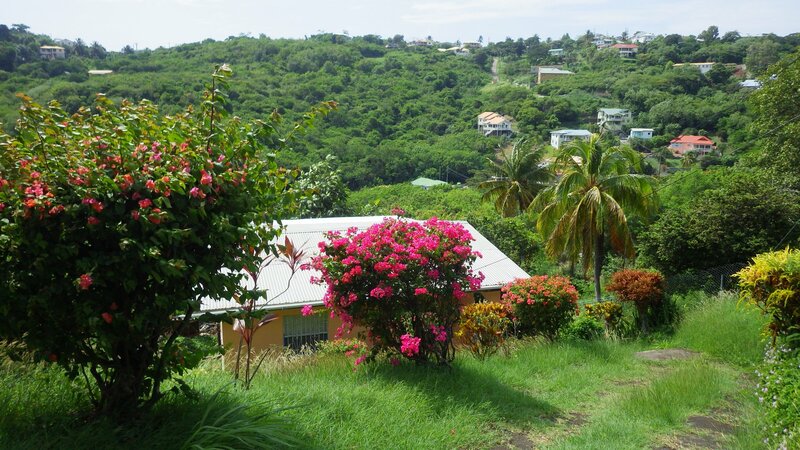 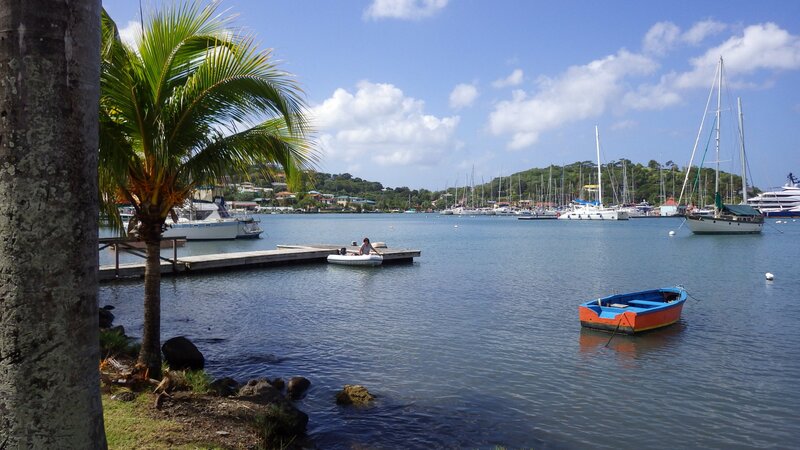 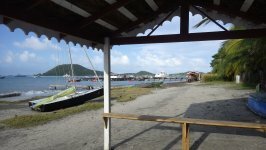 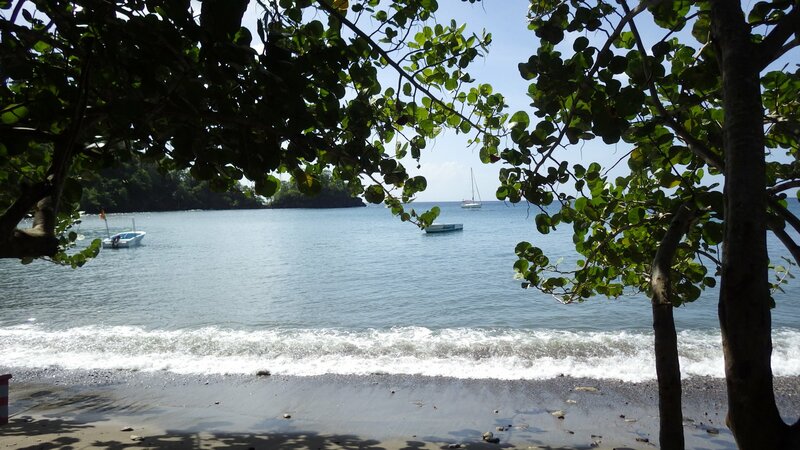 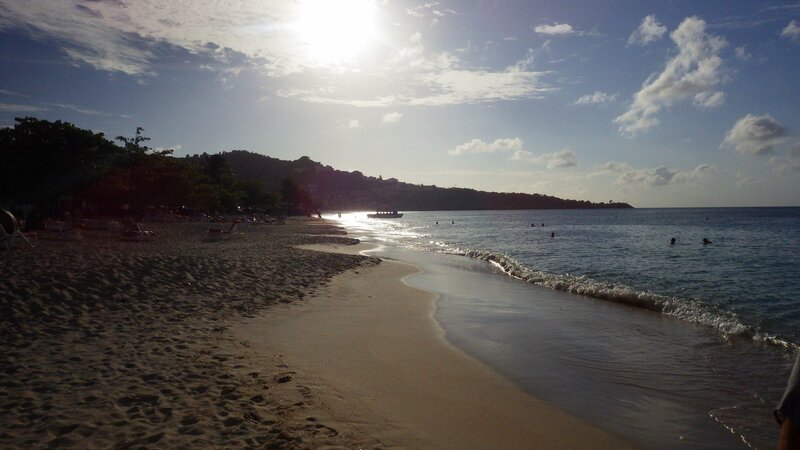 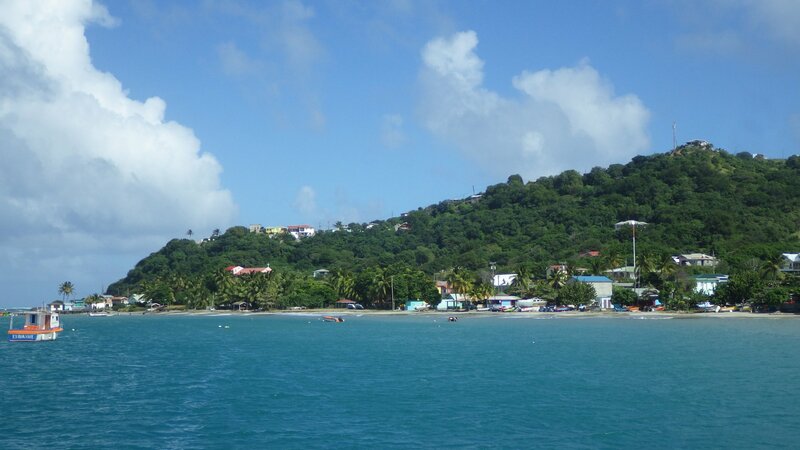 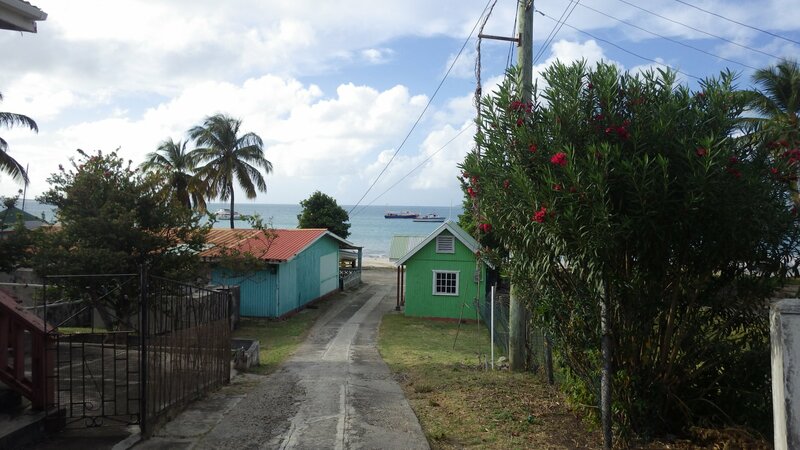 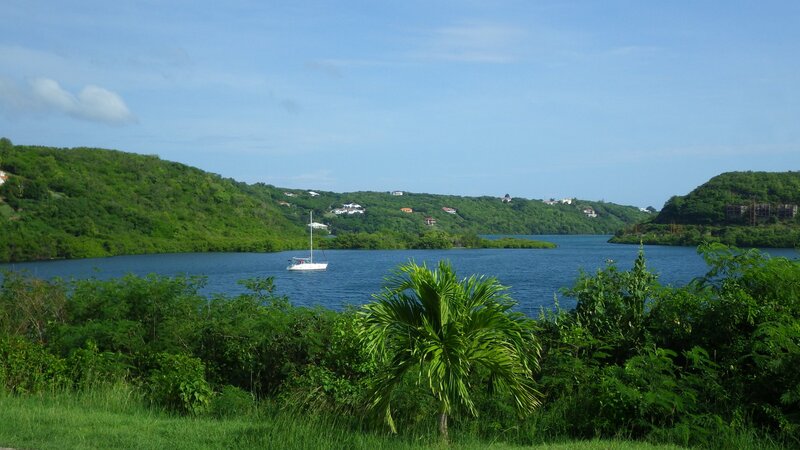 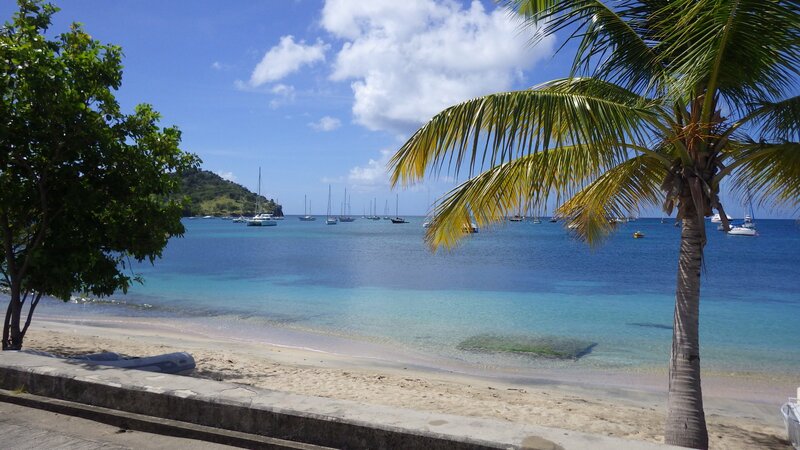 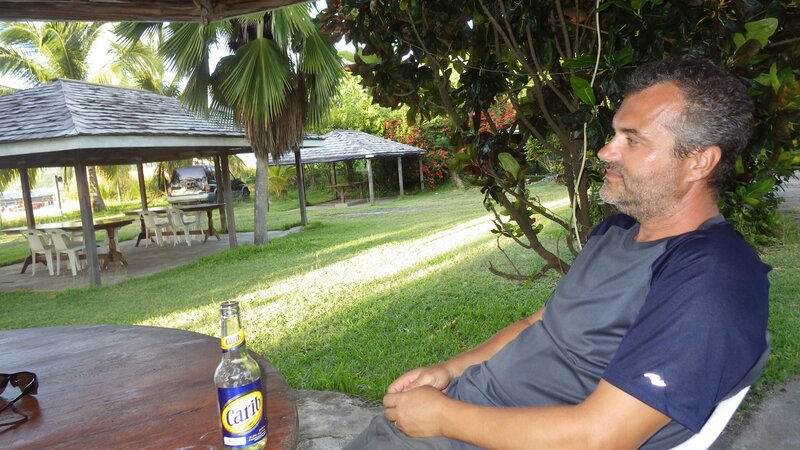 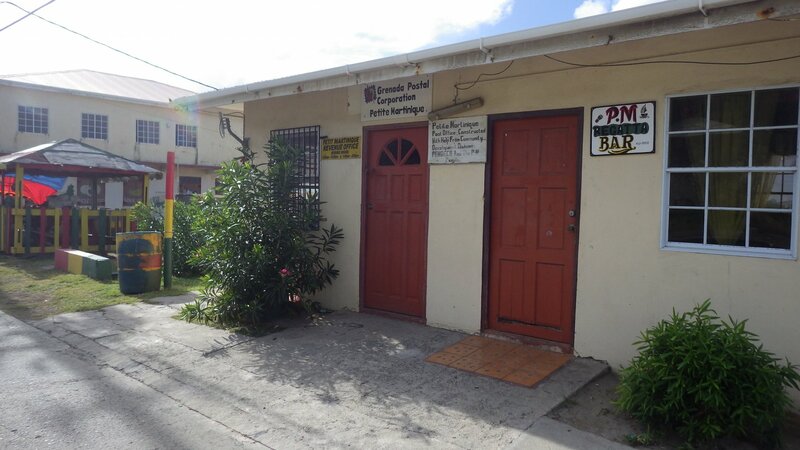 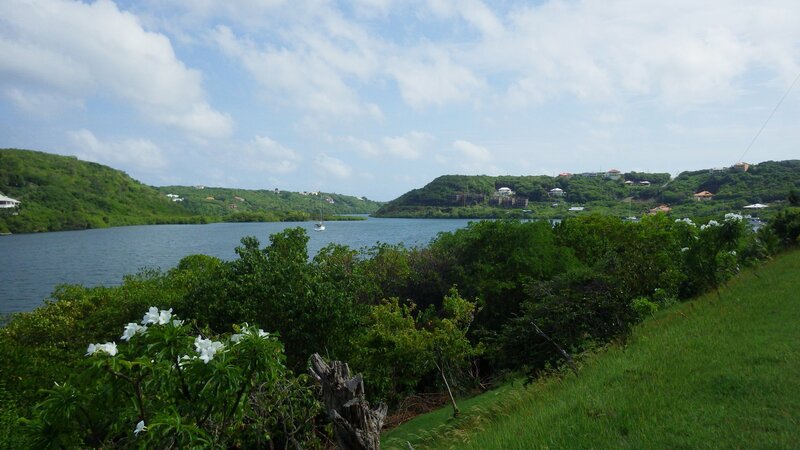 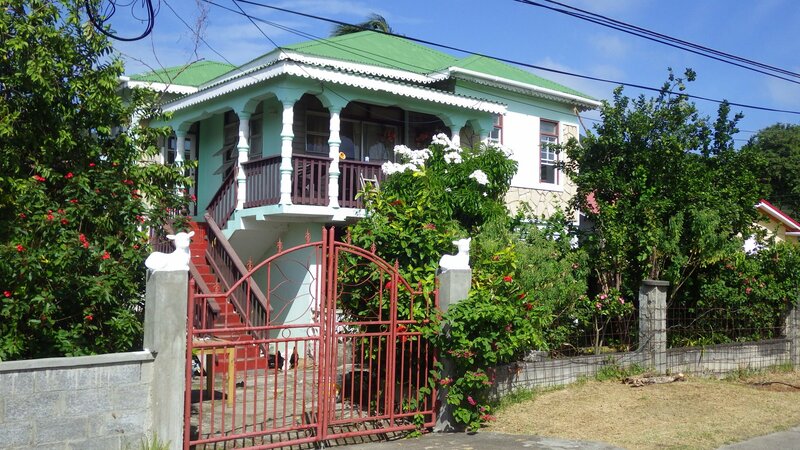 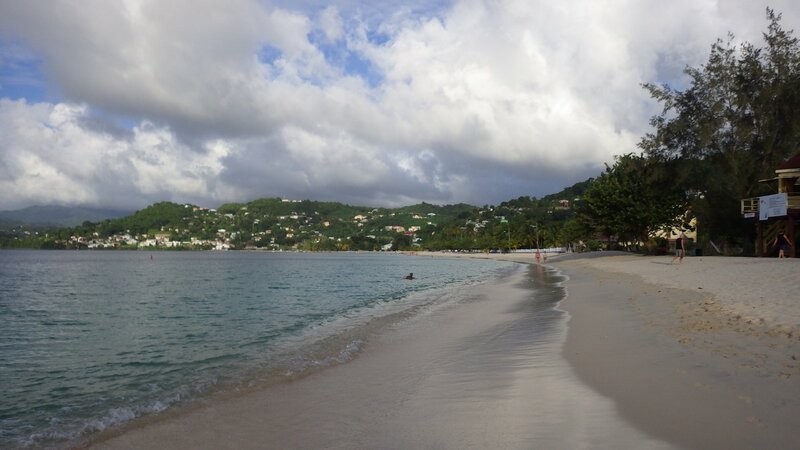 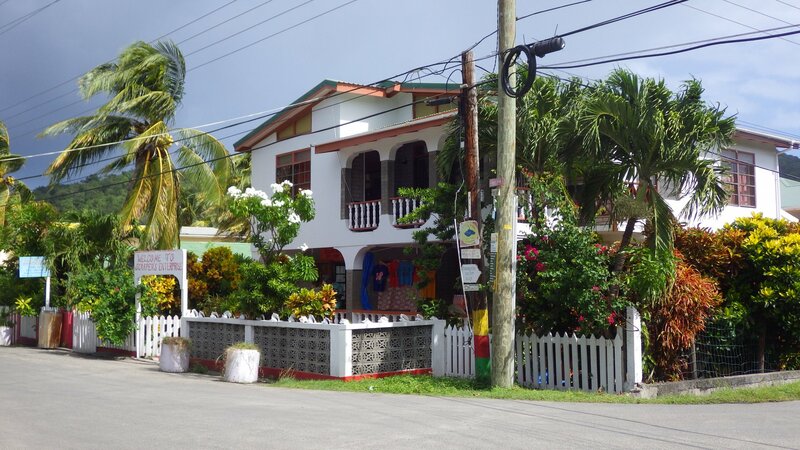 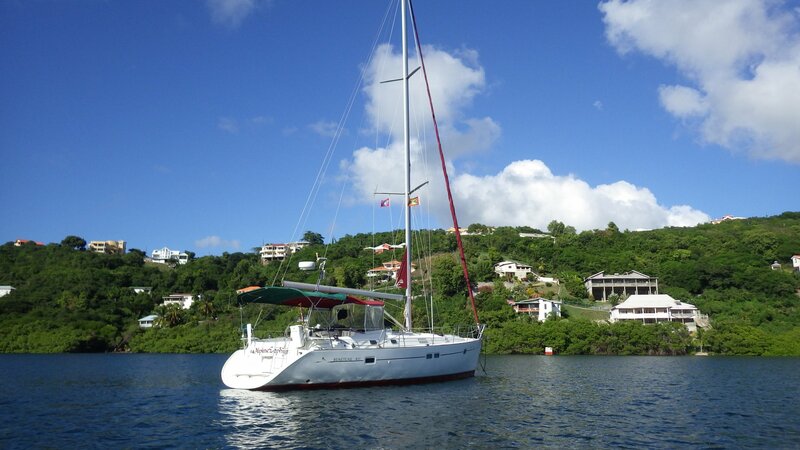 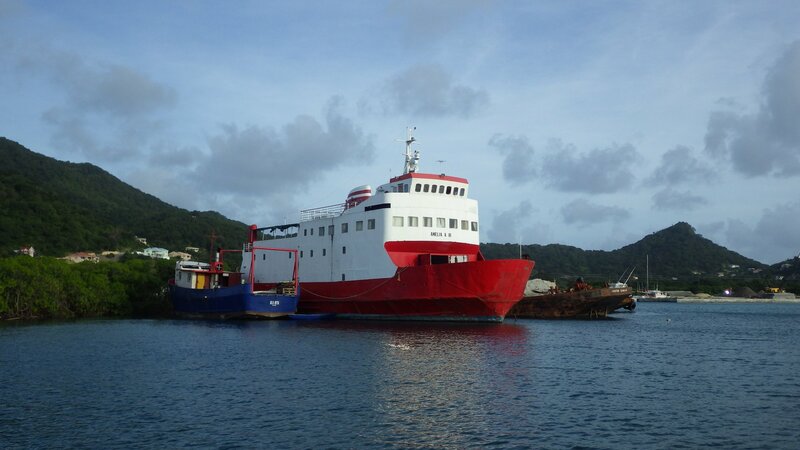 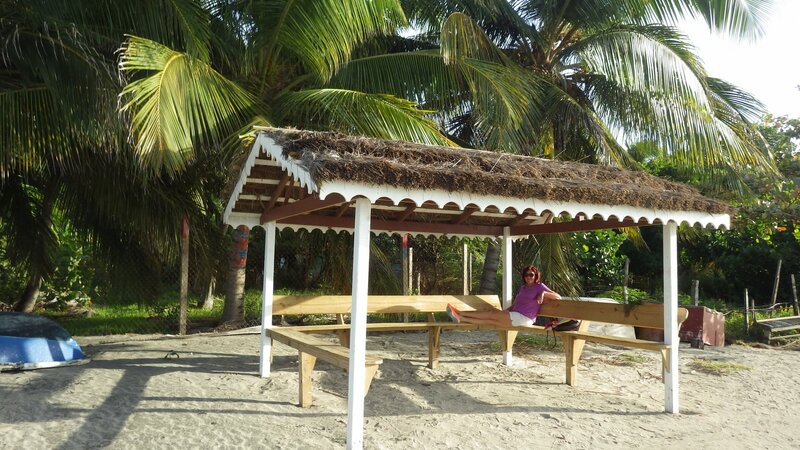 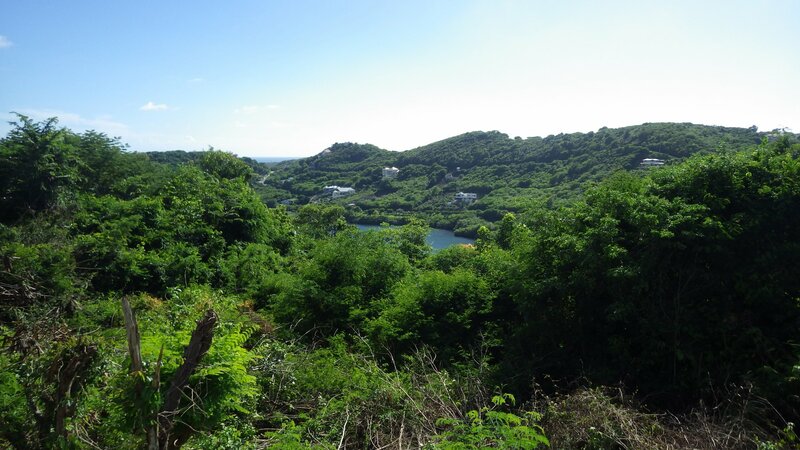 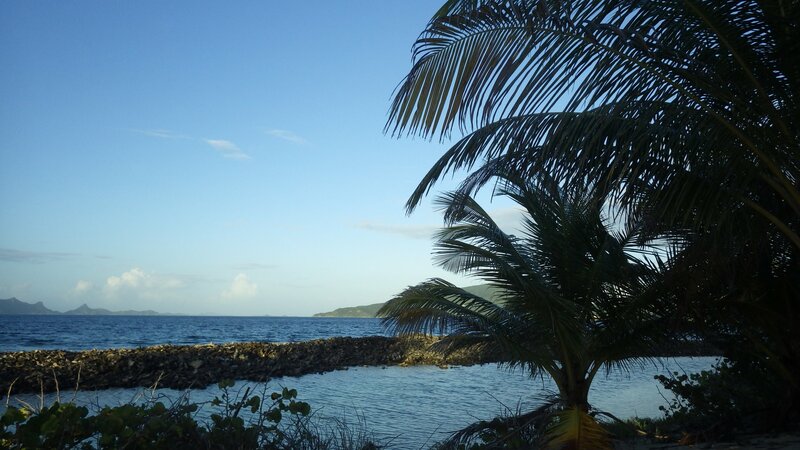 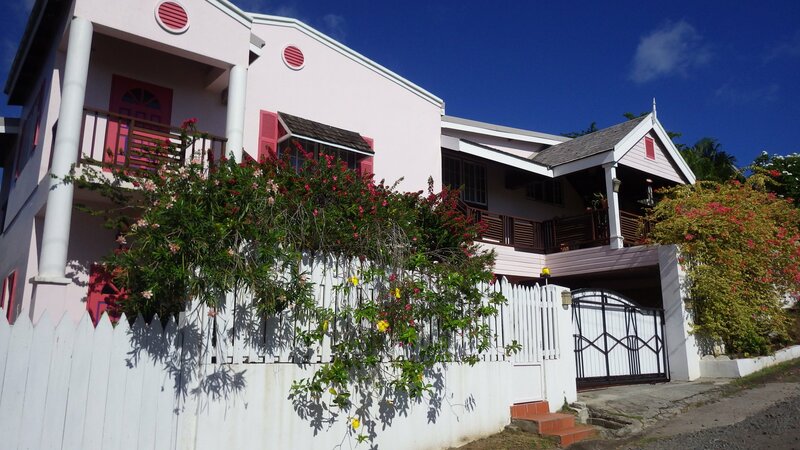 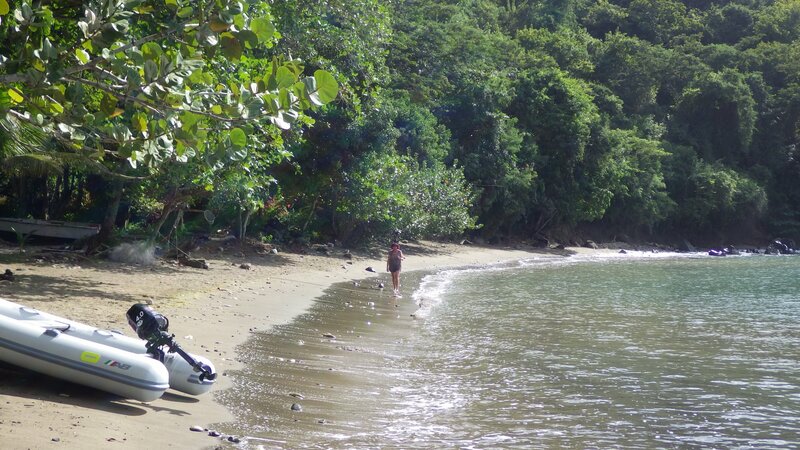 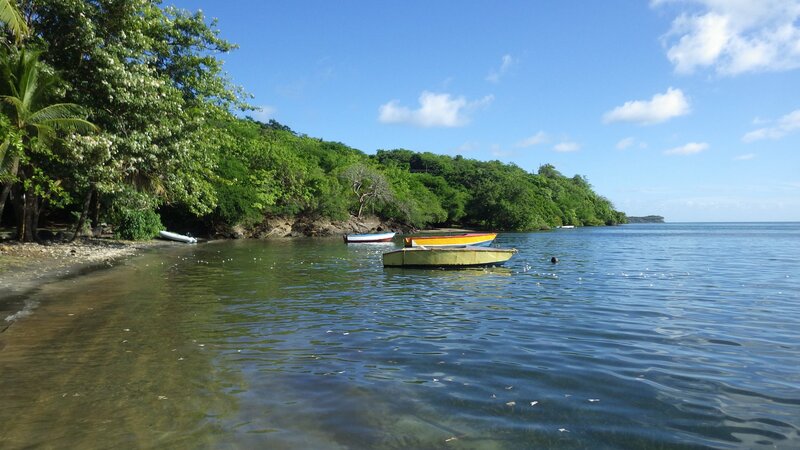 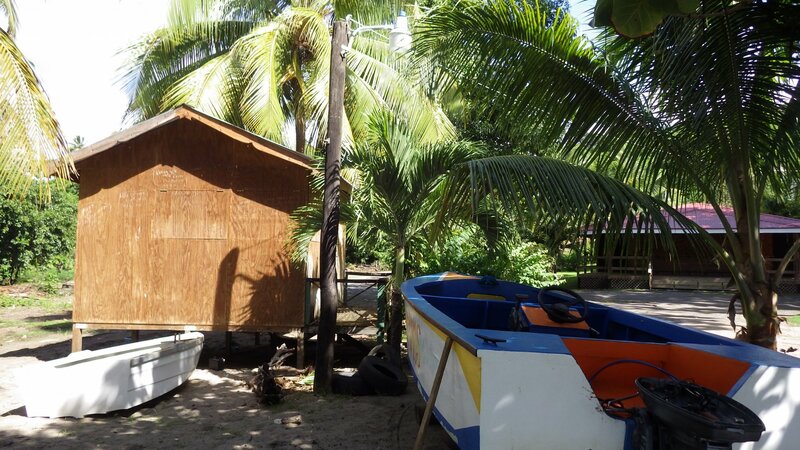 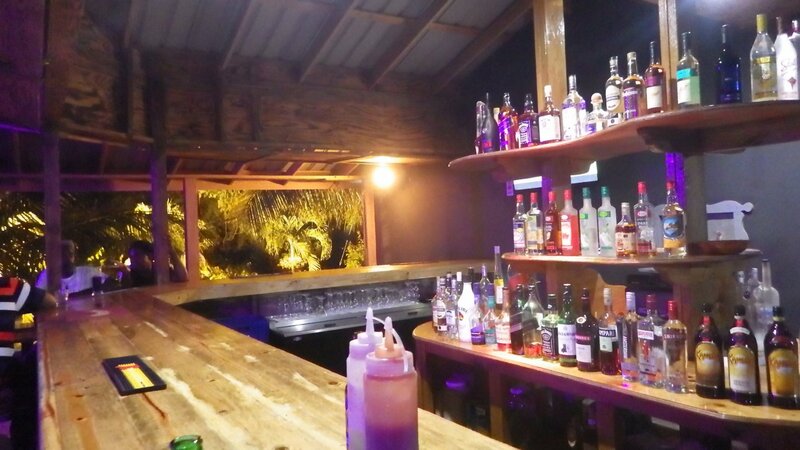 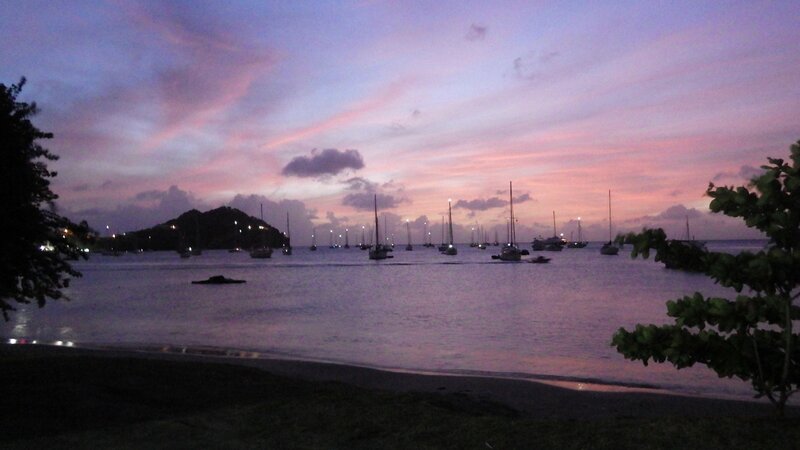 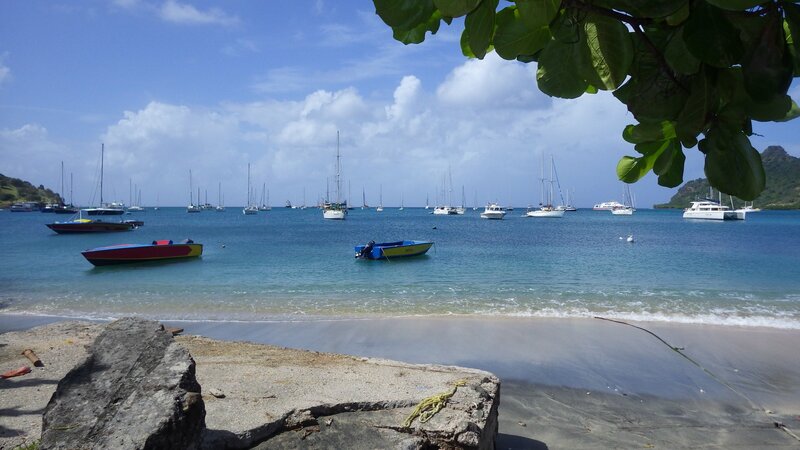 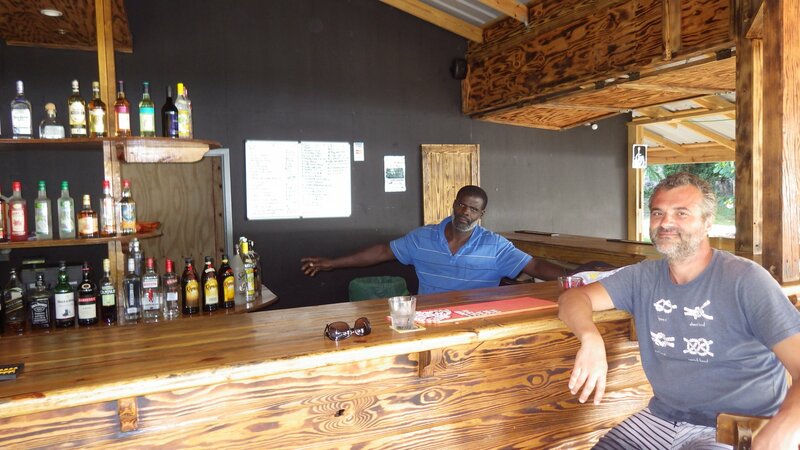 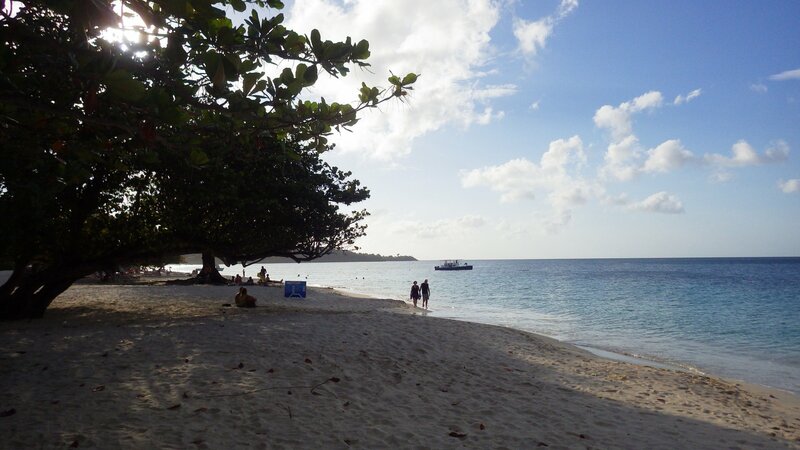 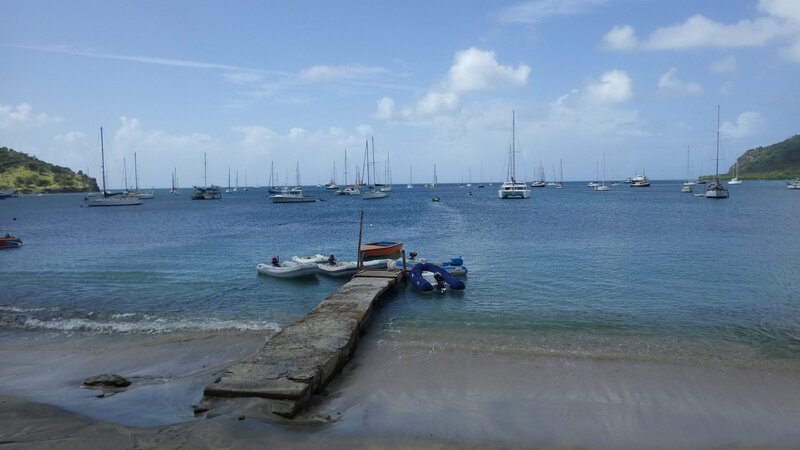 Definitely most comfortable bay on the Grenada�s west coast. 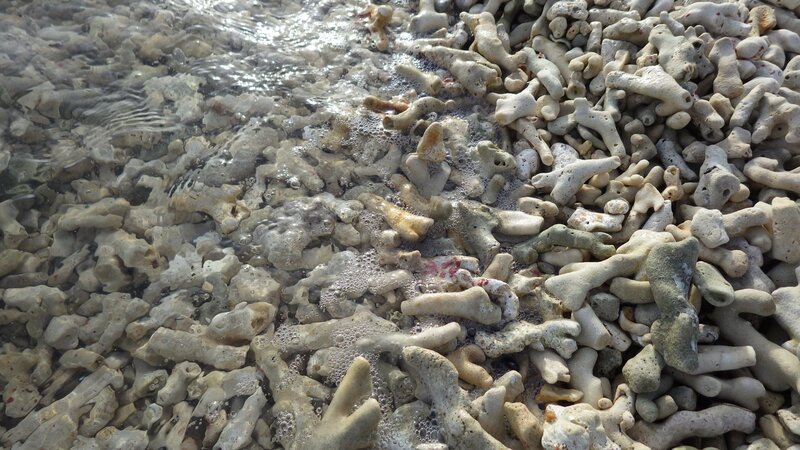 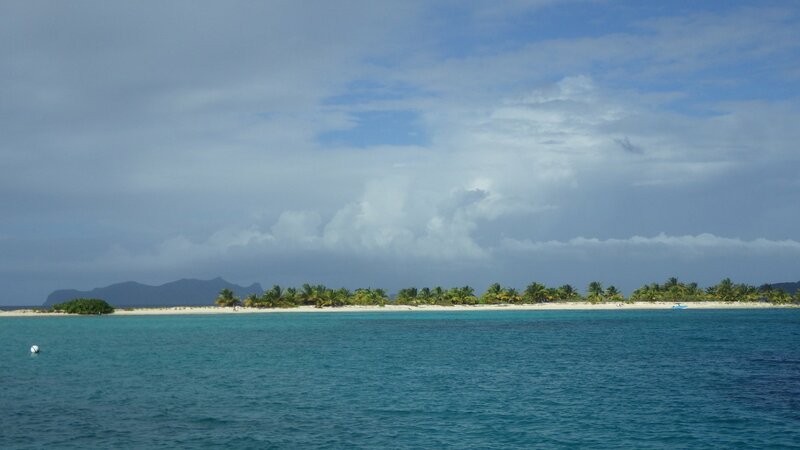 This is one of the prettiest islands in the Caribbean. 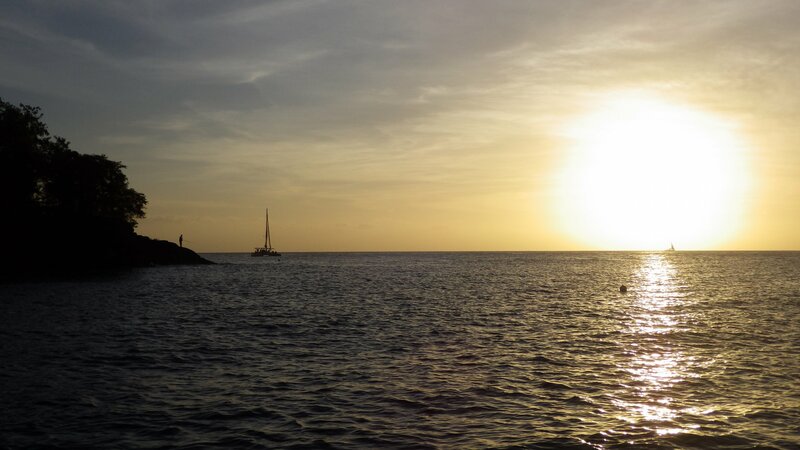 Can't describe it better than pictures. 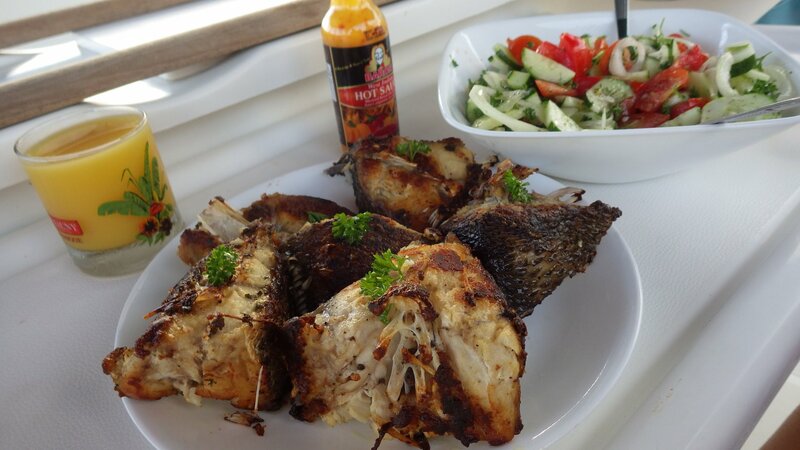 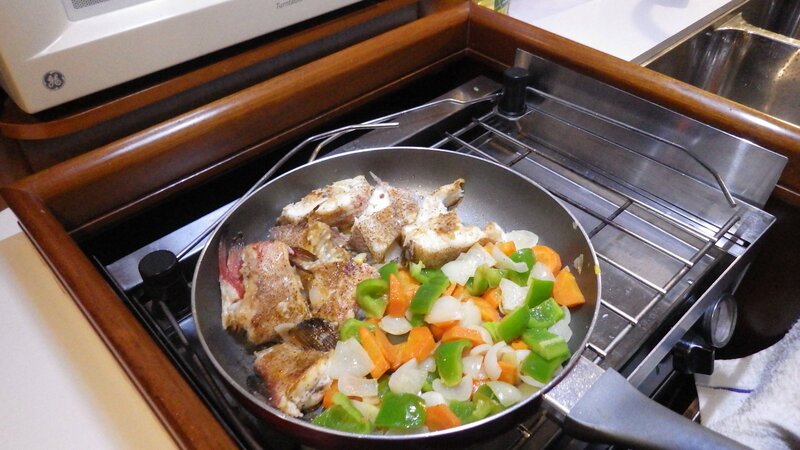 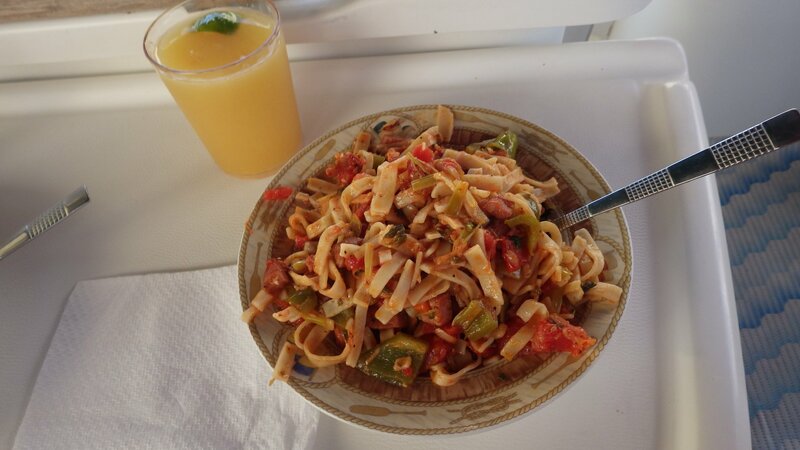 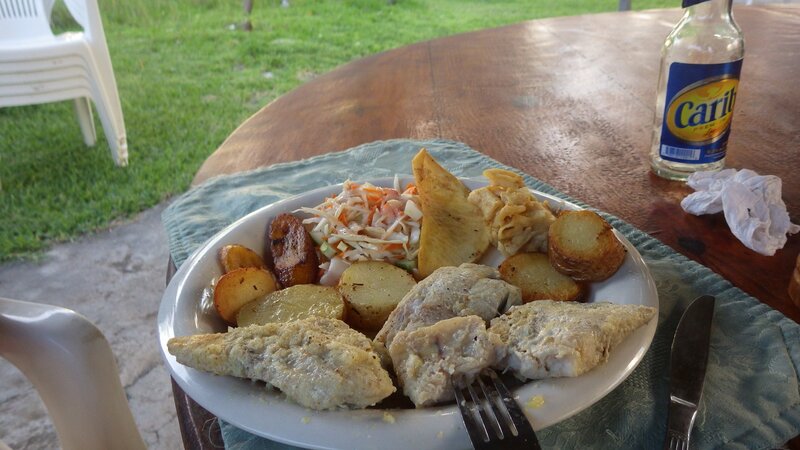 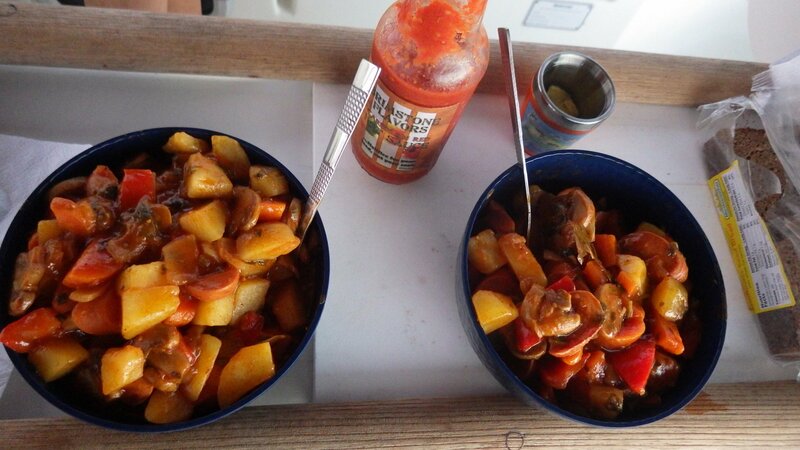 Bought fresh red snapper from local fisherman � had it for a nice dinner. 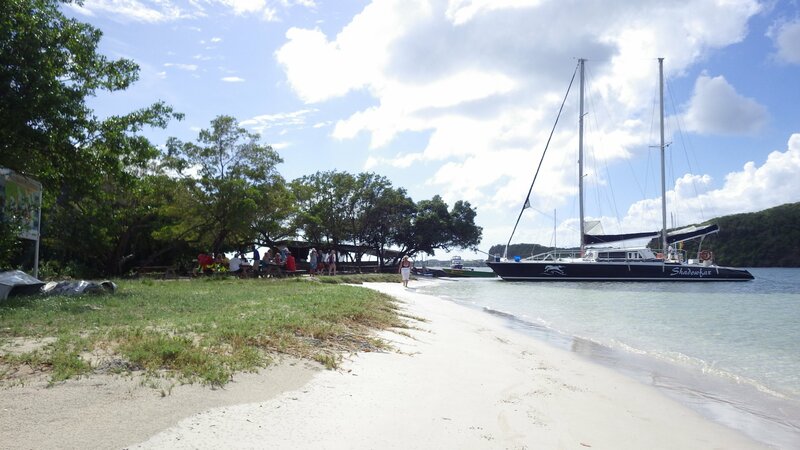 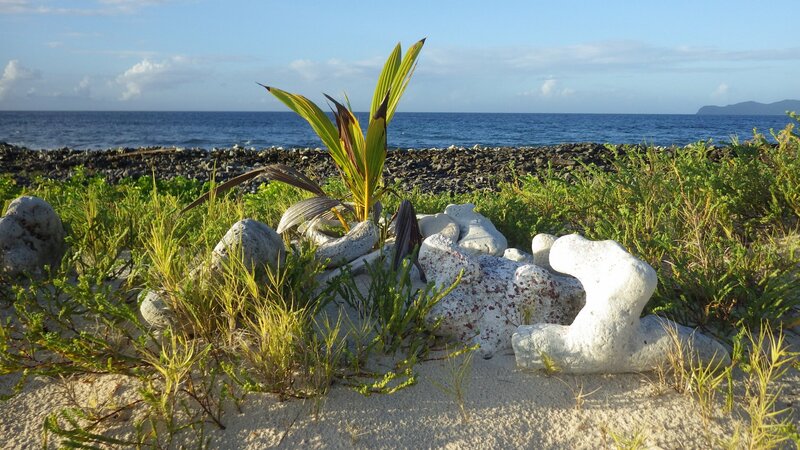 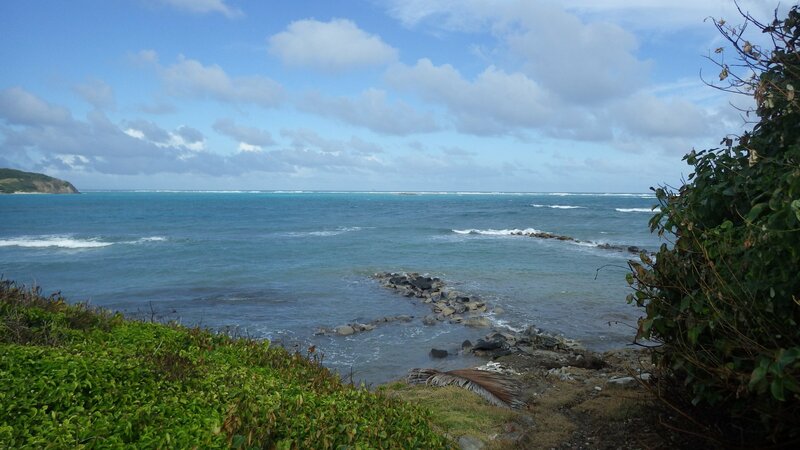 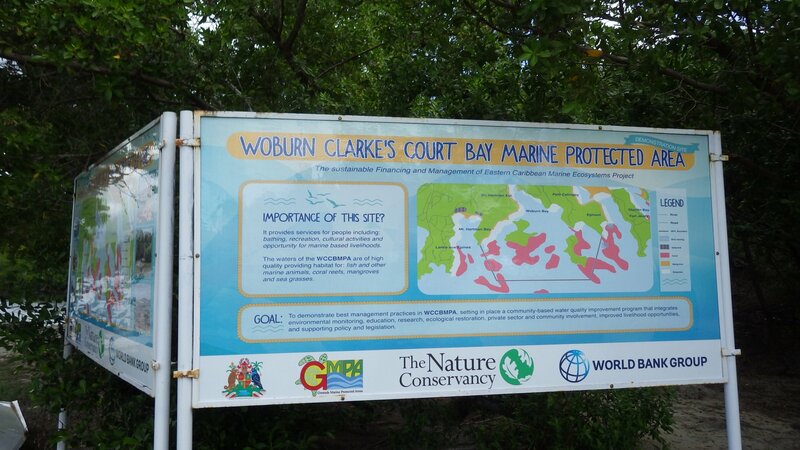 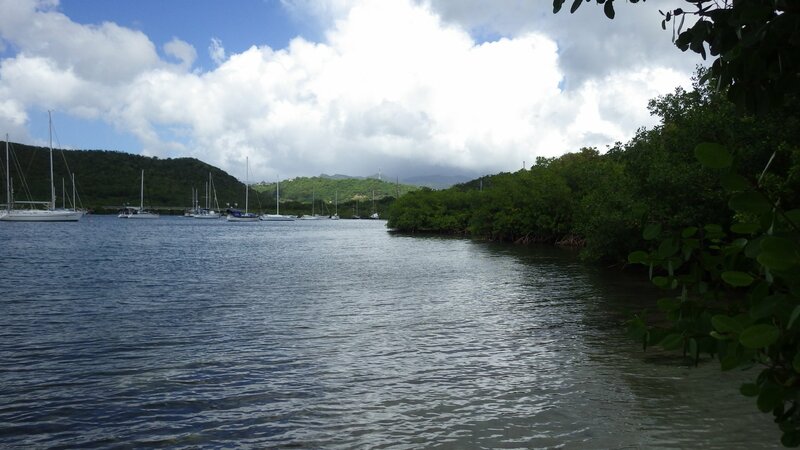 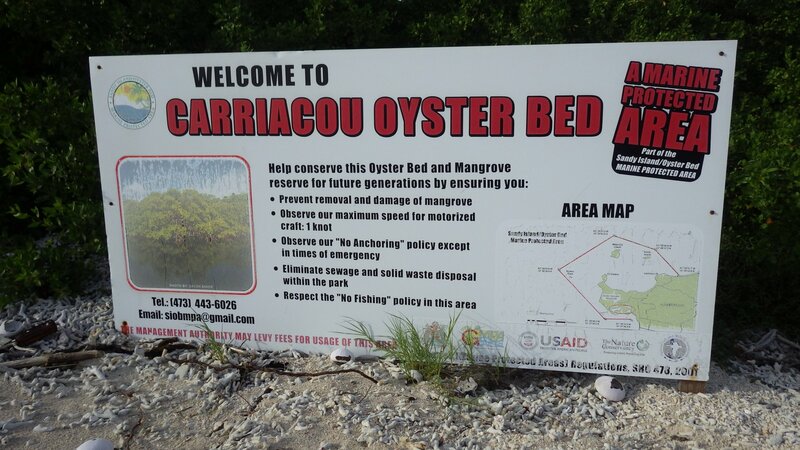 We are back at Tyrrel Bay, a nice protected harbour on the west shore of Curriacou Island. 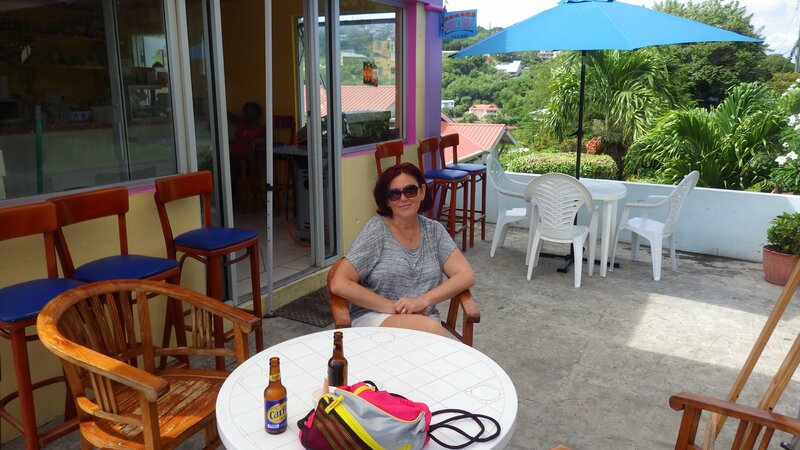 Things didn't change much here since our last visit last June. 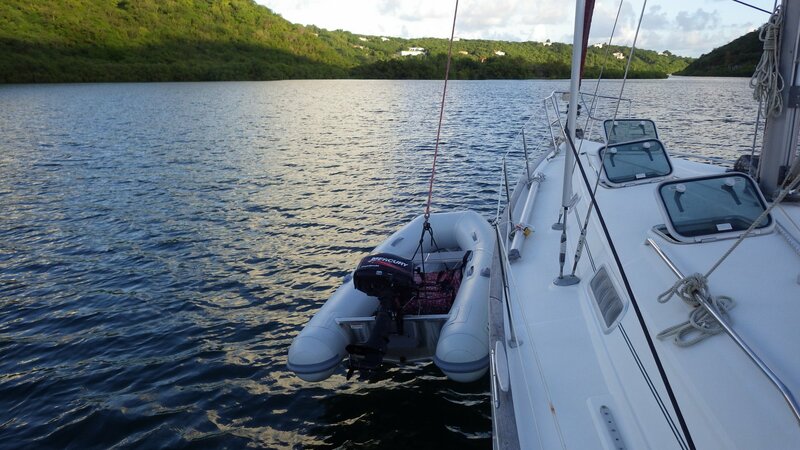 Had our dodger zippers replaced here at the local canvas and sail shop. 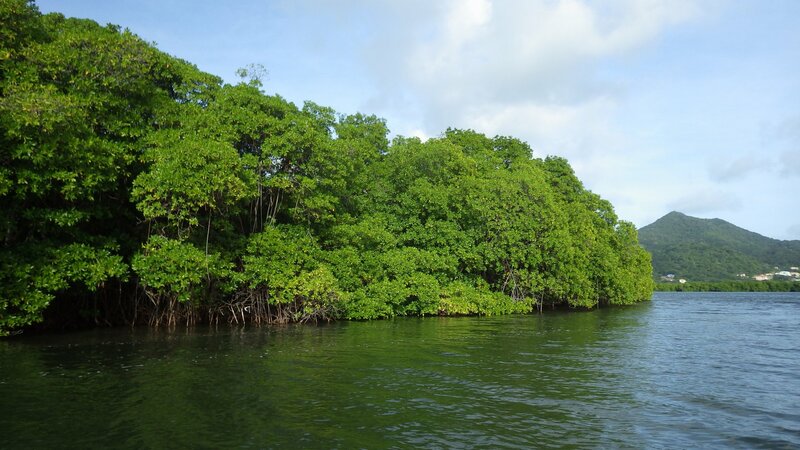 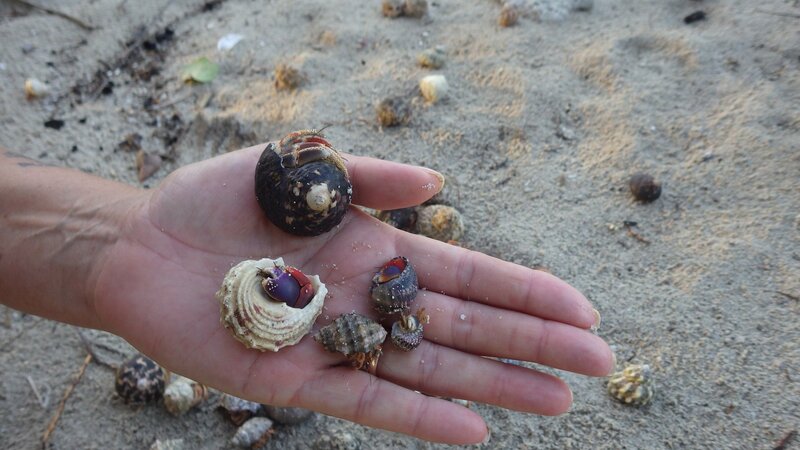 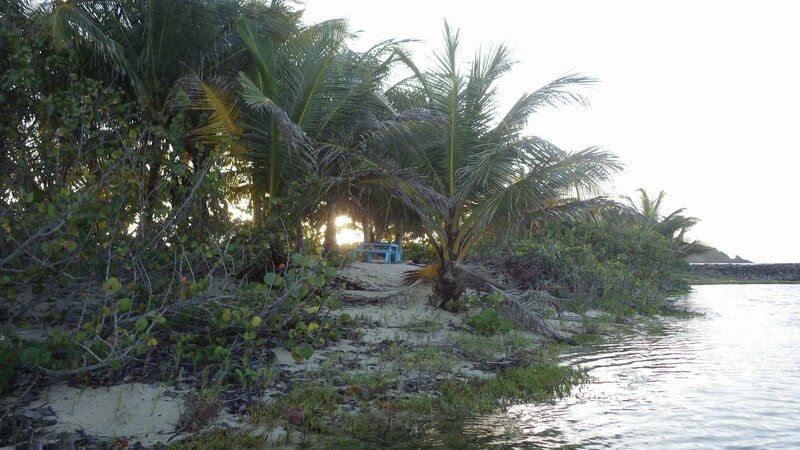 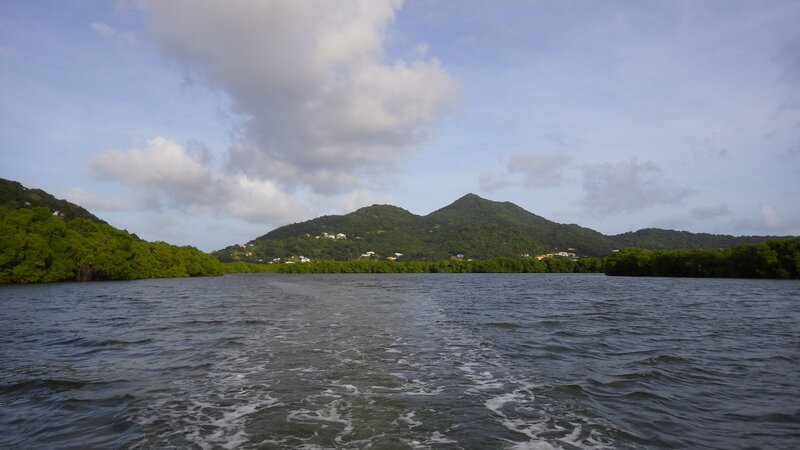 One day took a dinghy tour around a mangrove maze lagoon. 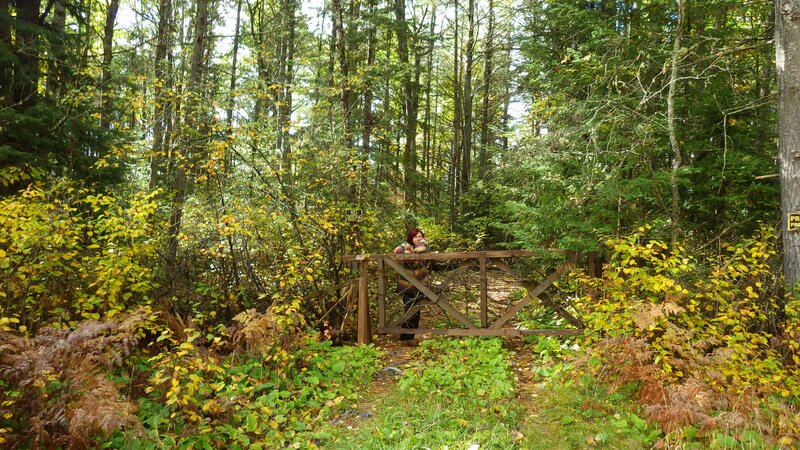 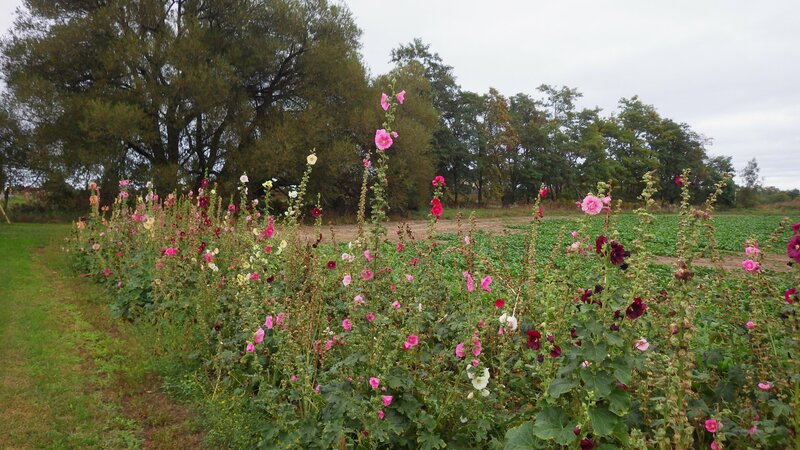 Very quiet place. 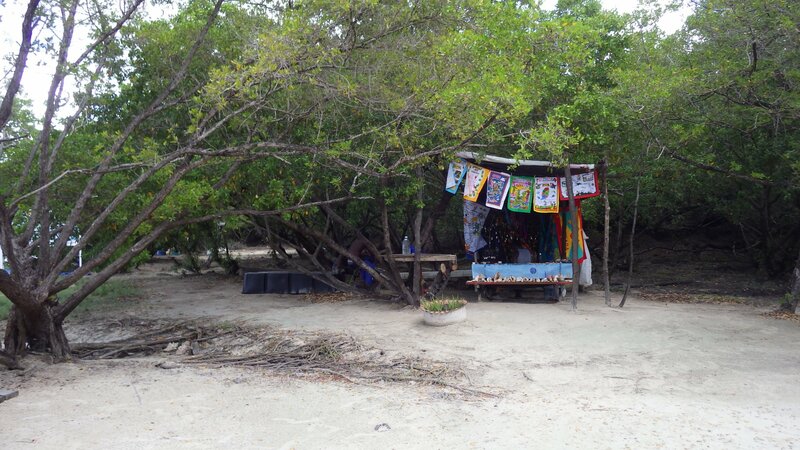 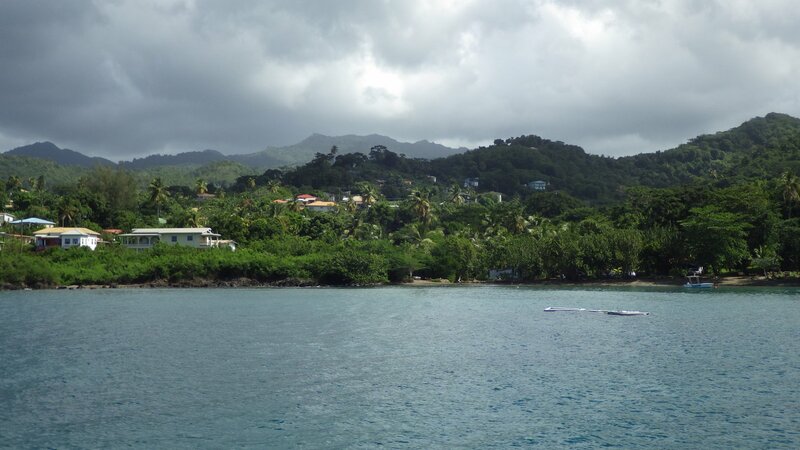 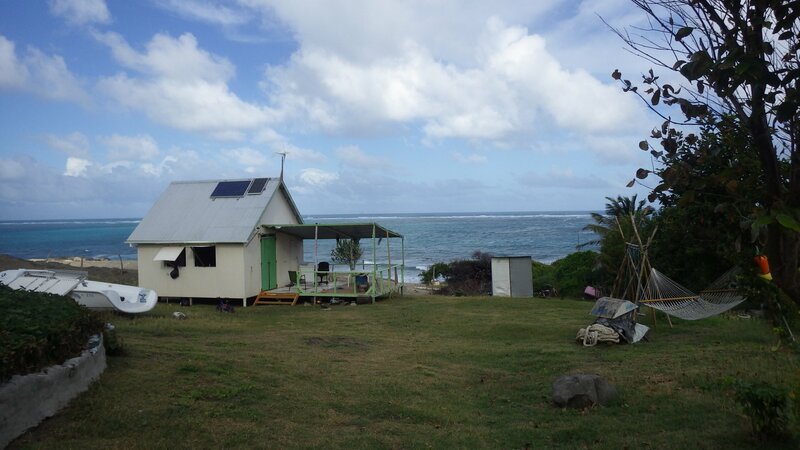 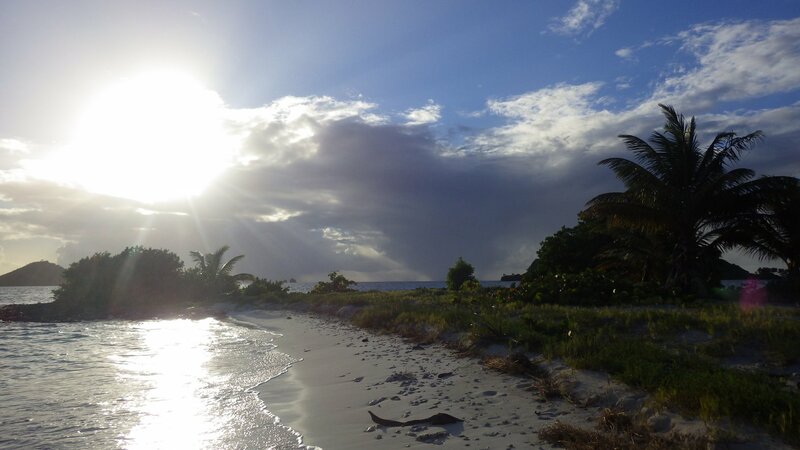 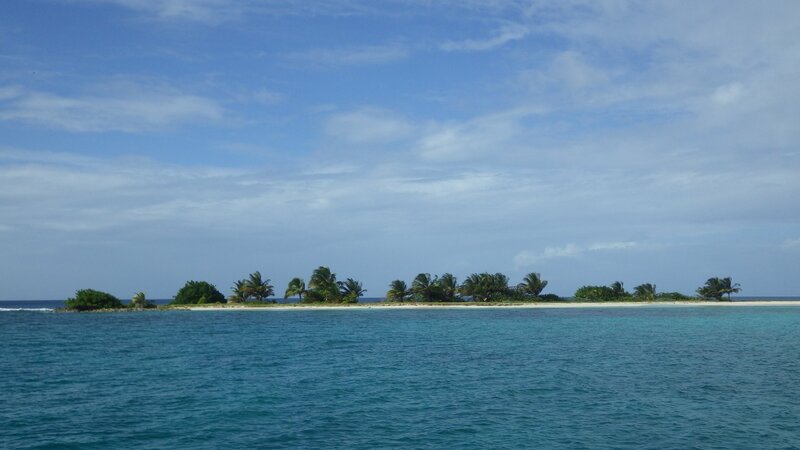 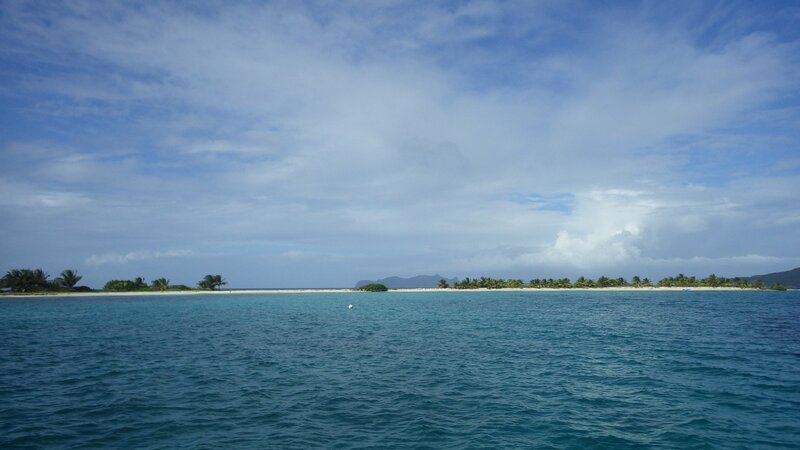 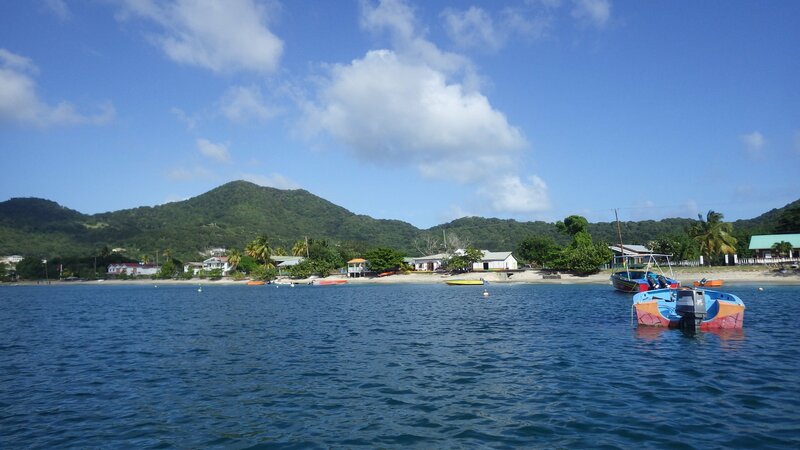 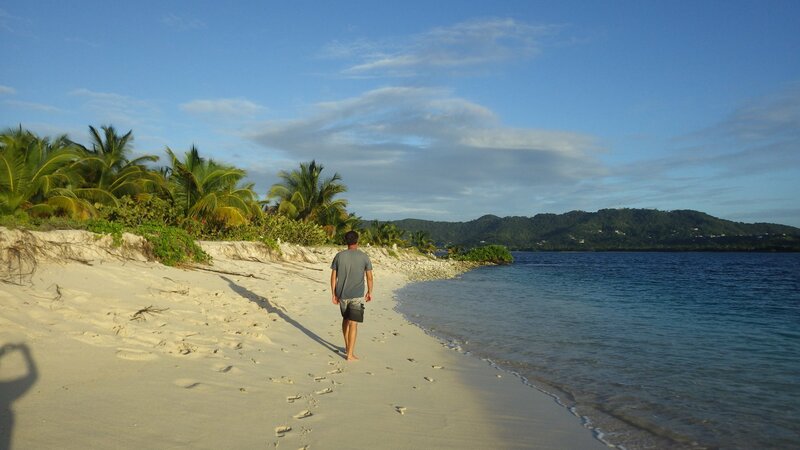 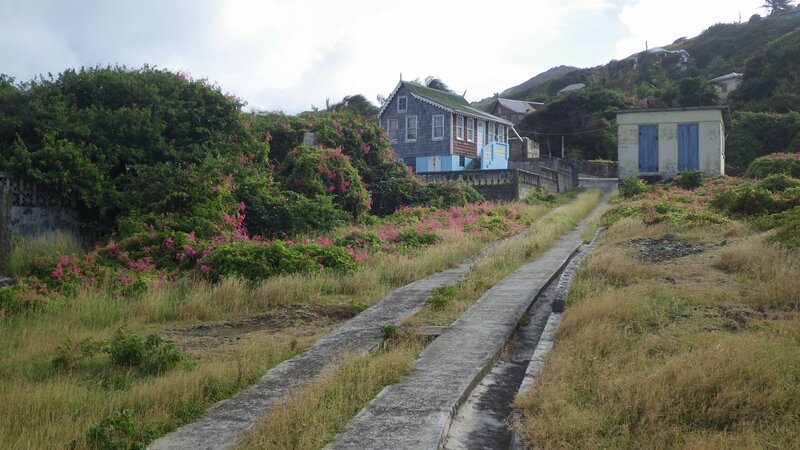 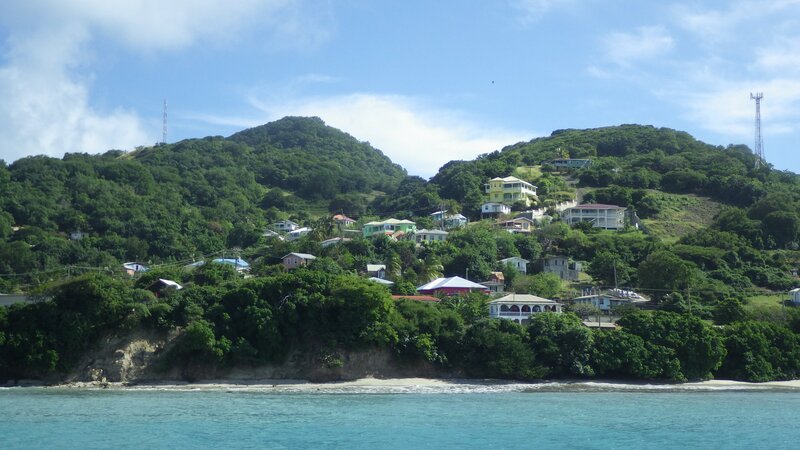 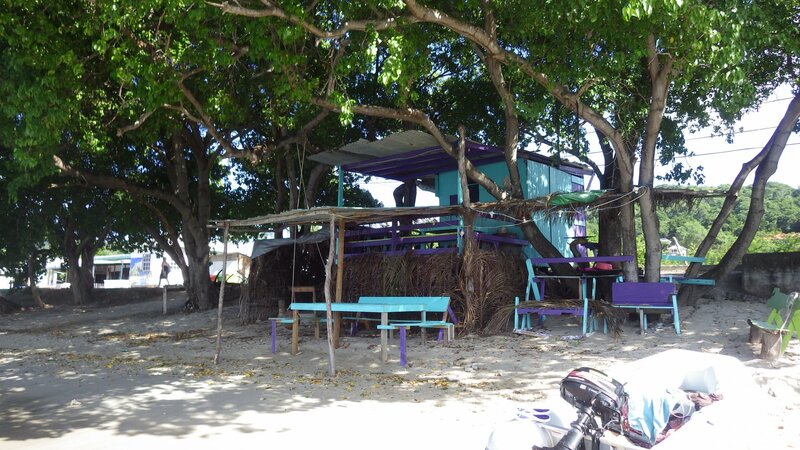 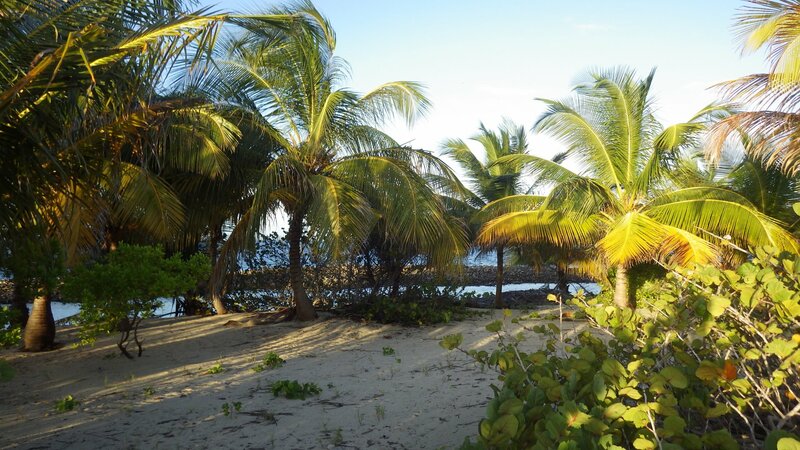 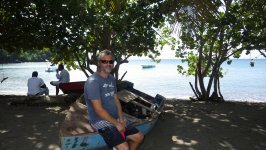 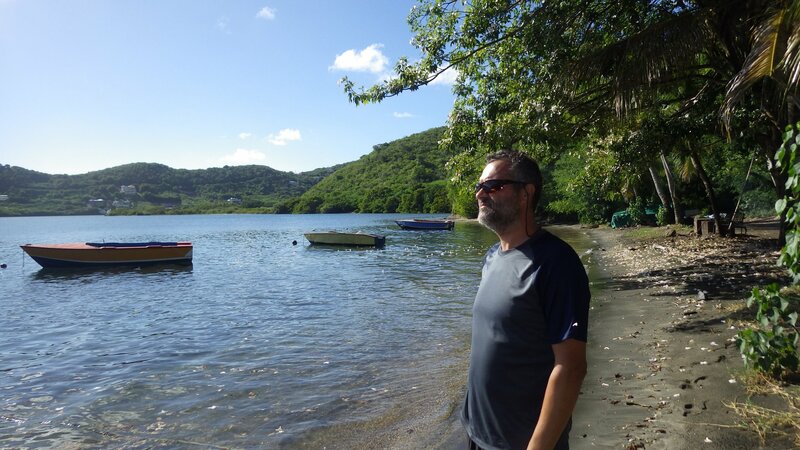 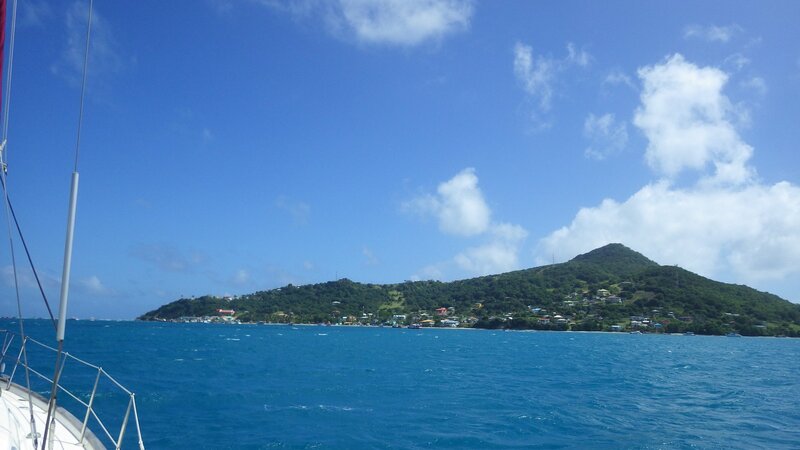 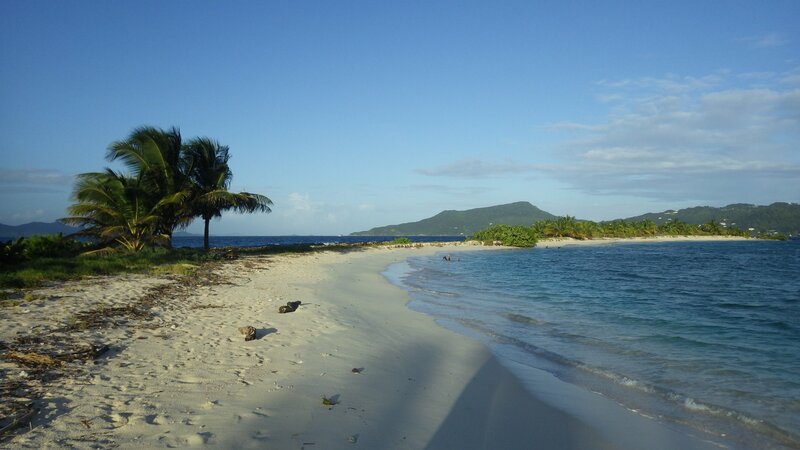 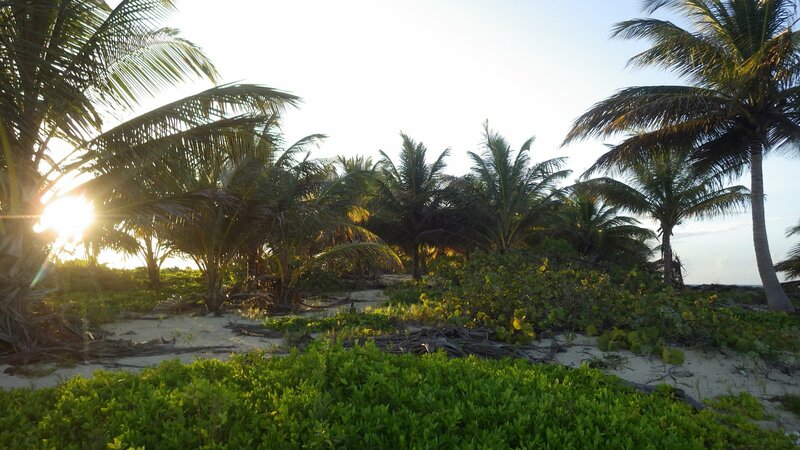 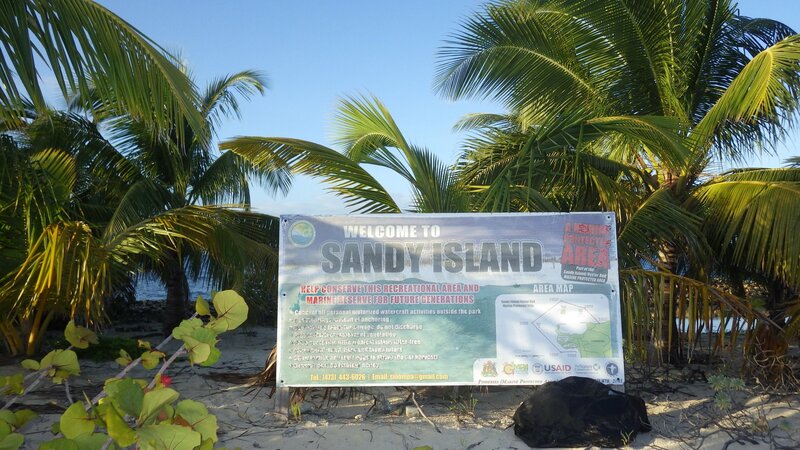 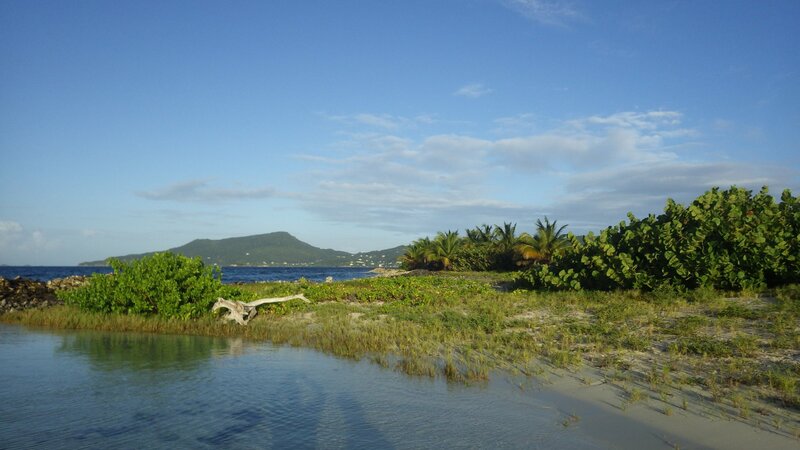 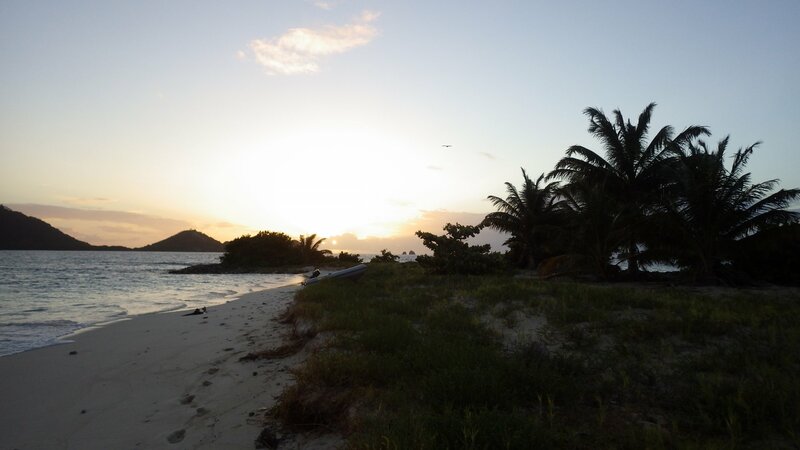 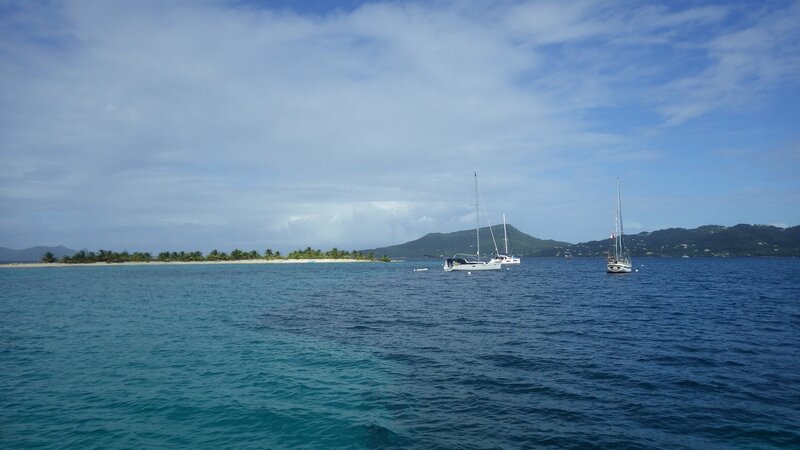 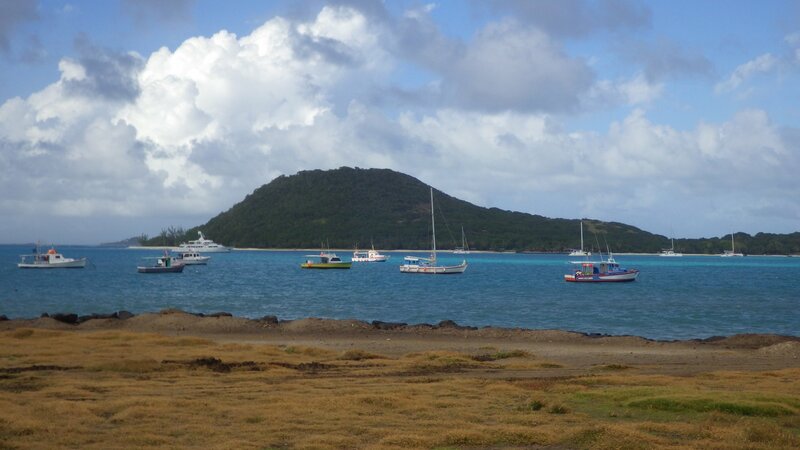 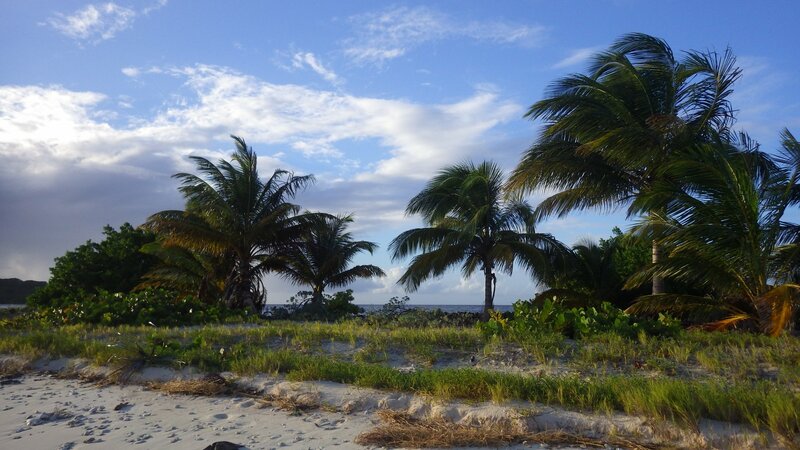 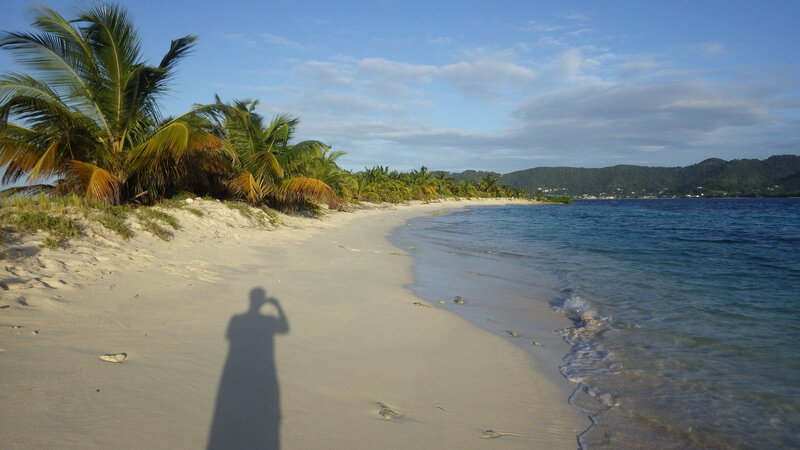 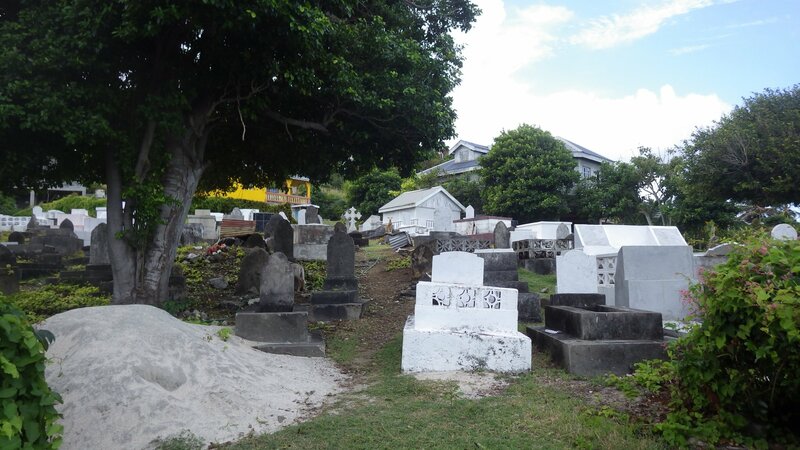 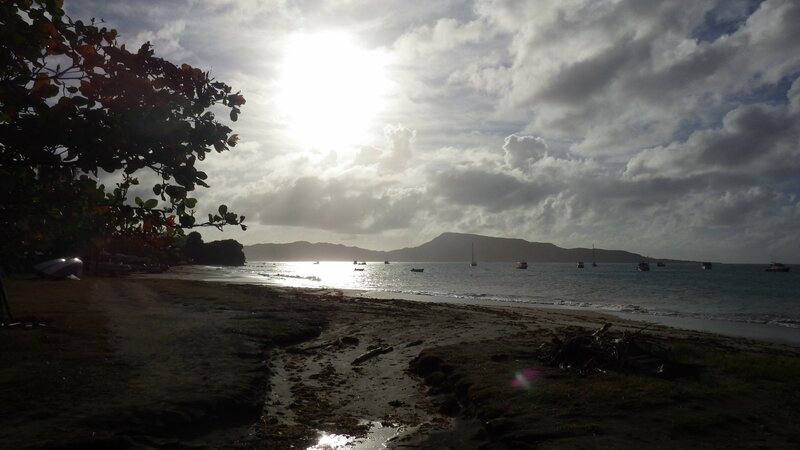 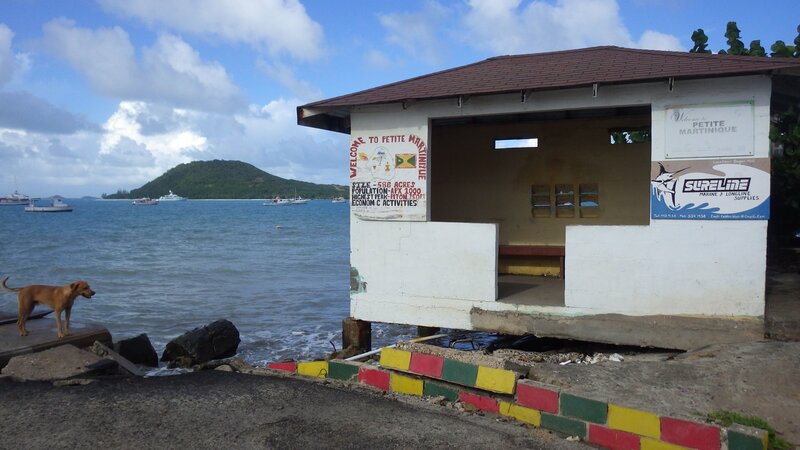 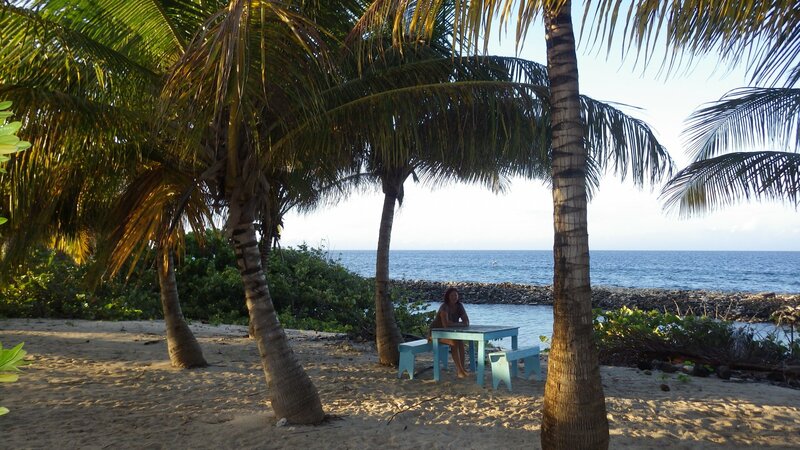 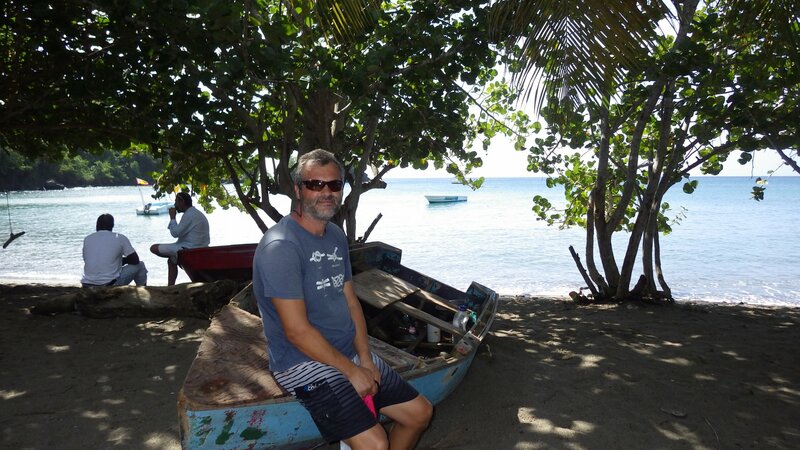 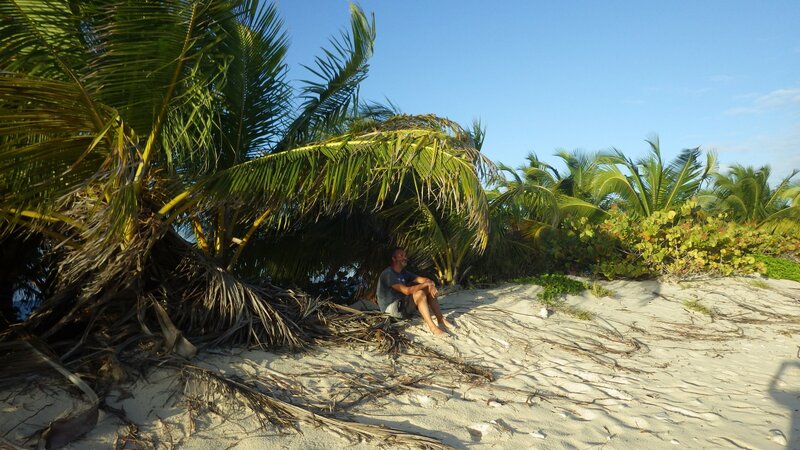 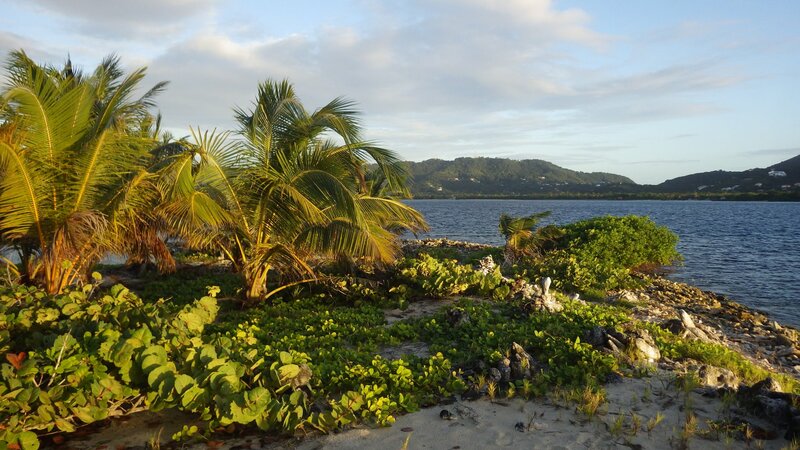 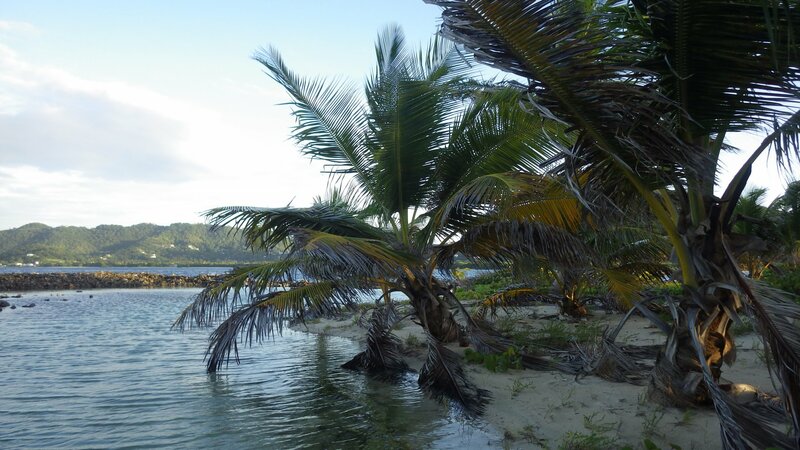 Before leaving Grenada, we decided to visit a small island just east of Carriacou - Petite Martinique. 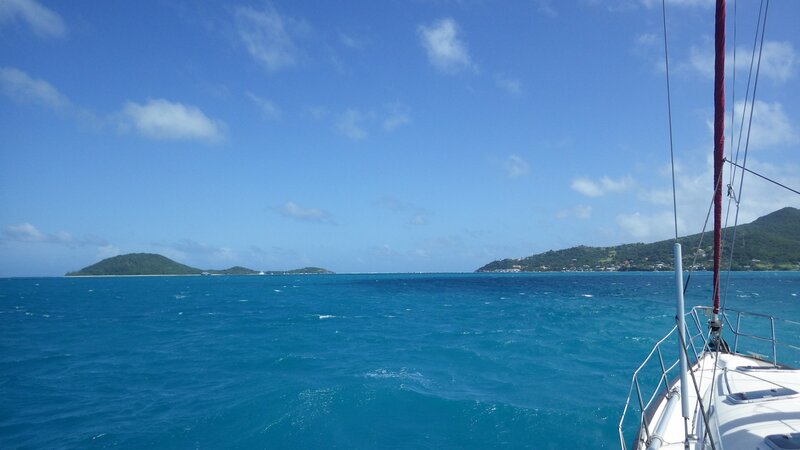 Had strong headwinds on the way there, mostly motored. 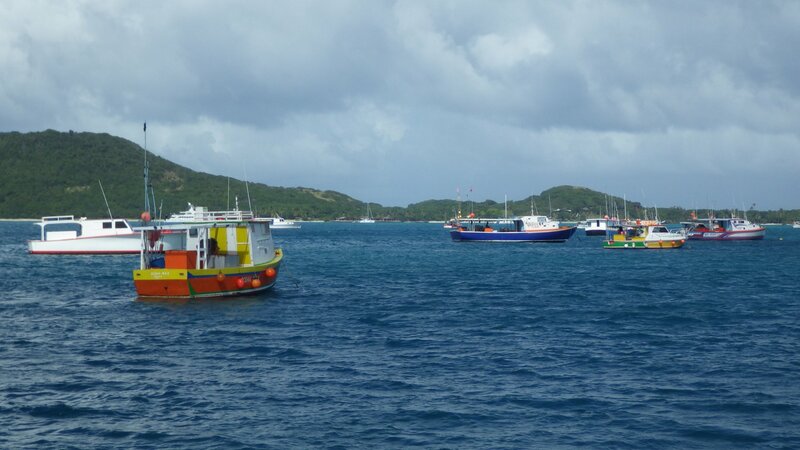 Dropped anchor on a busy leeward shore, which appear to be another fishermen boat base. 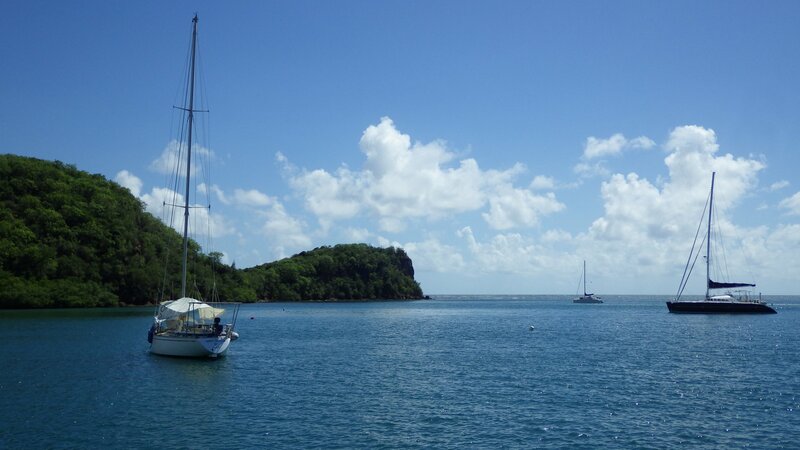 After quick lunch, went ashore. 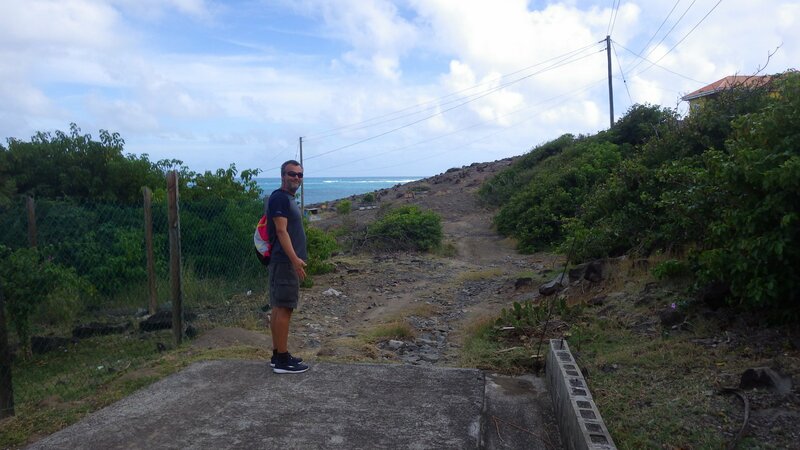 Explored island shore roads. 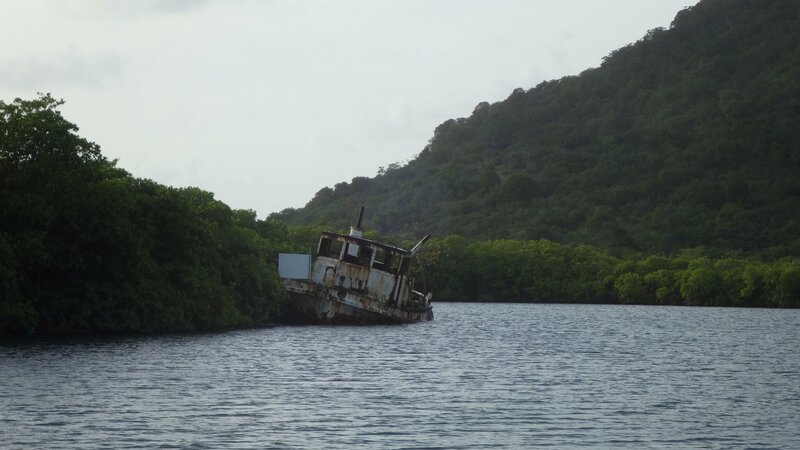 Quite interesting. 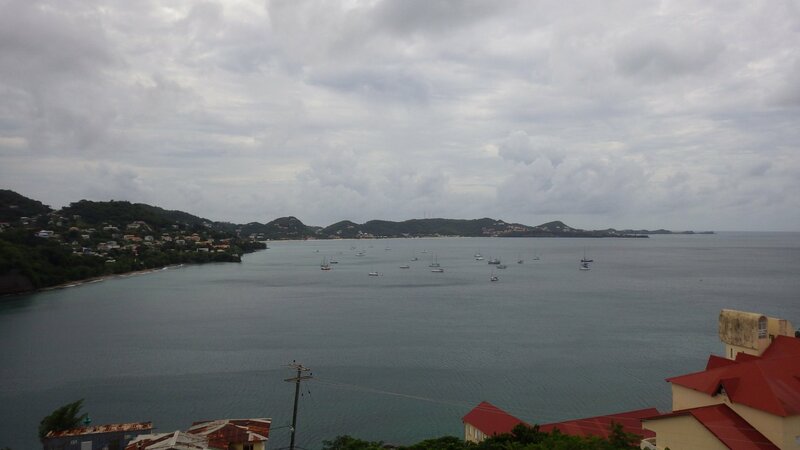 Nice views of nearby islands. 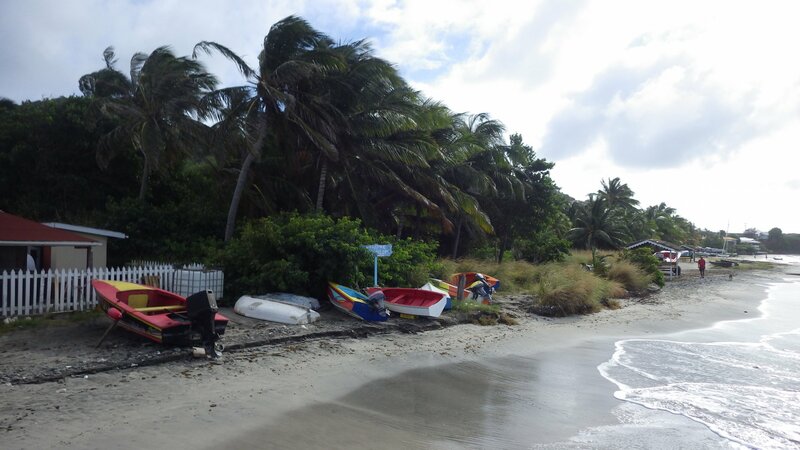 Quick connect to the Internet near local post office to check emails and download weather forecast data for the next week. 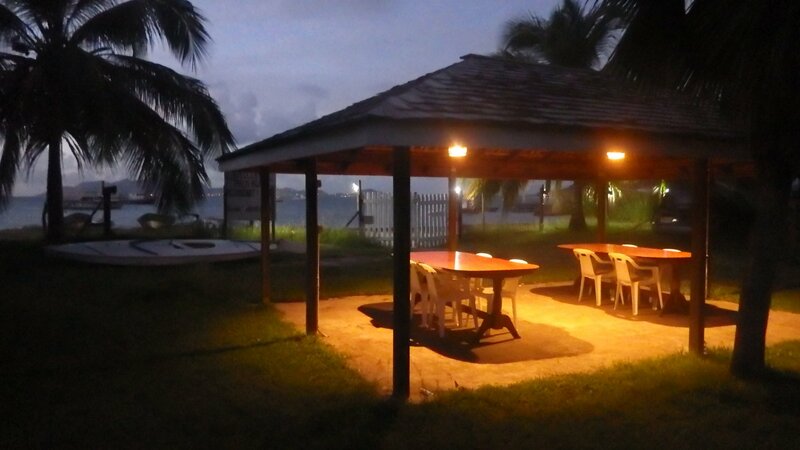 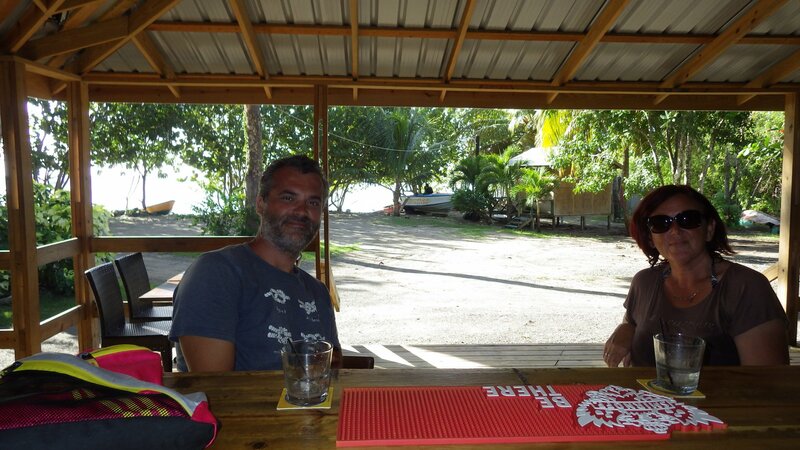 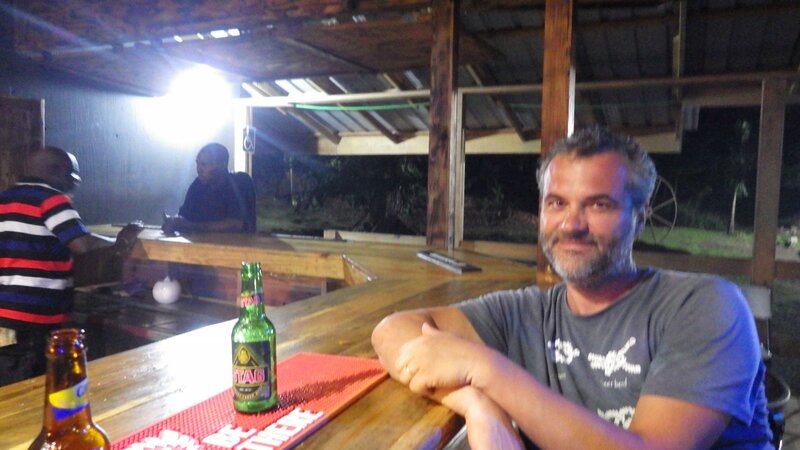 On the walk back, we decided to have a dinner at the local beach restaurant, about which I've read good reviews about. 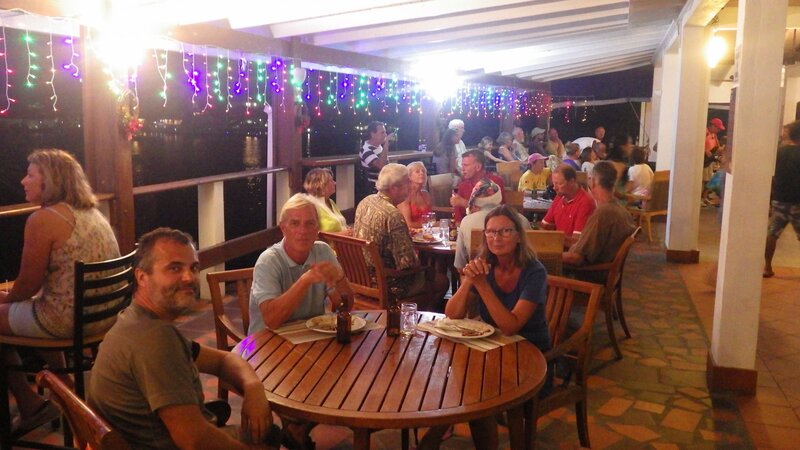 Owners opened the restaurant just for us and we were only customers for the dinner. 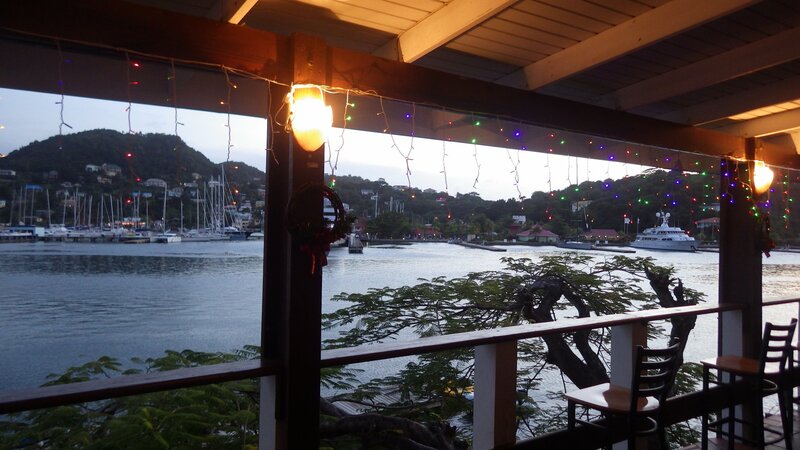 Lovely setting, good food, but not cheap.